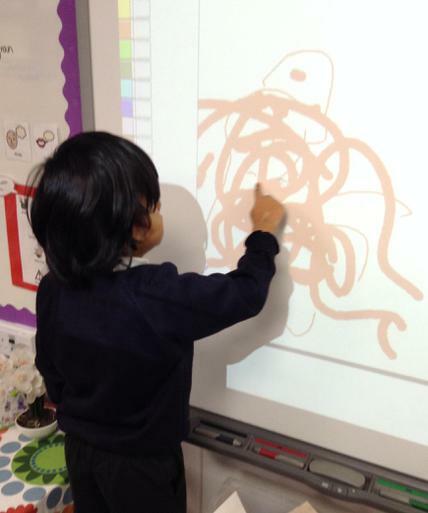 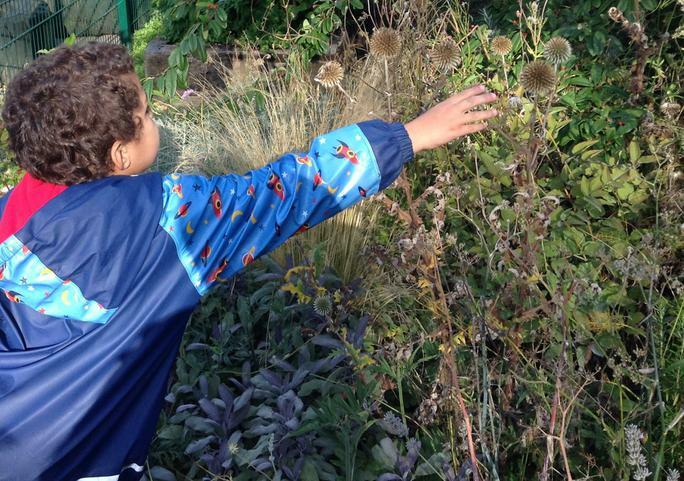 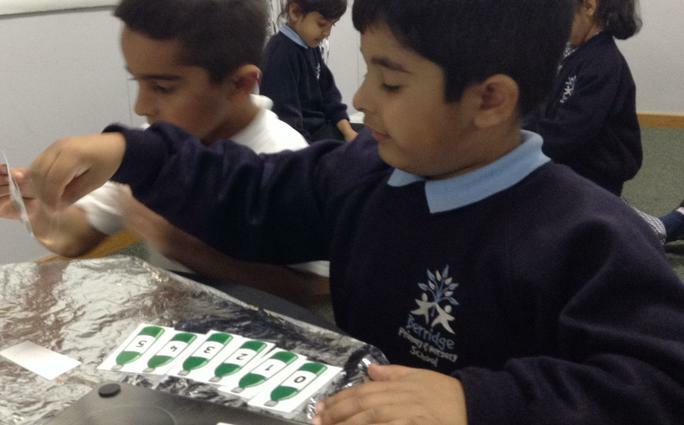 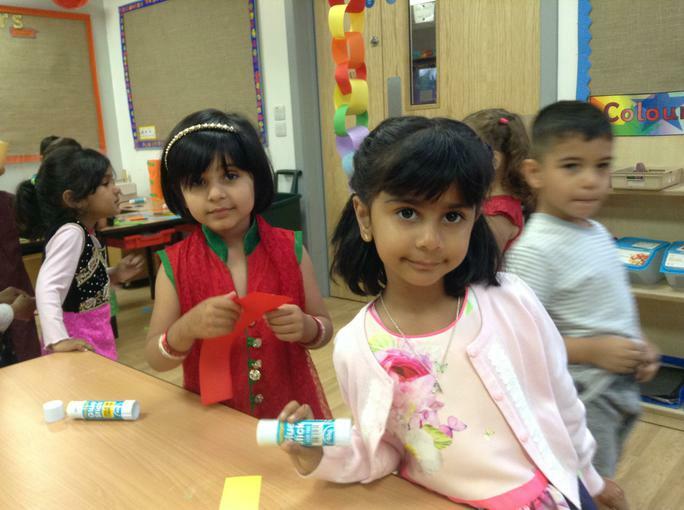 Here are some photos and information about the curriculum we have taught so far this year. 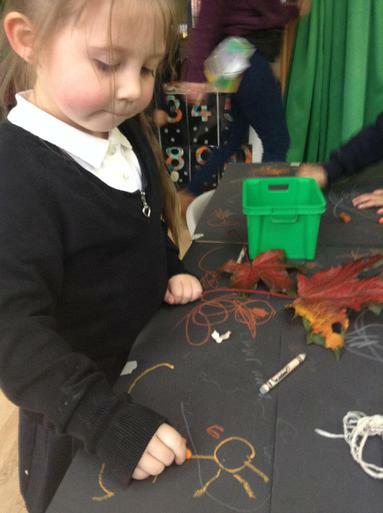 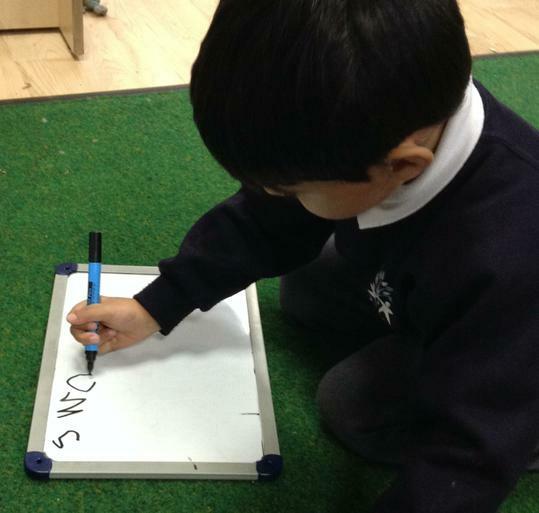 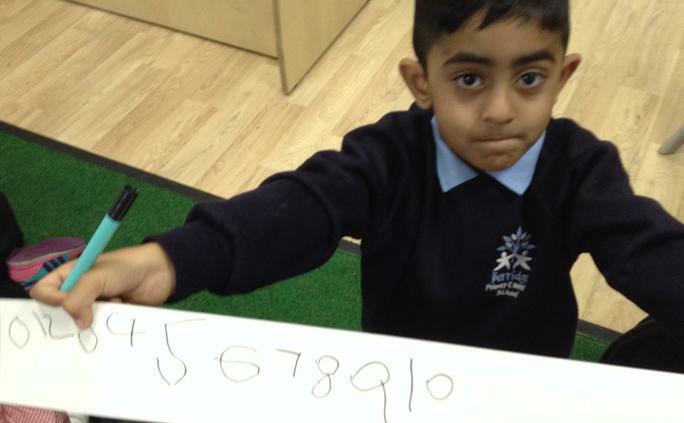 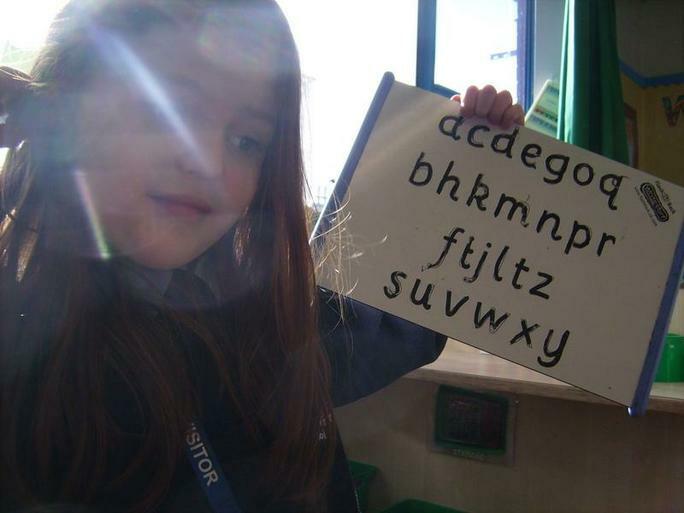 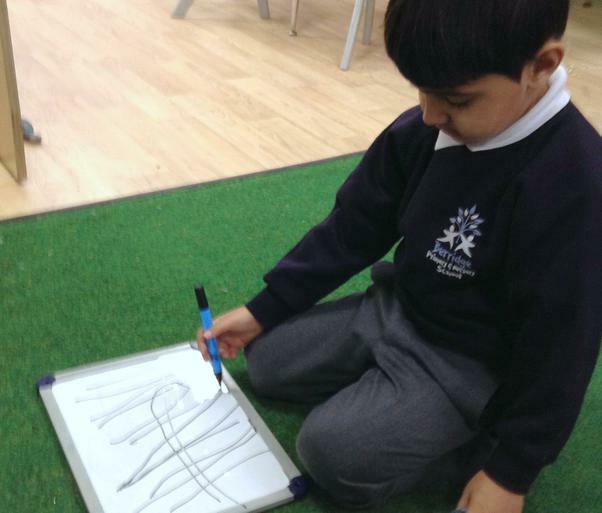 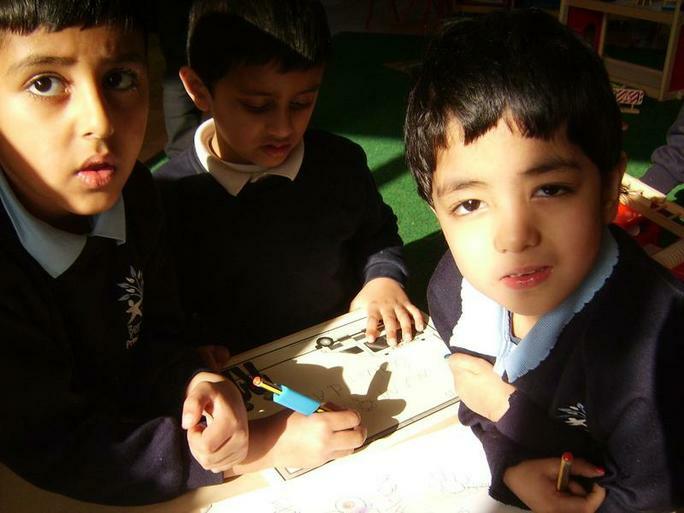 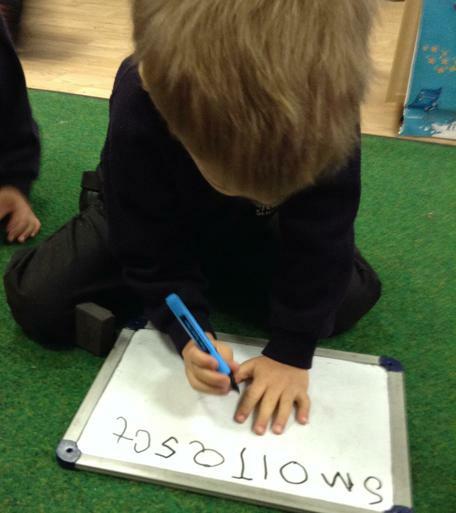 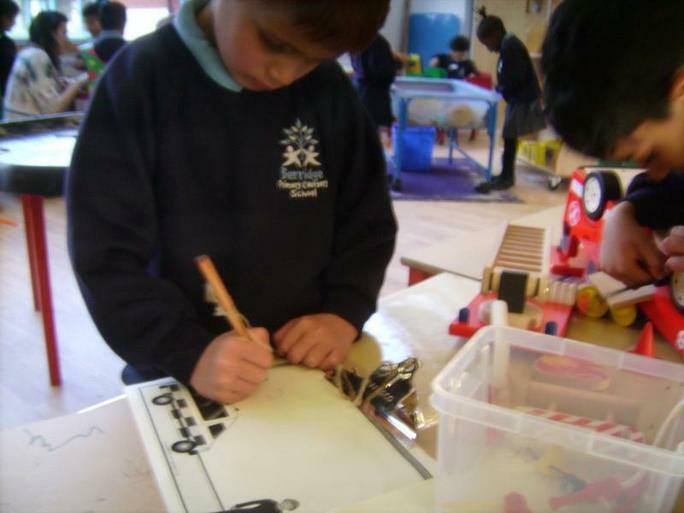 If you have any questions about your child's learning then please do not hesitate to contact a member of the Reception team . 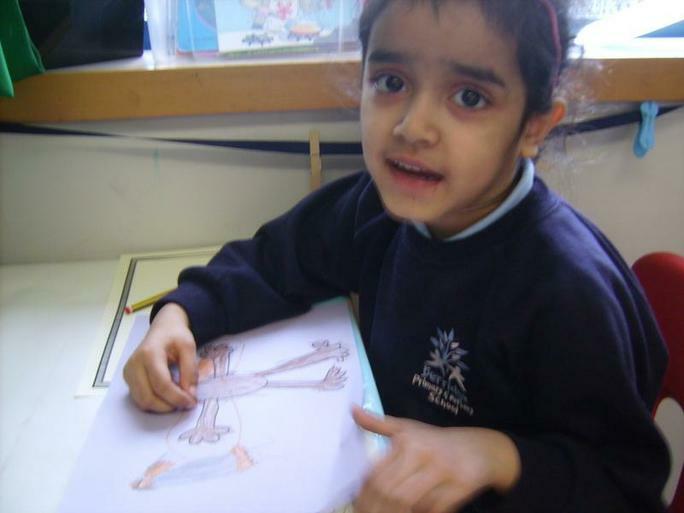 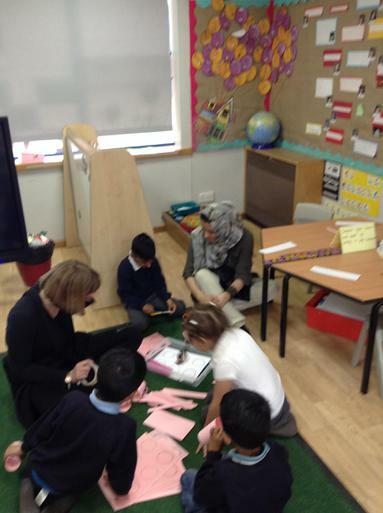 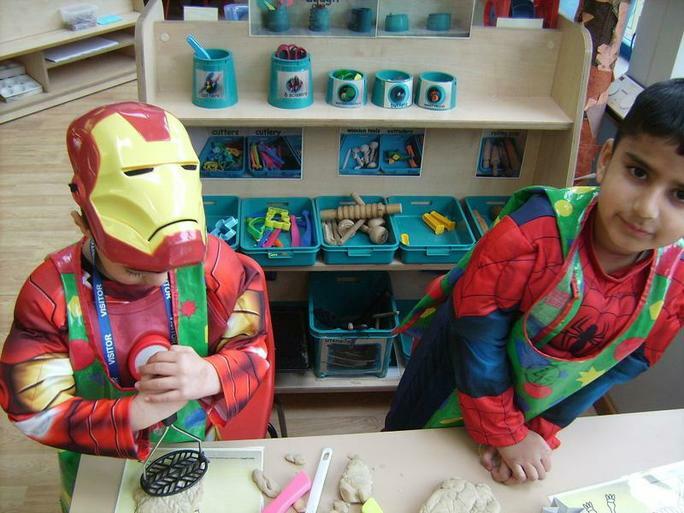 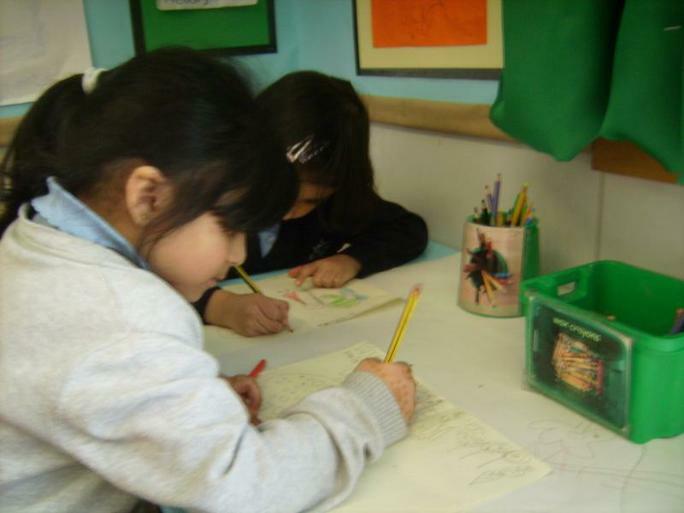 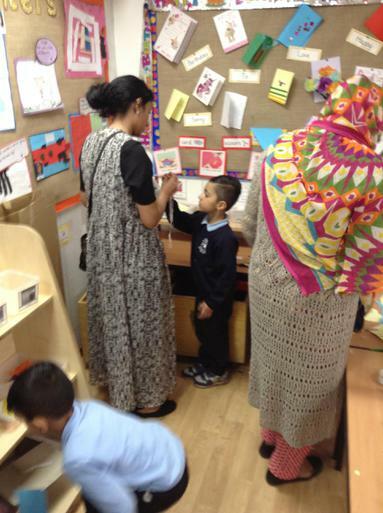 There will be opportunities to look at the work and discuss your child's progress at the parents evenings. 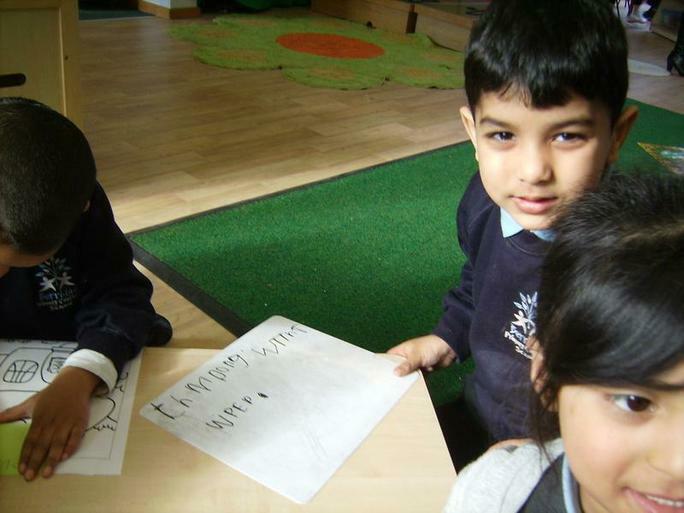 Each term we will be sending you a letter with useful information as well as monthly school newsletters, text messages and website updates. 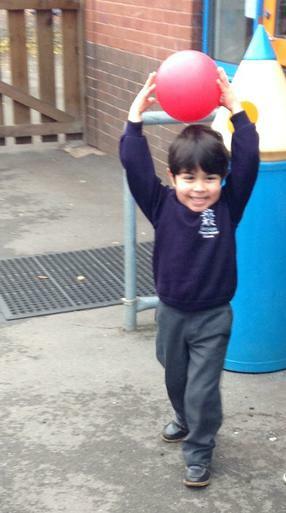 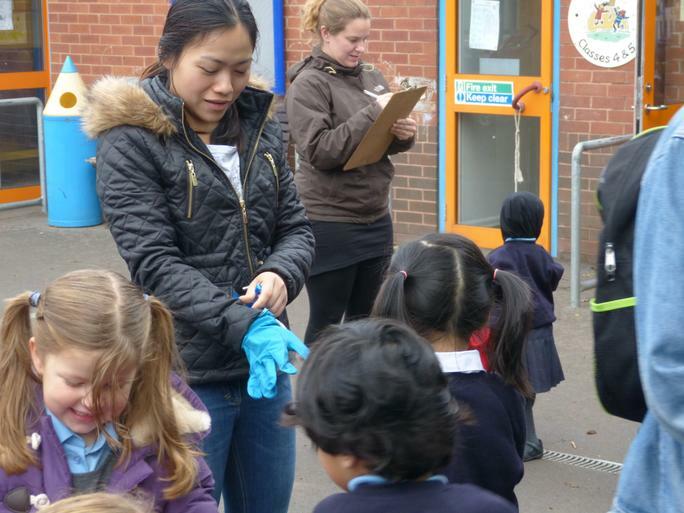 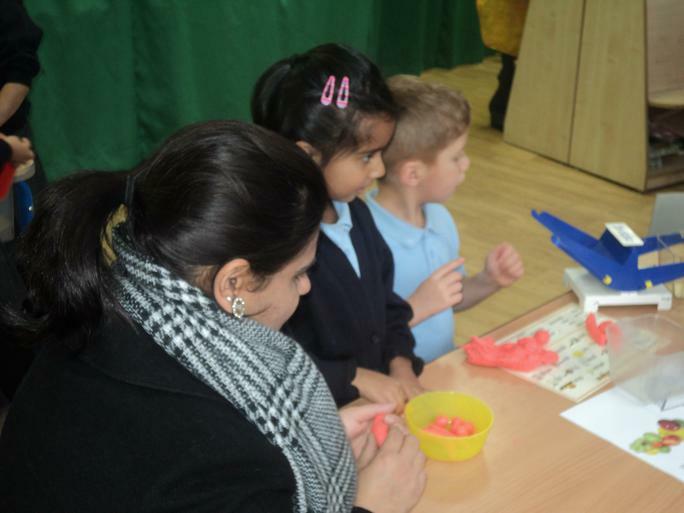 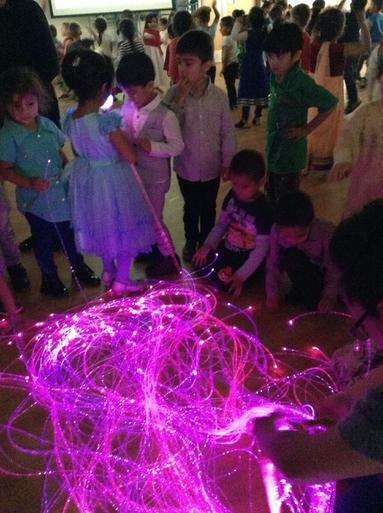 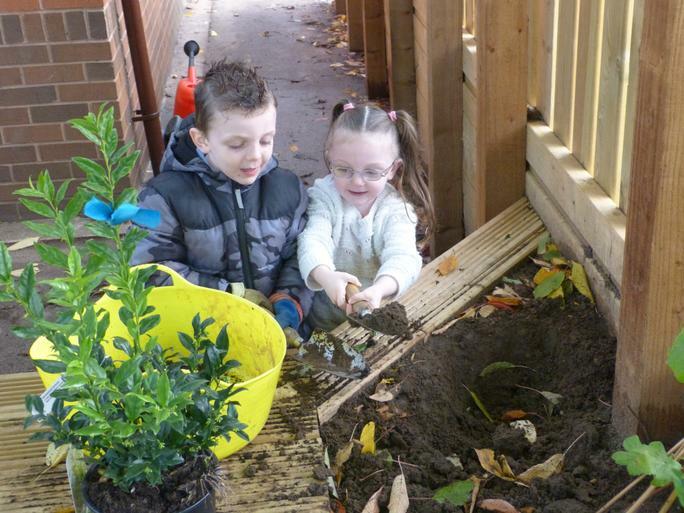 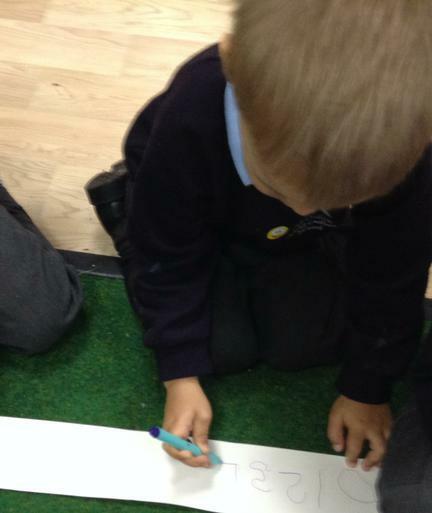 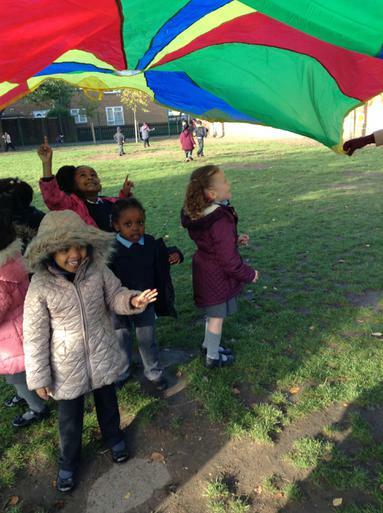 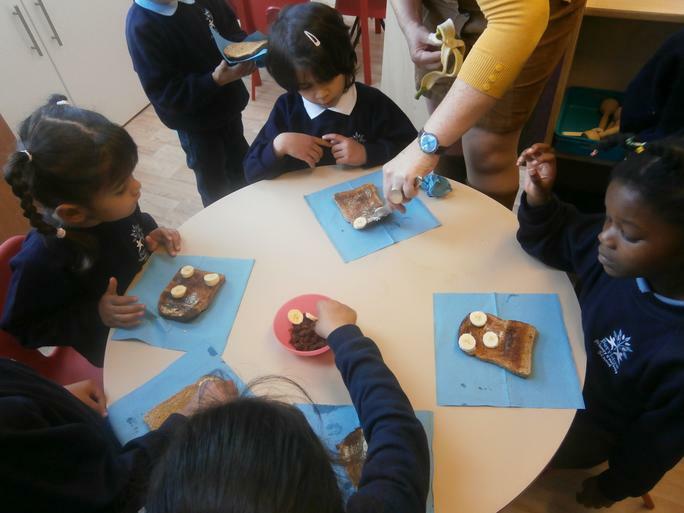 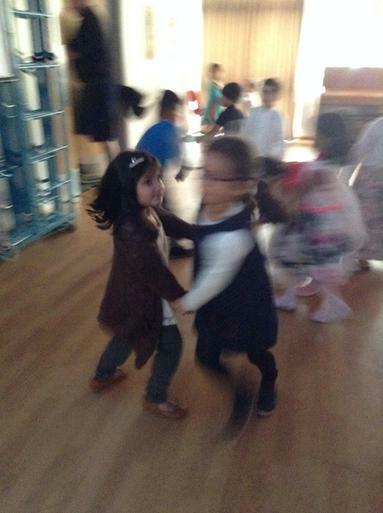 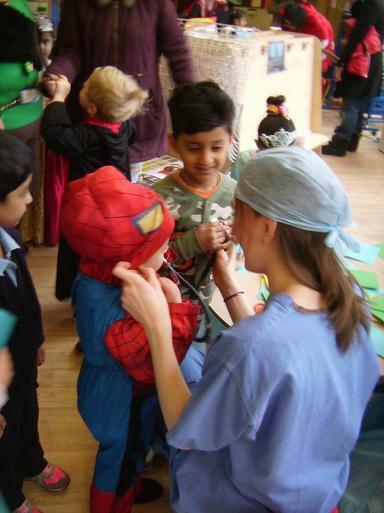 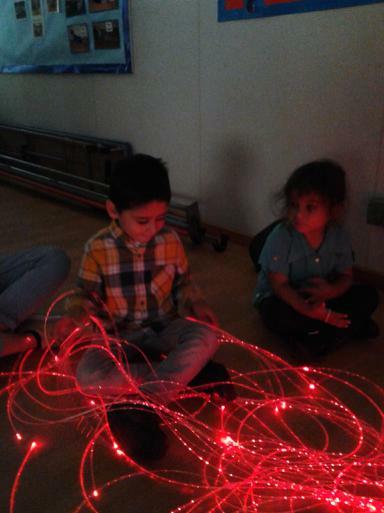 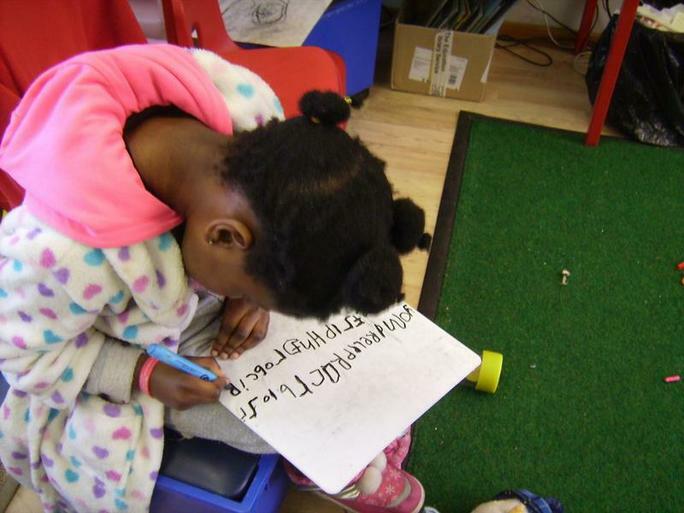 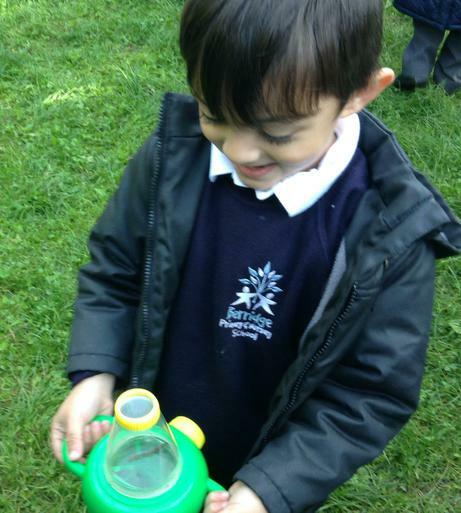 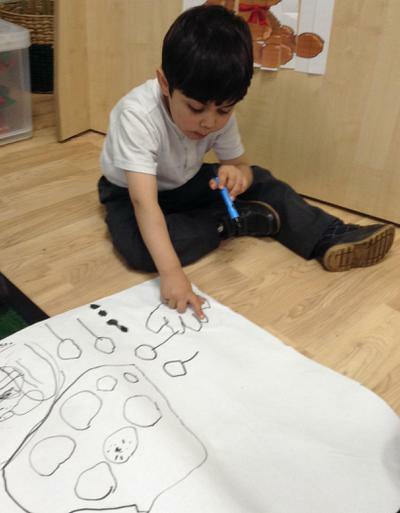 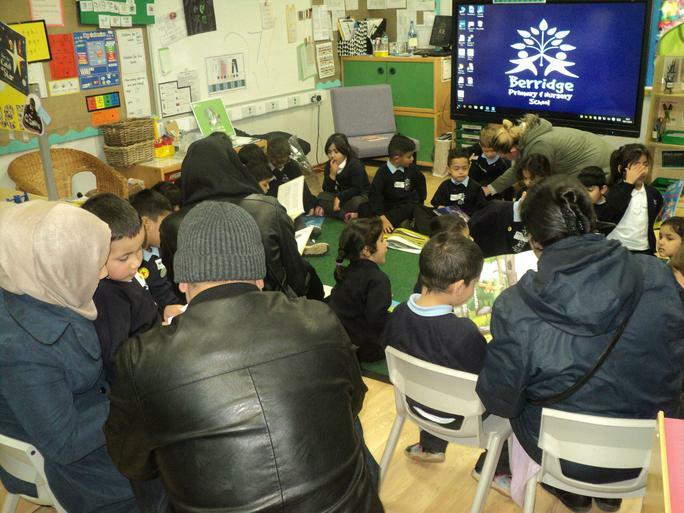 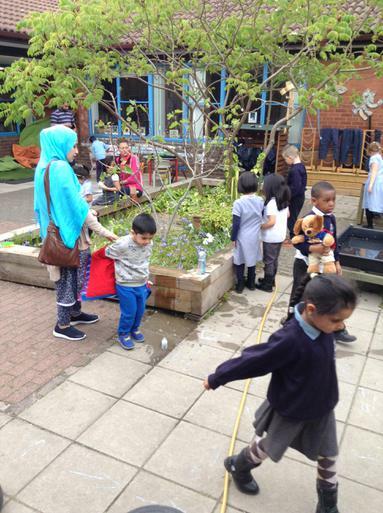 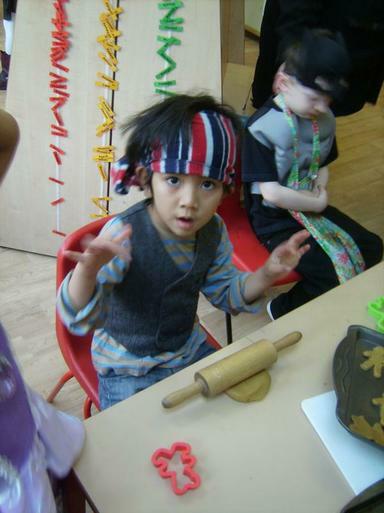 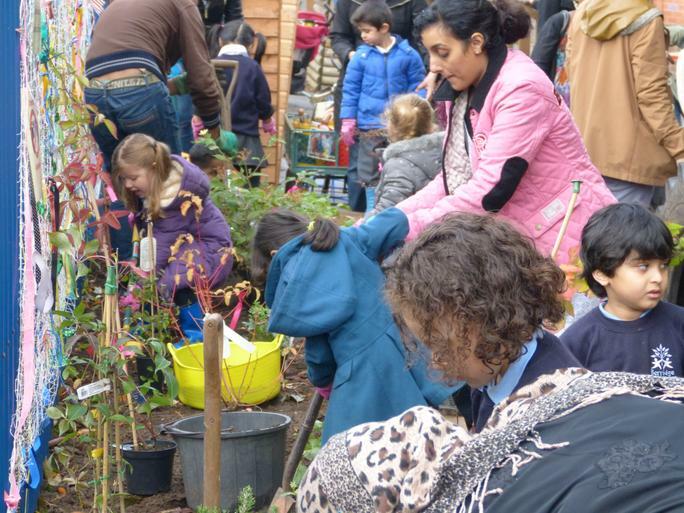 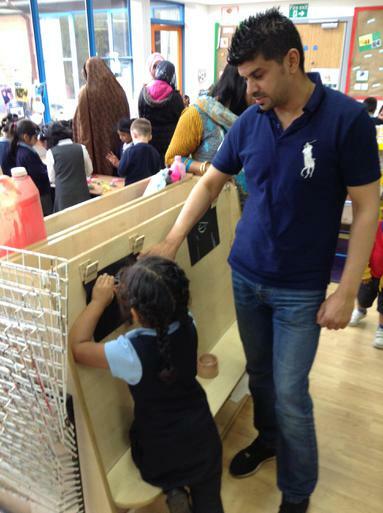 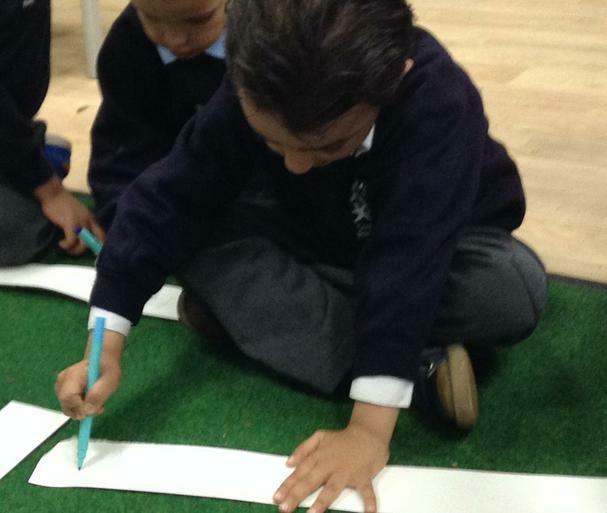 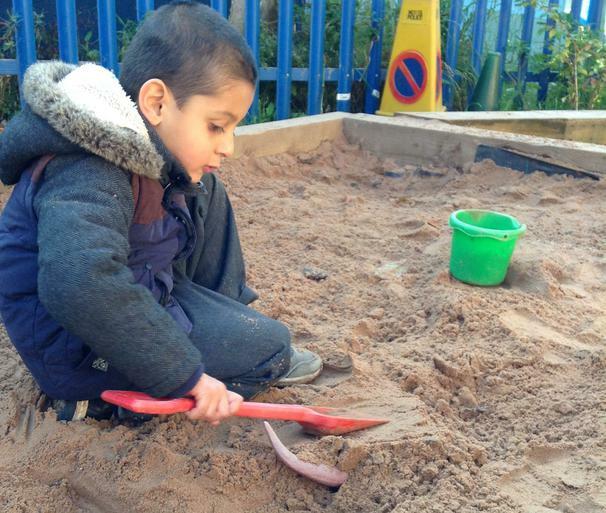 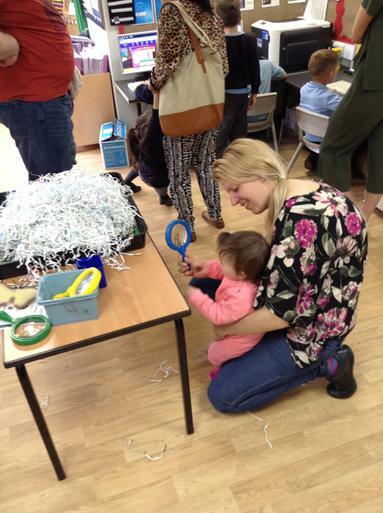 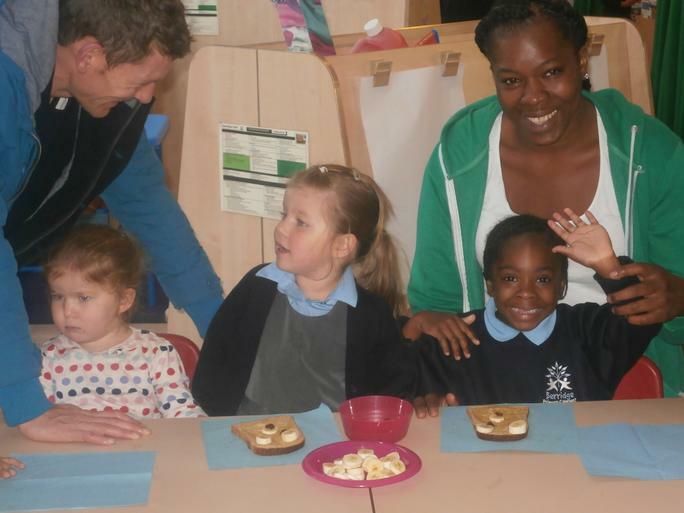 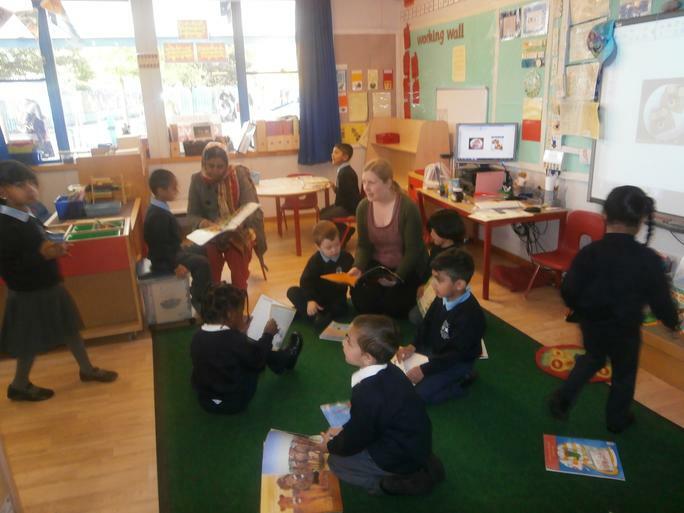 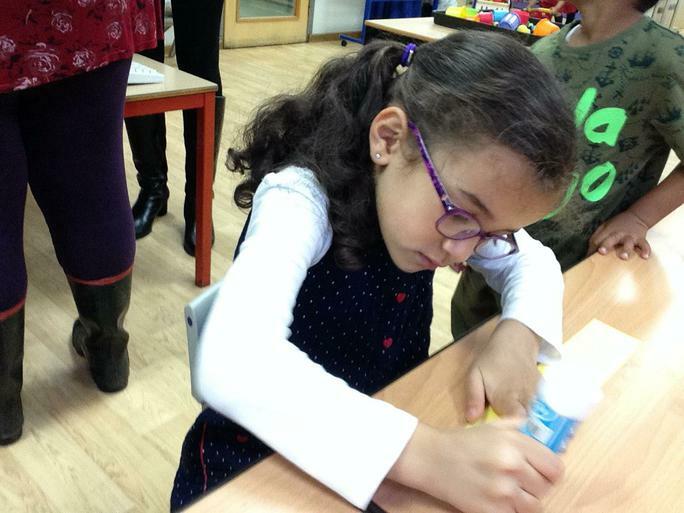 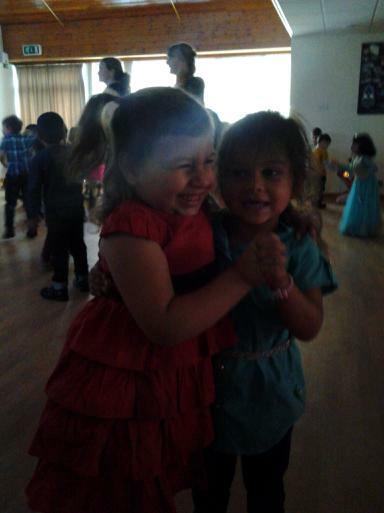 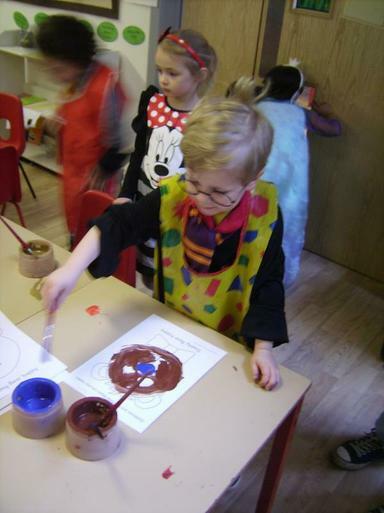 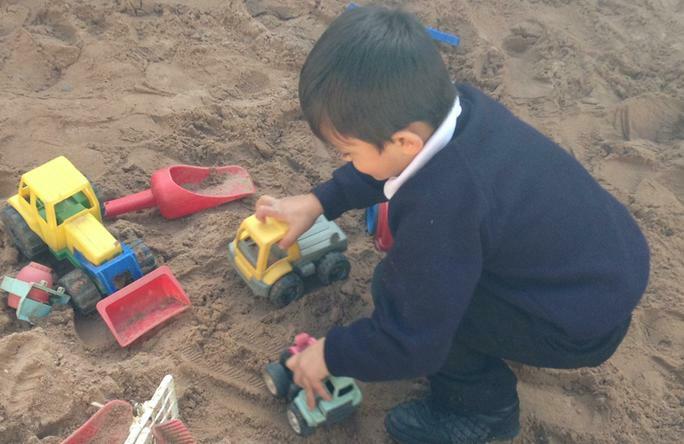 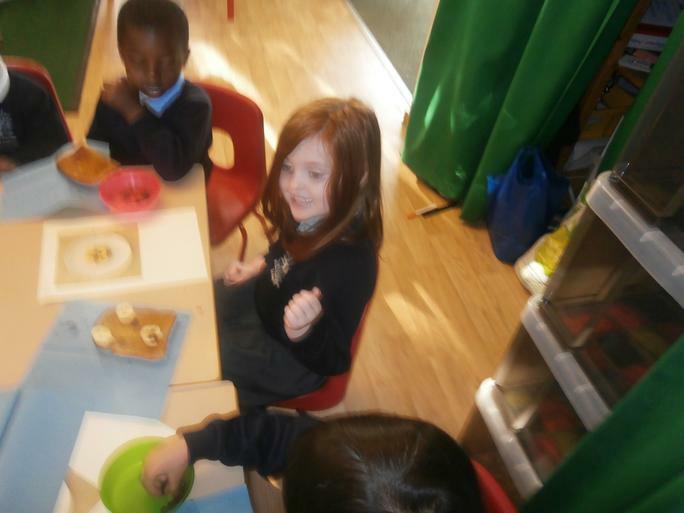 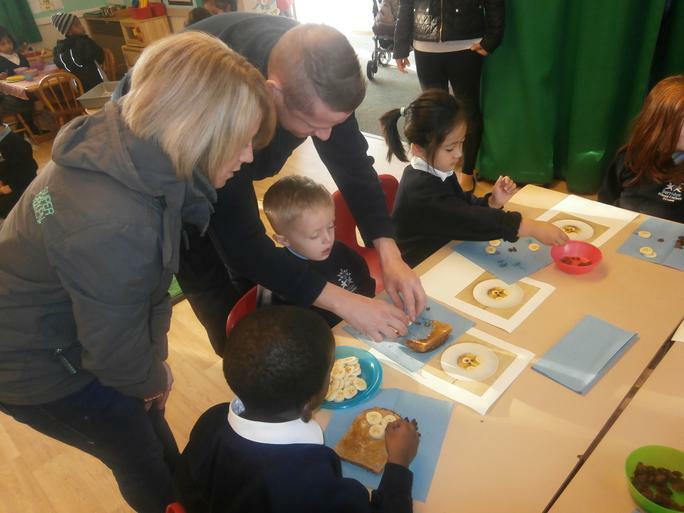 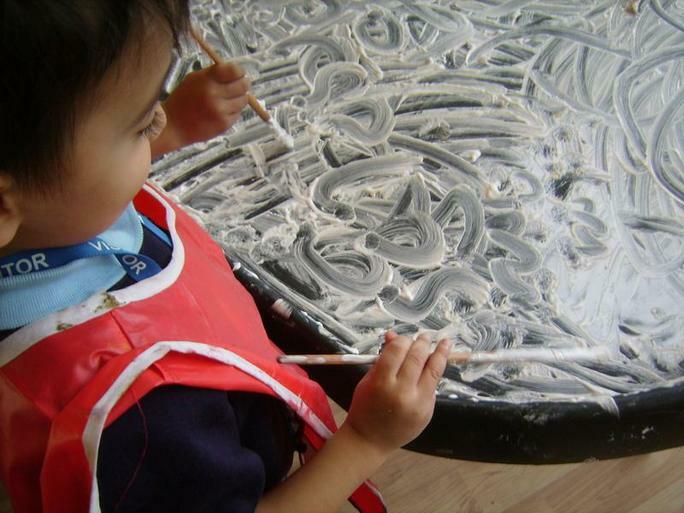 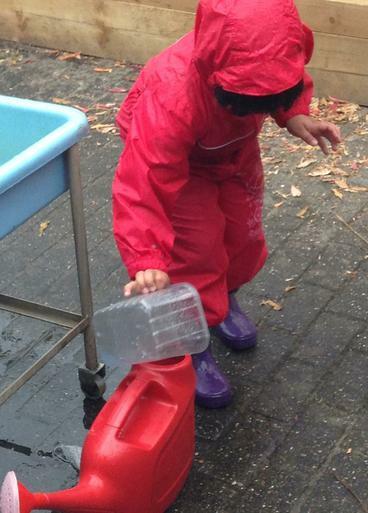 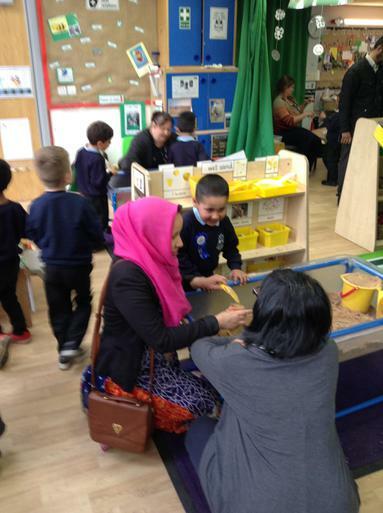 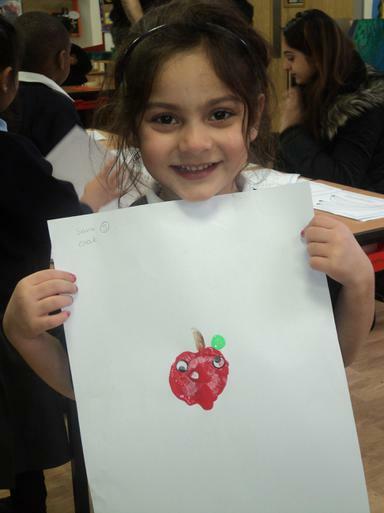 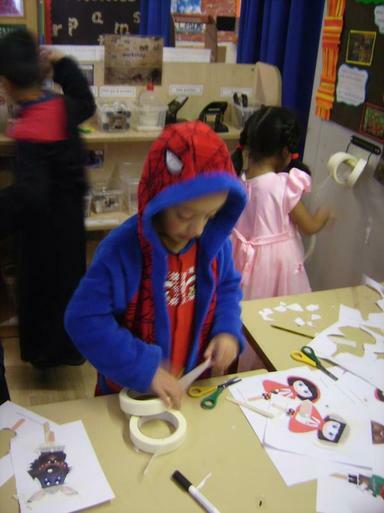 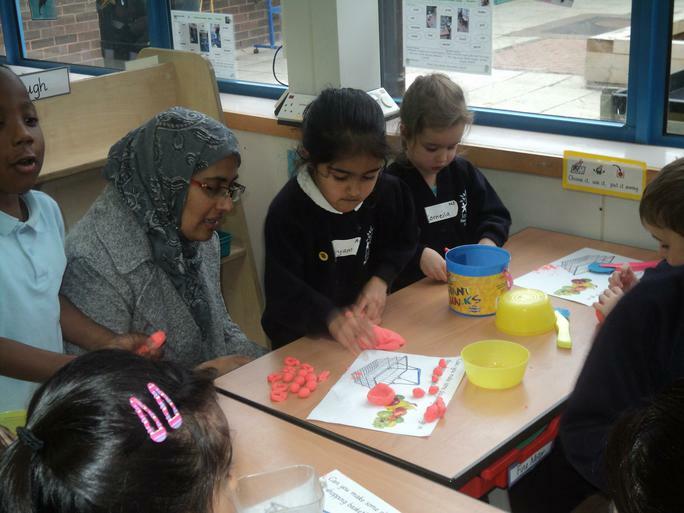 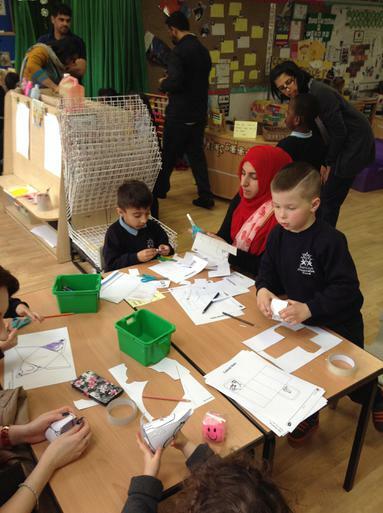 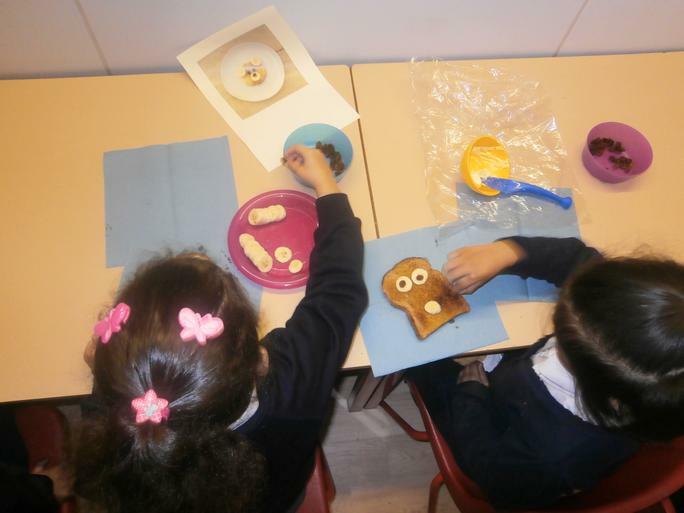 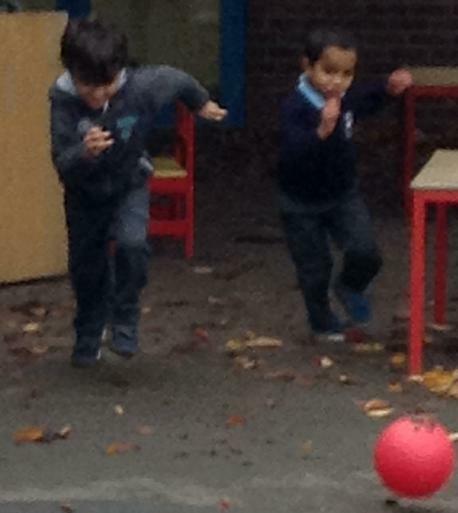 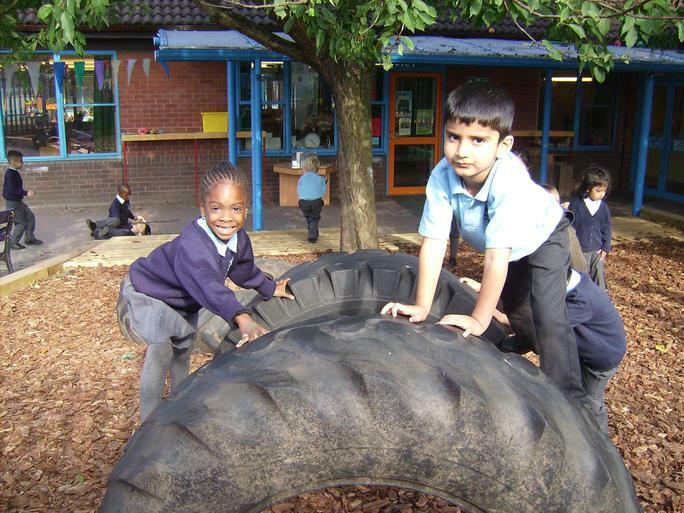 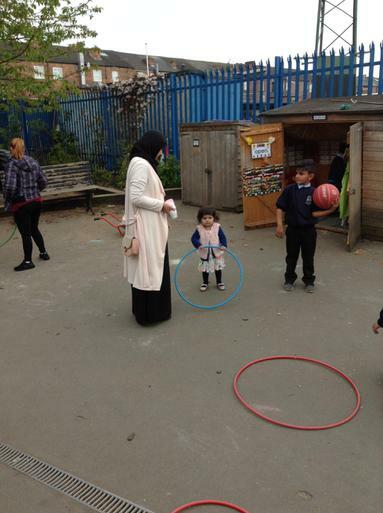 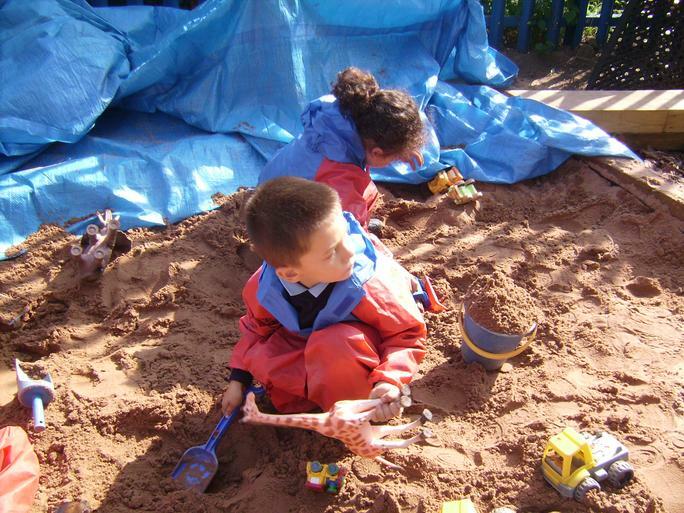 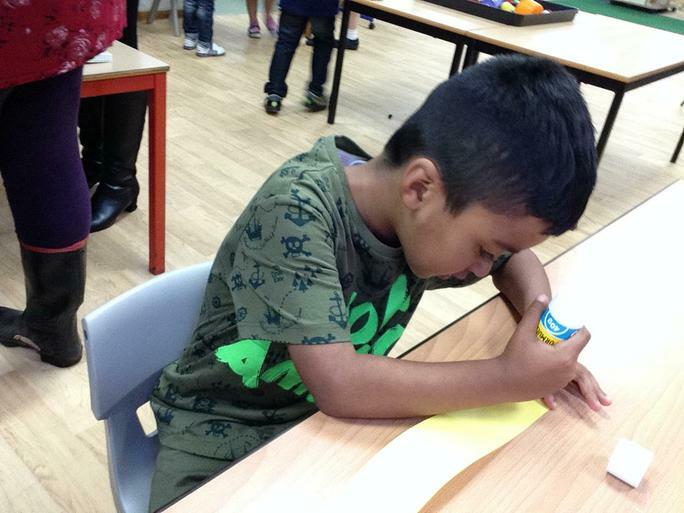 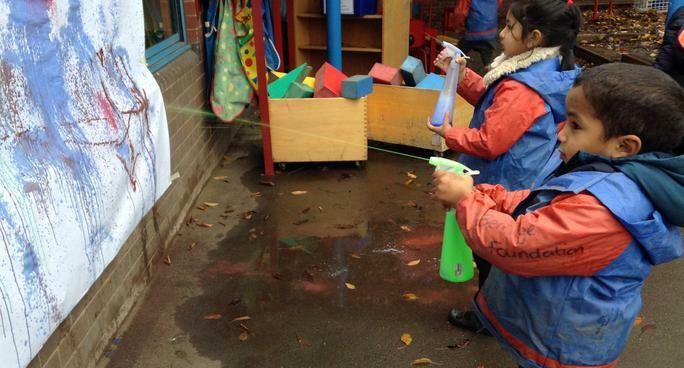 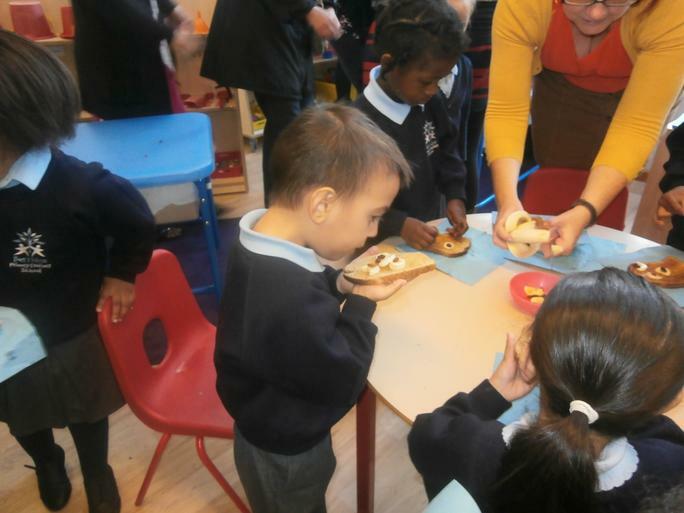 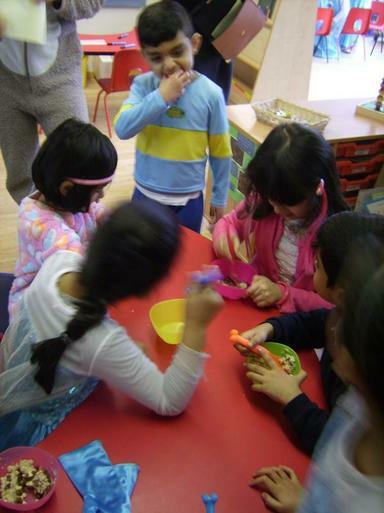 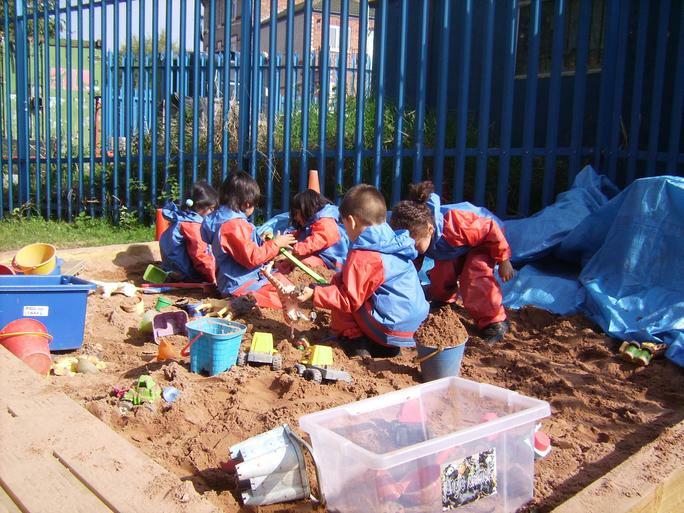 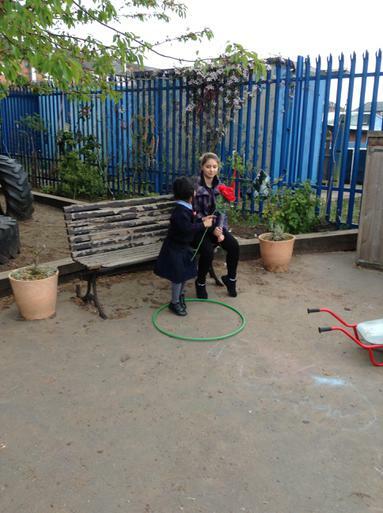 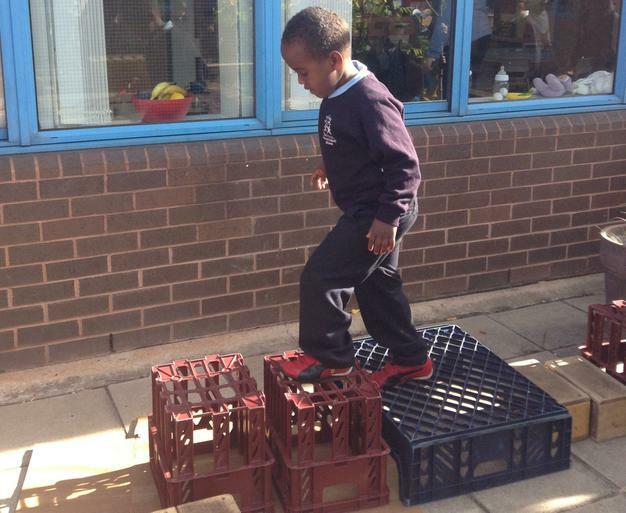 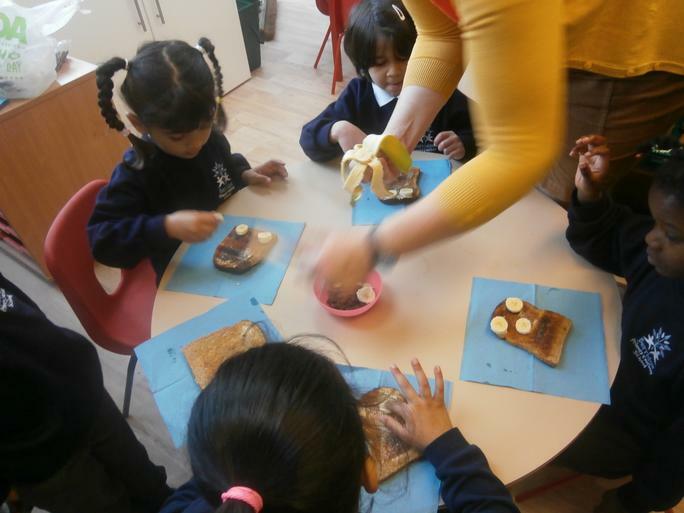 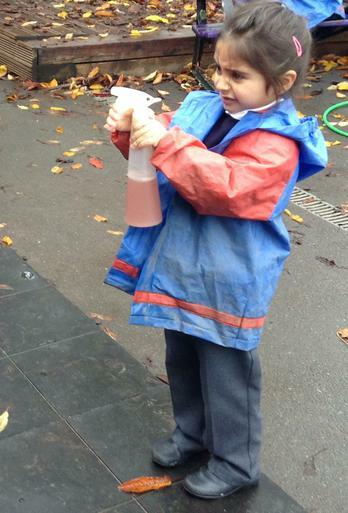 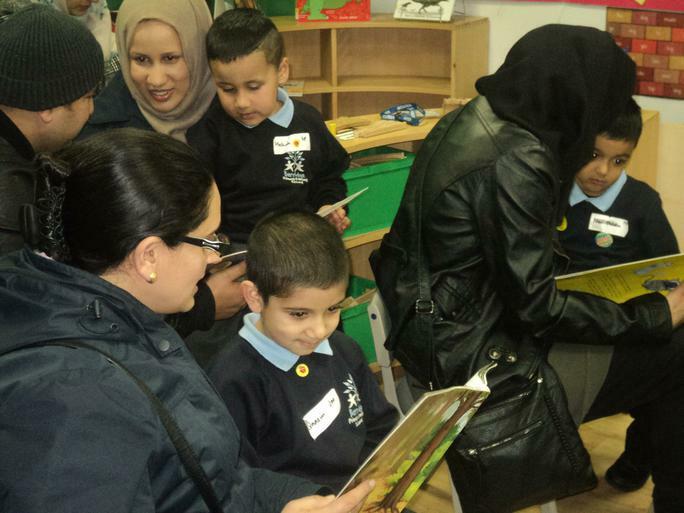 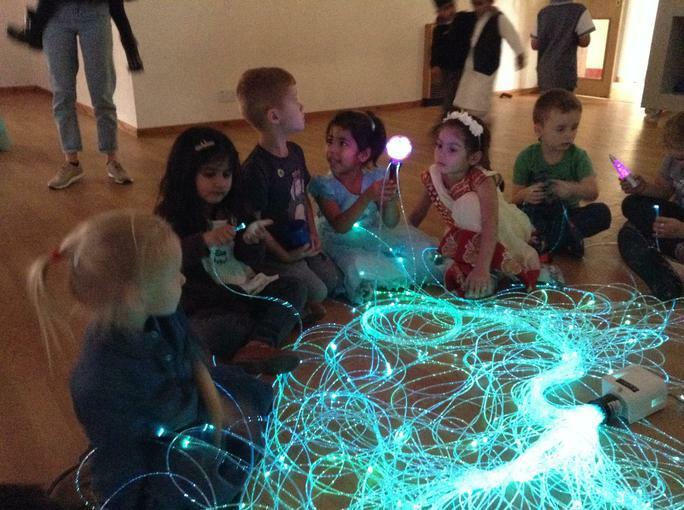 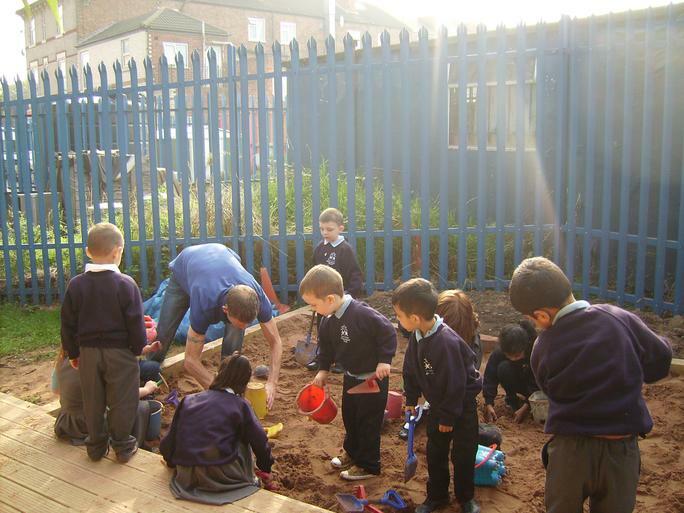 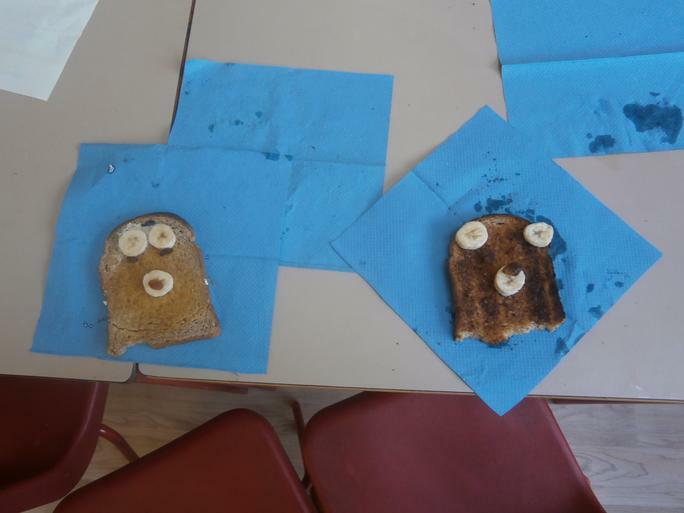 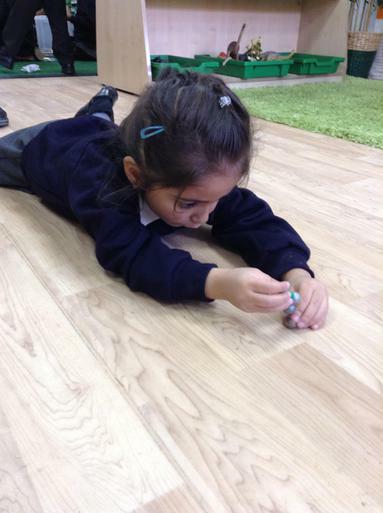 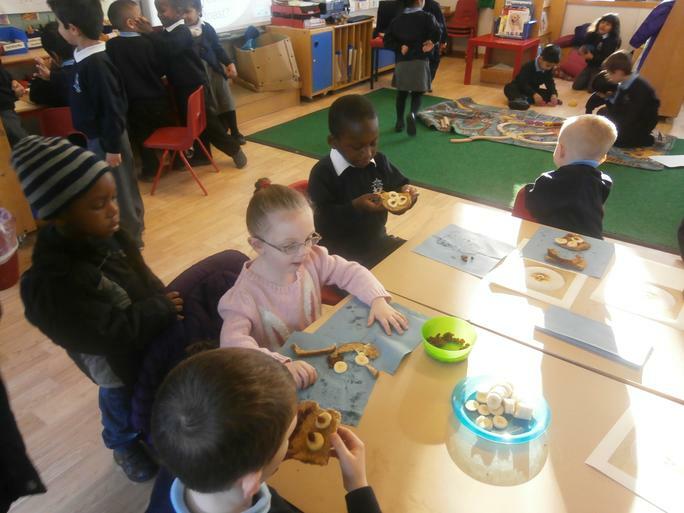 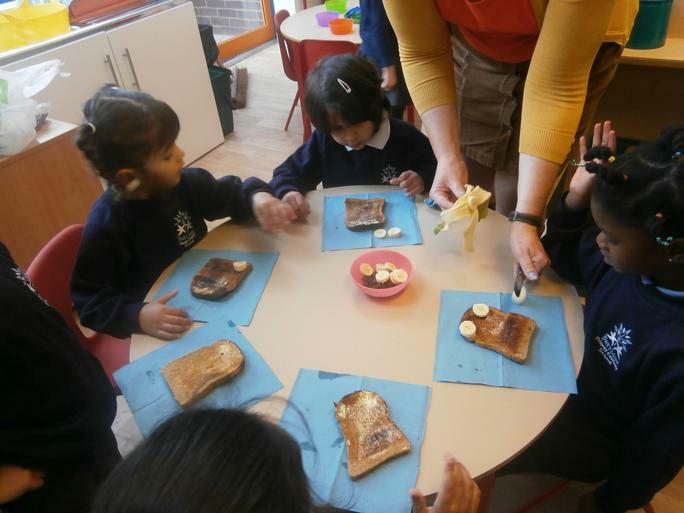 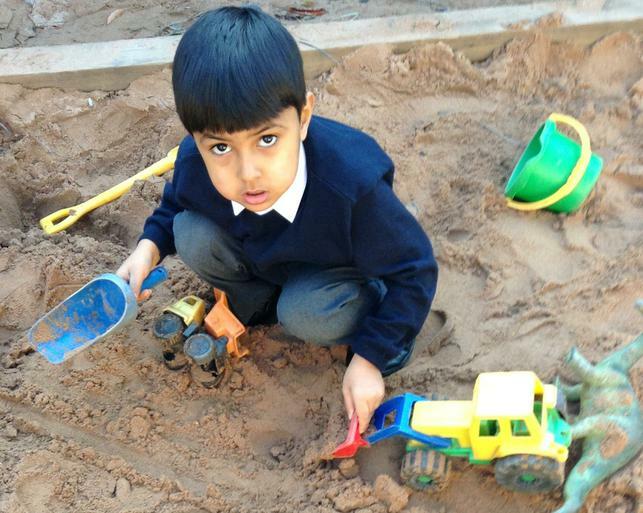 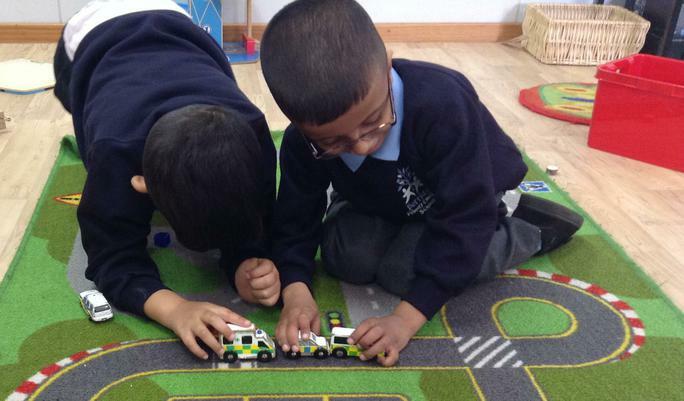 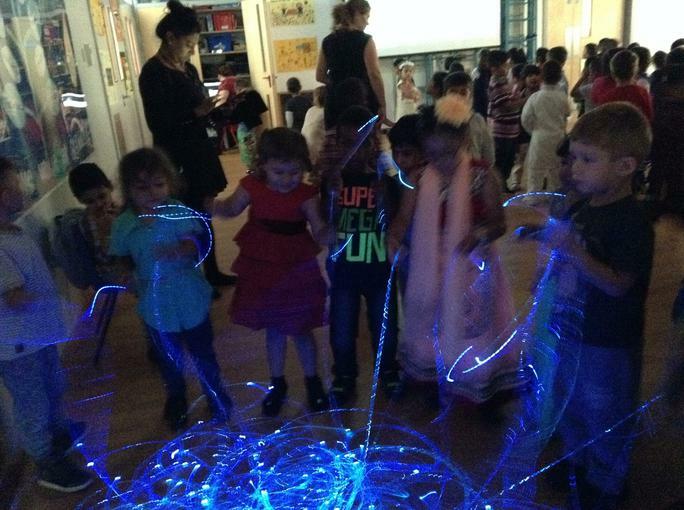 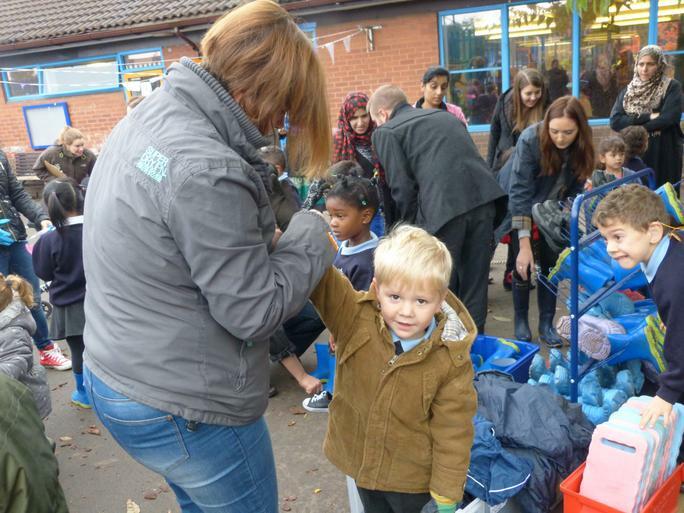 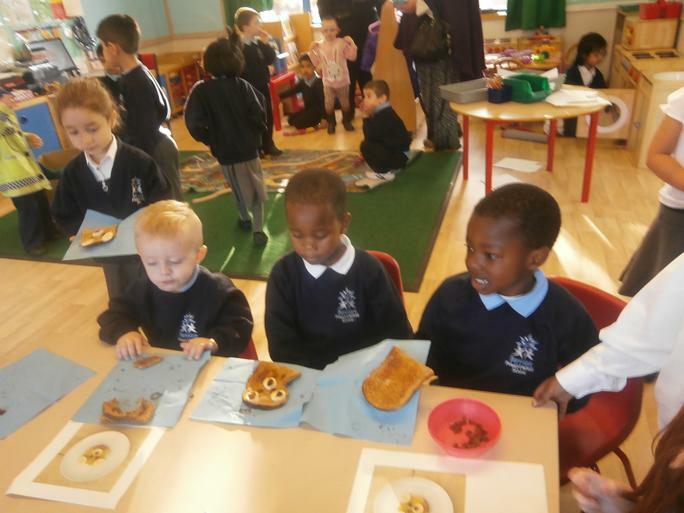 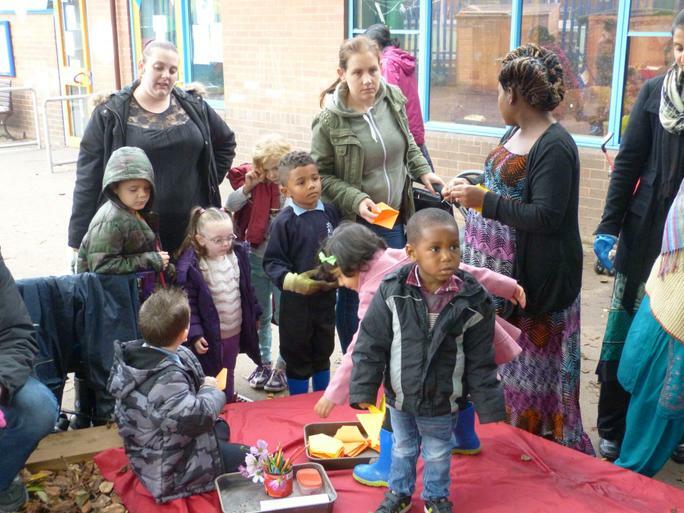 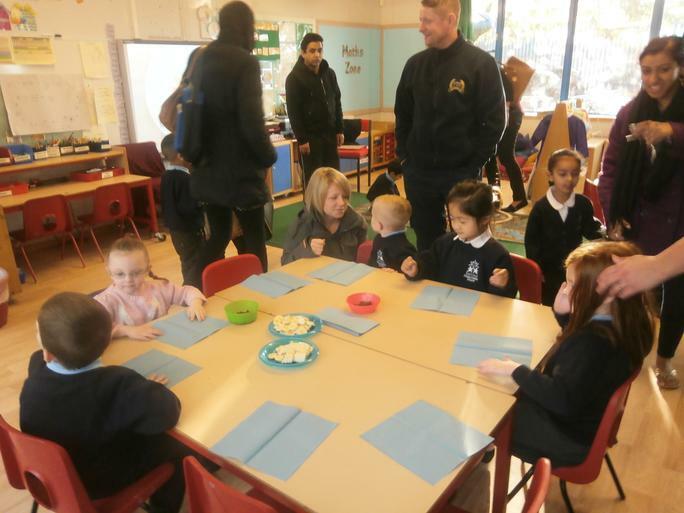 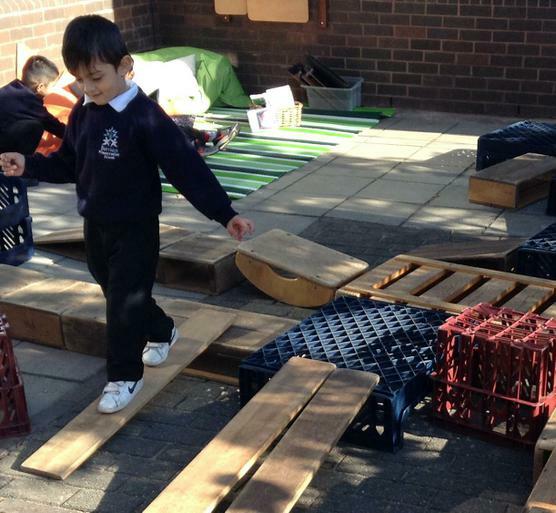 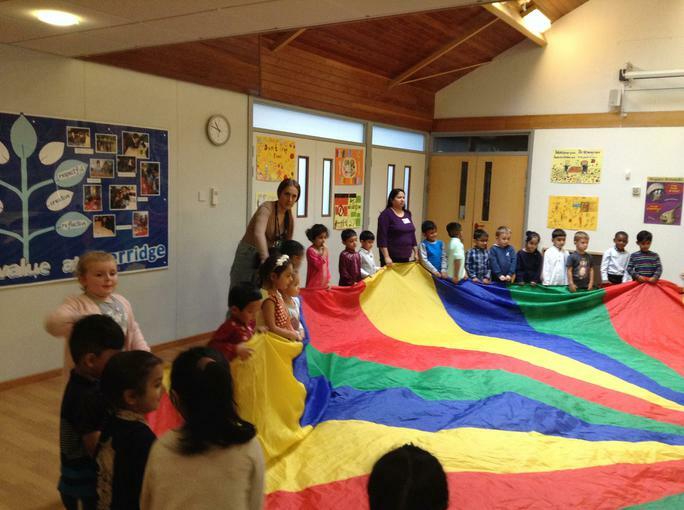 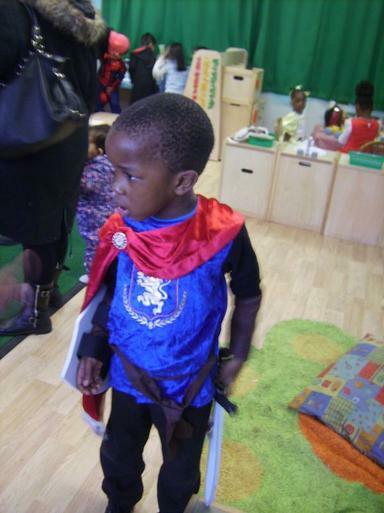 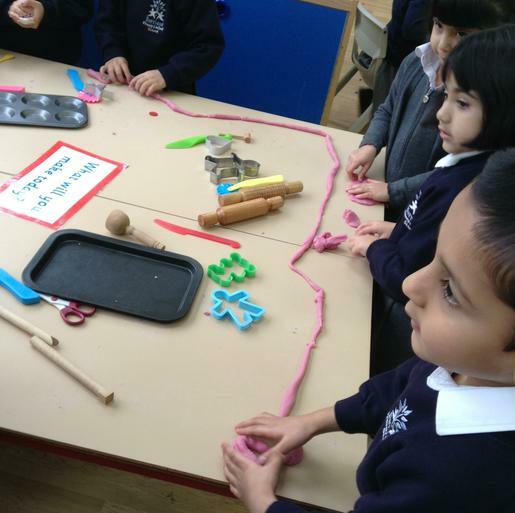 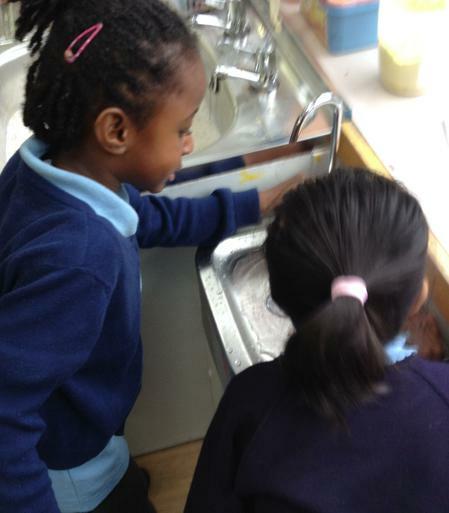 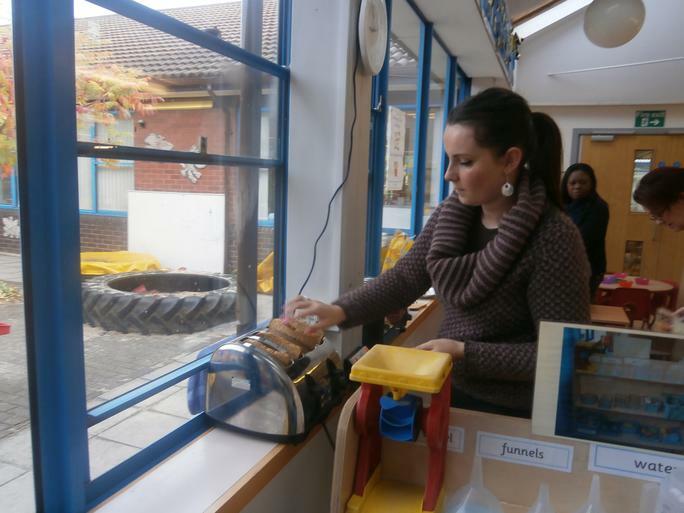 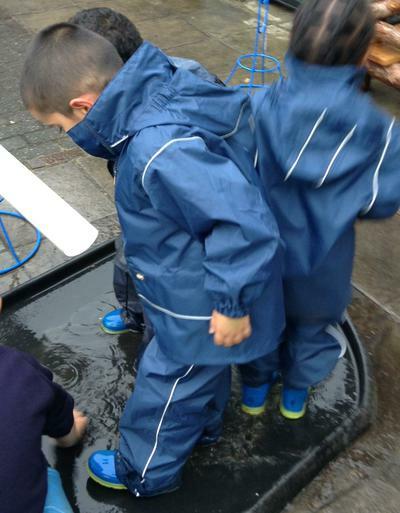 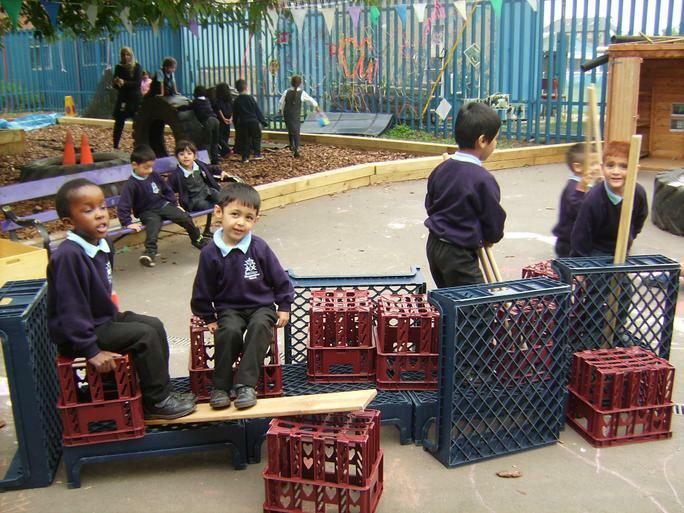 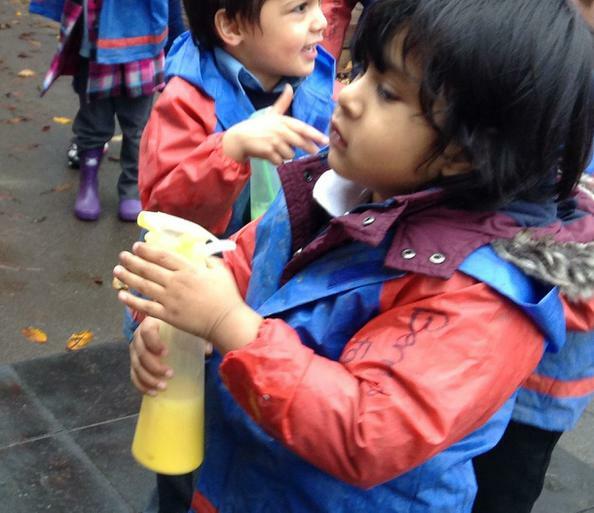 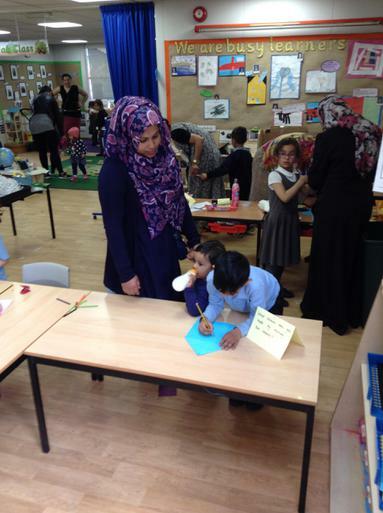 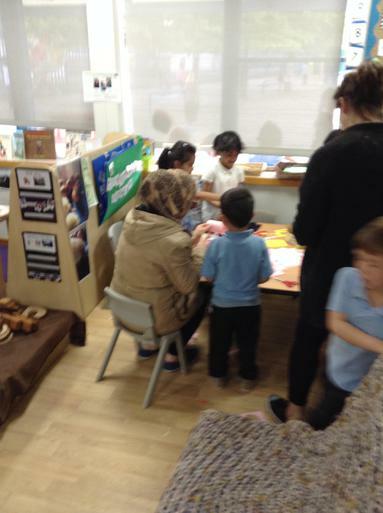 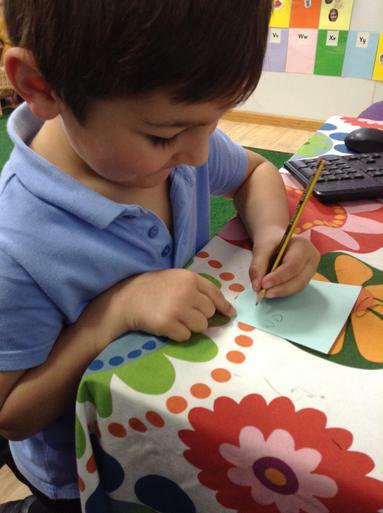 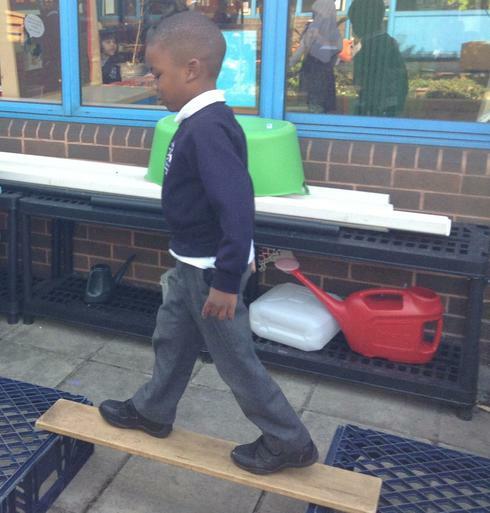 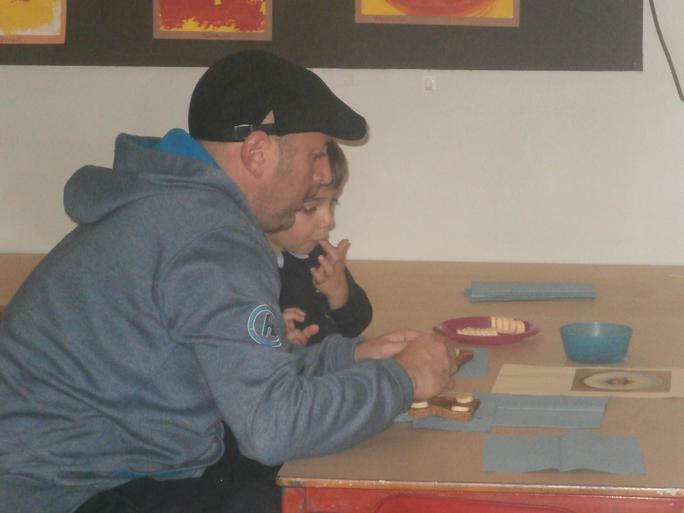 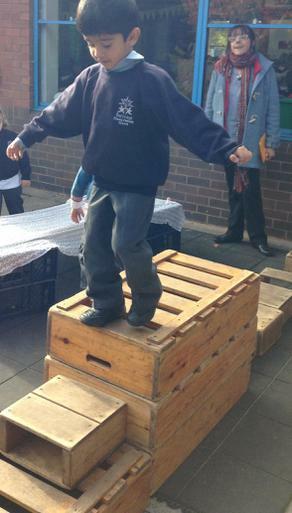 F2 Stay and Play - Thank you to all the parents and carers that attended the Stay and Play on Thursday 11th May. 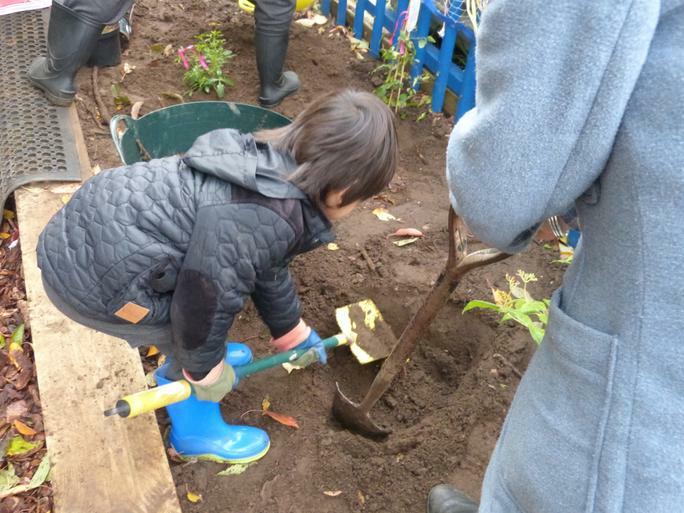 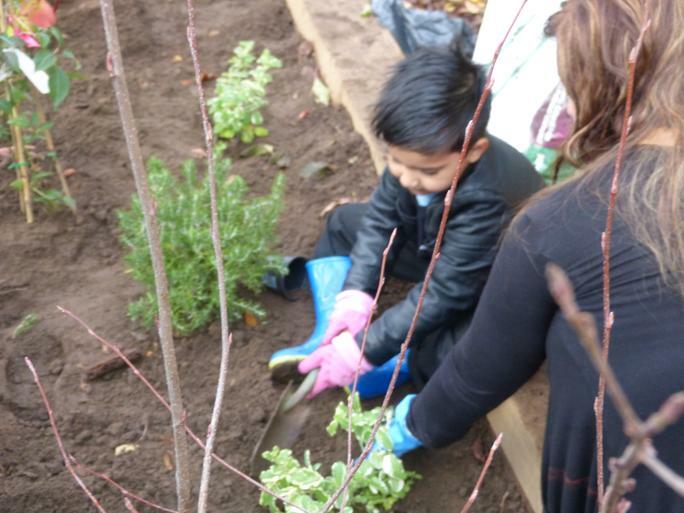 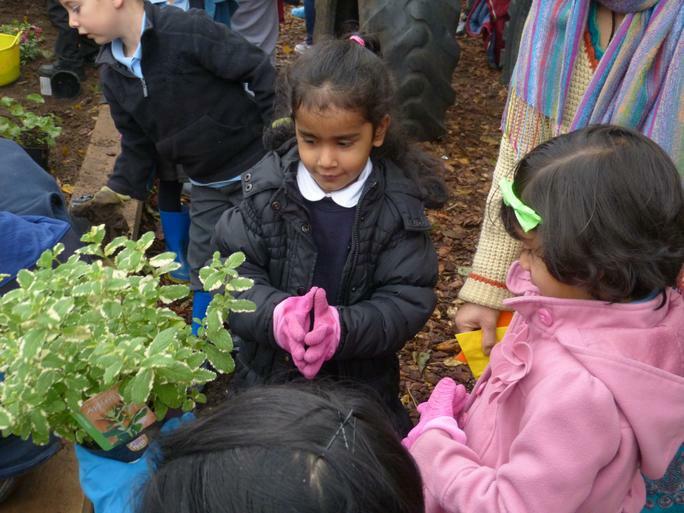 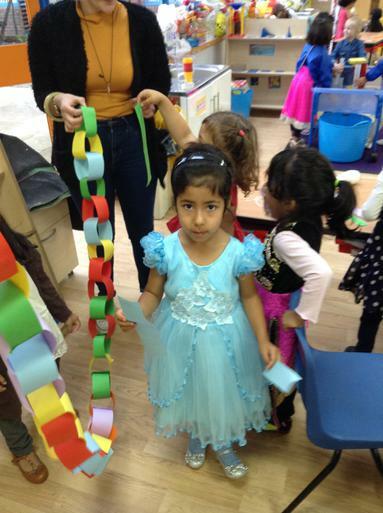 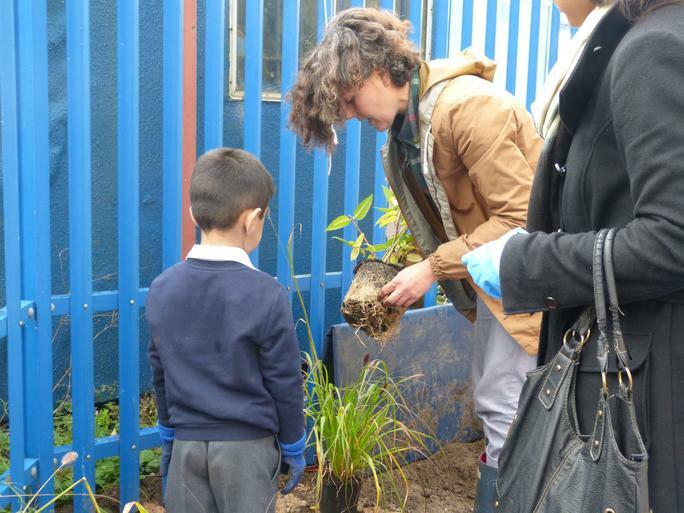 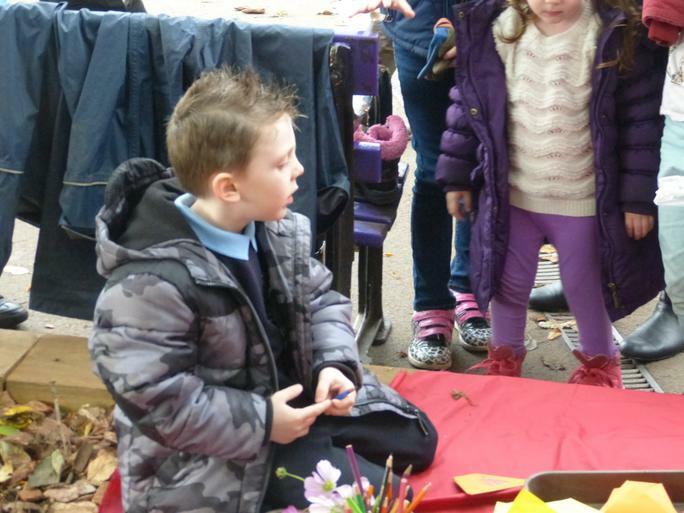 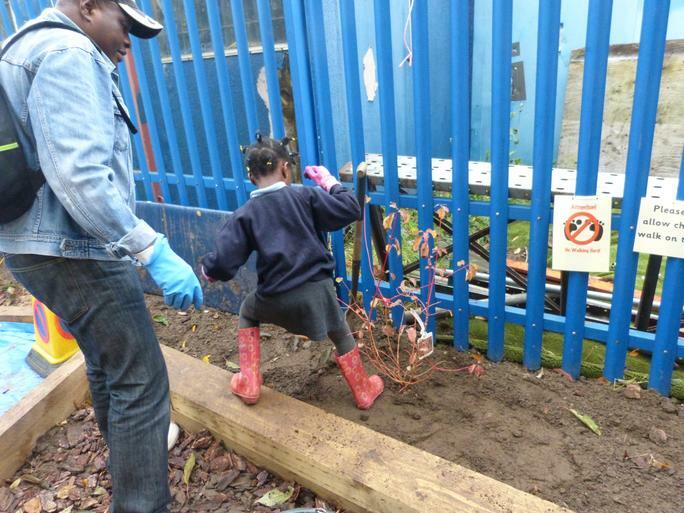 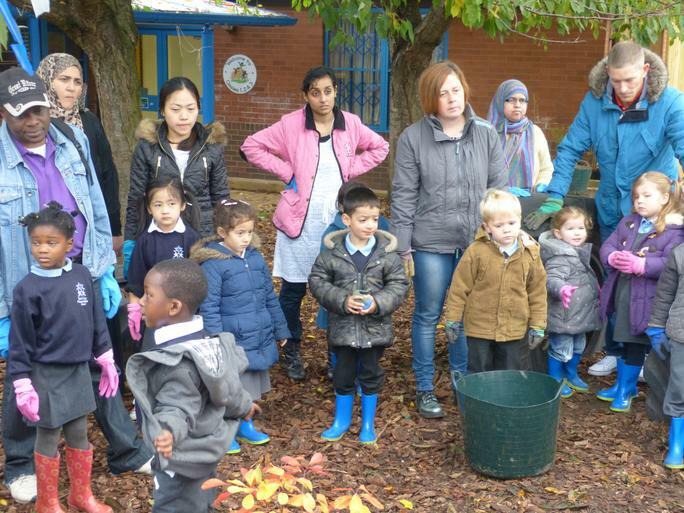 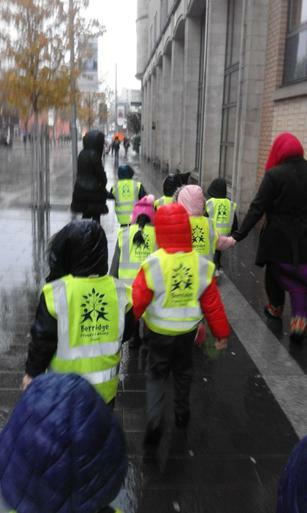 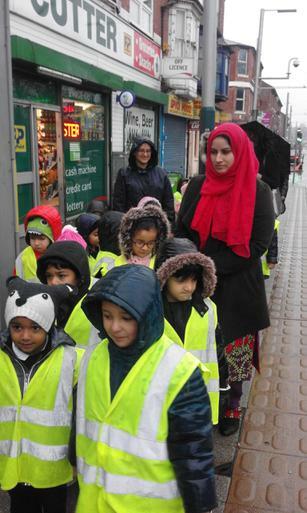 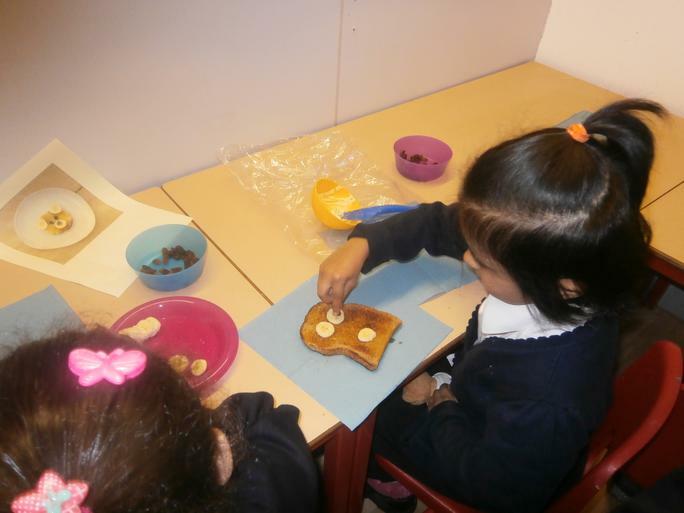 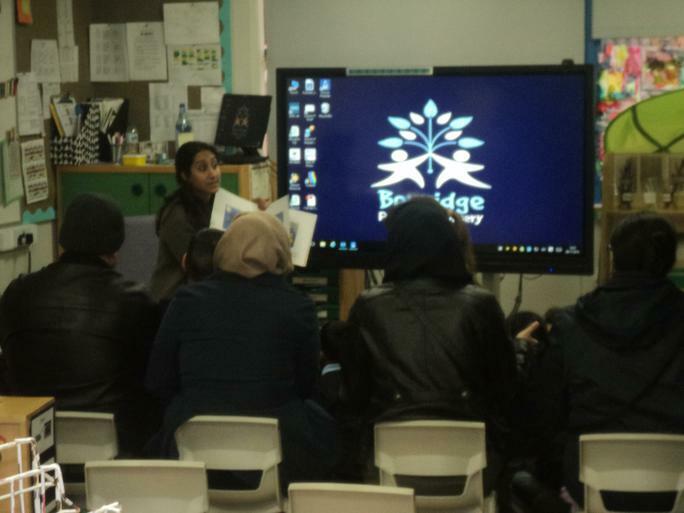 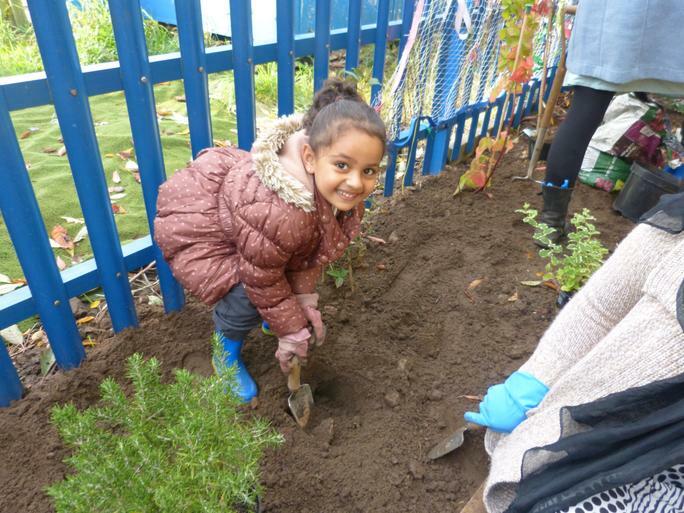 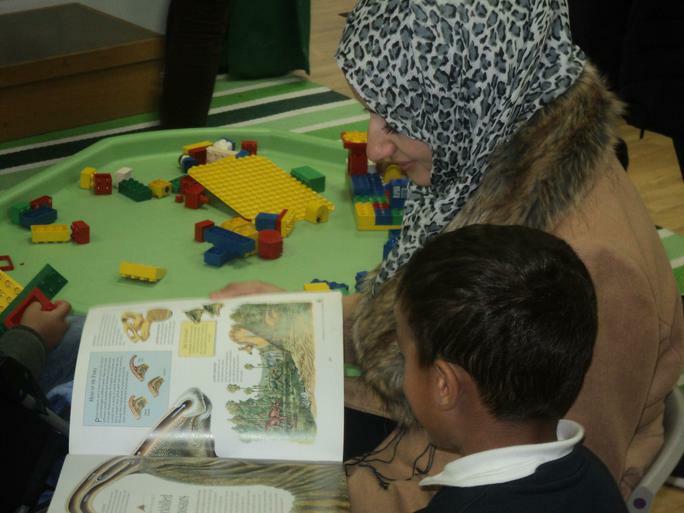 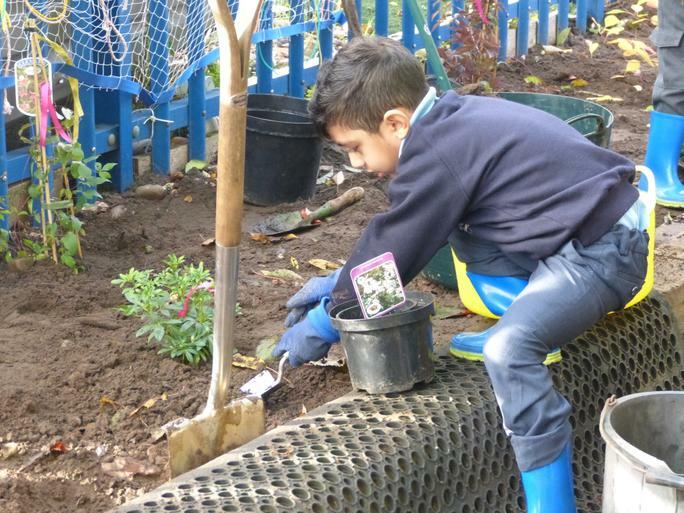 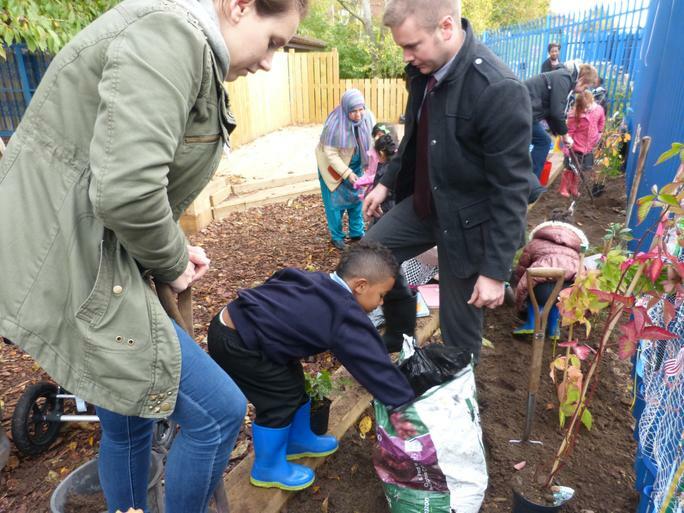 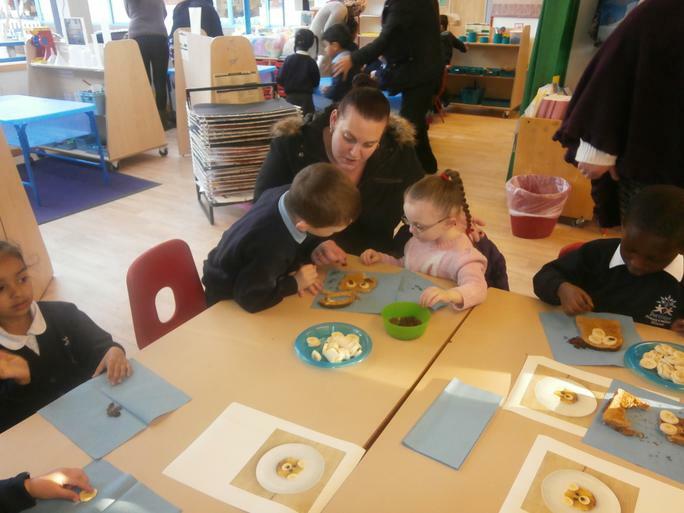 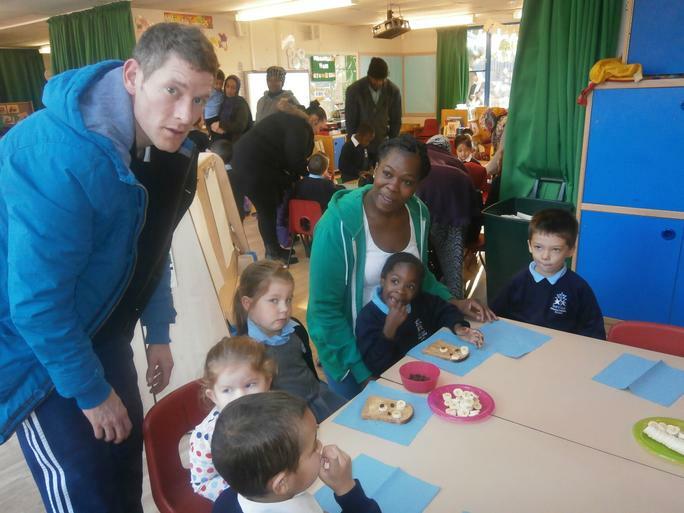 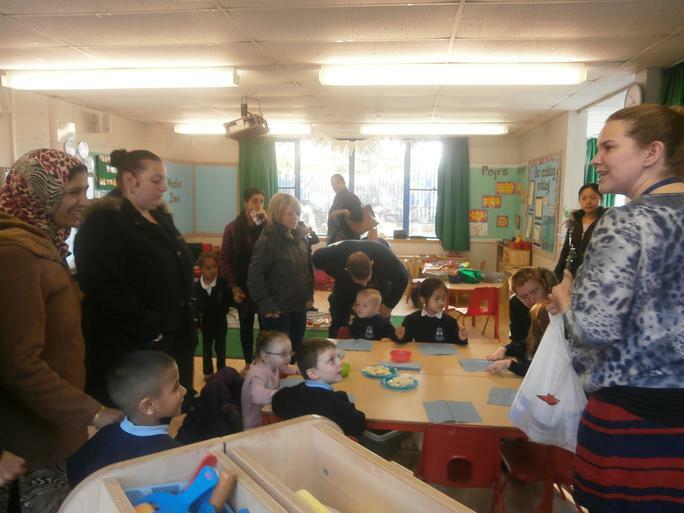 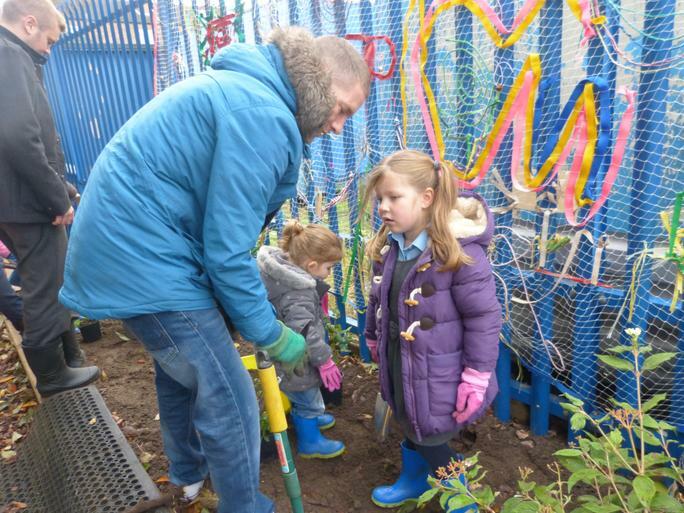 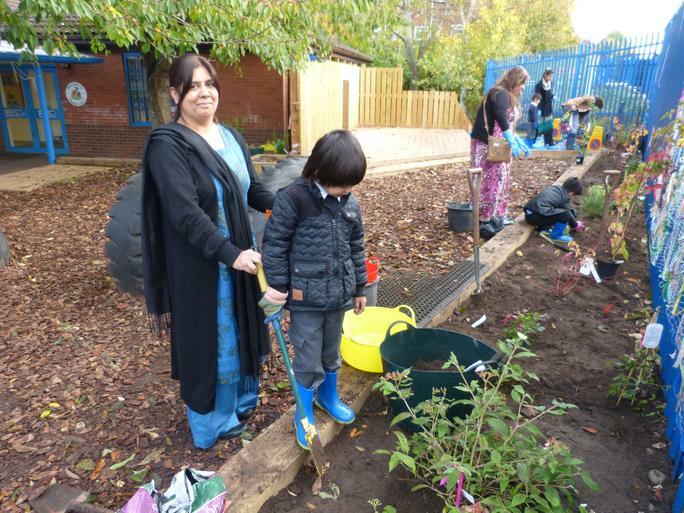 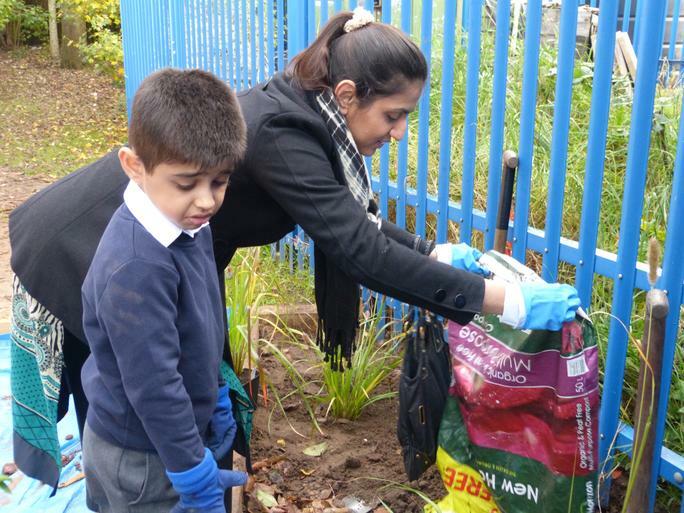 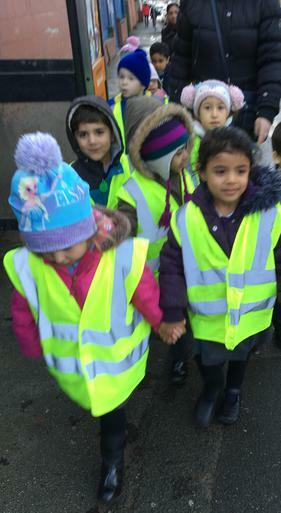 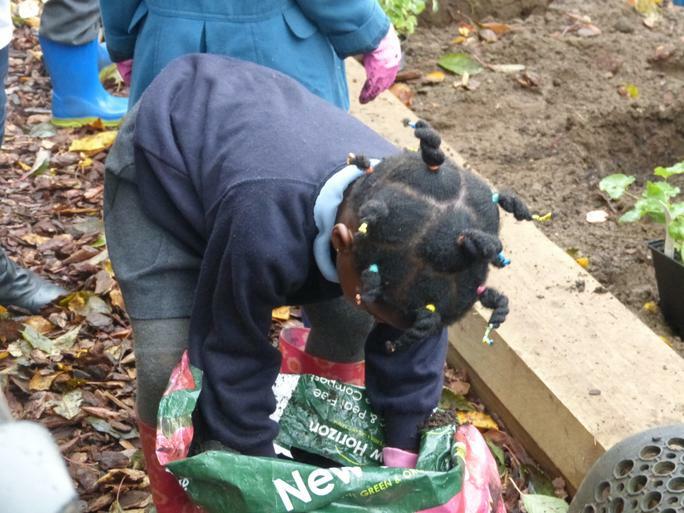 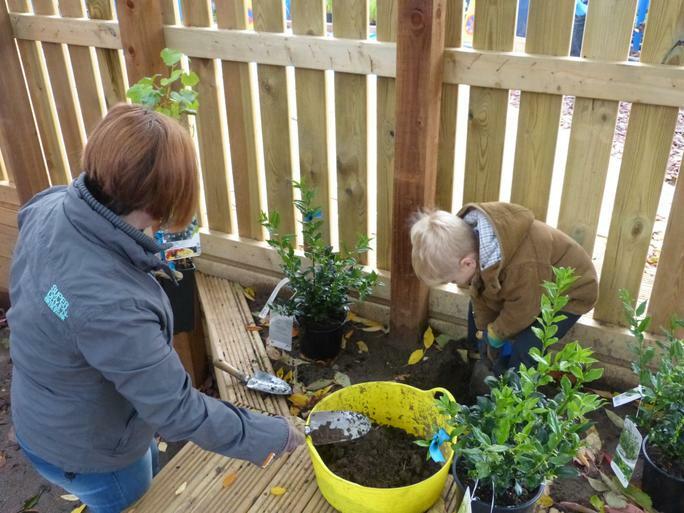 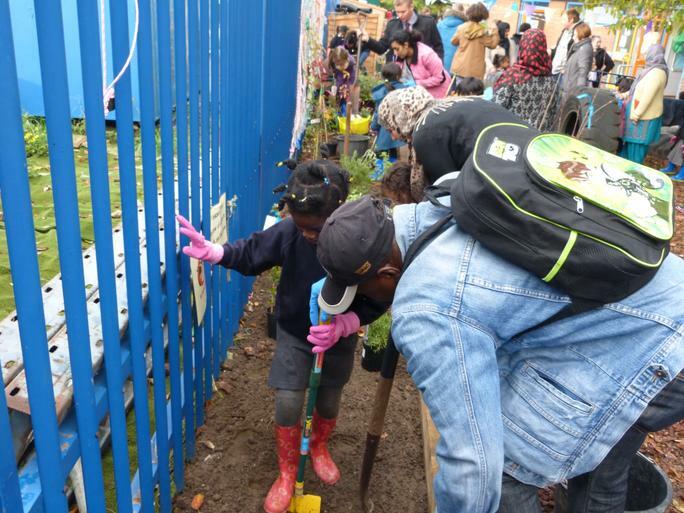 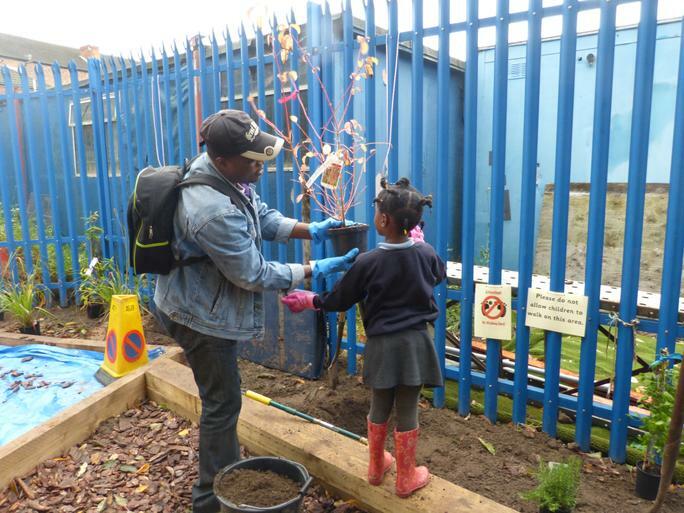 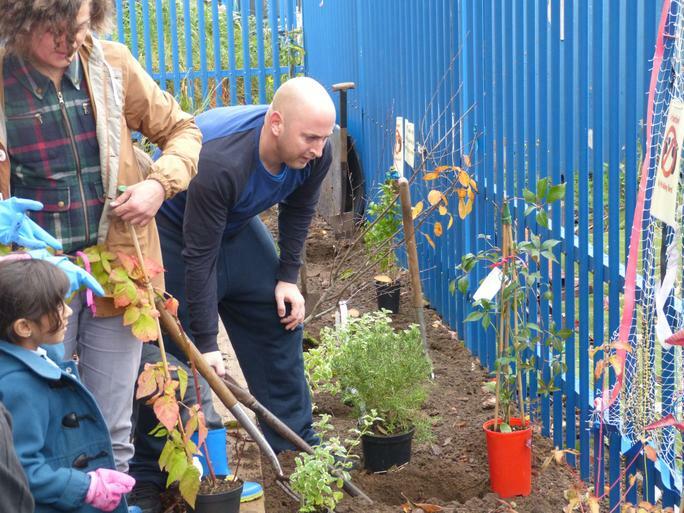 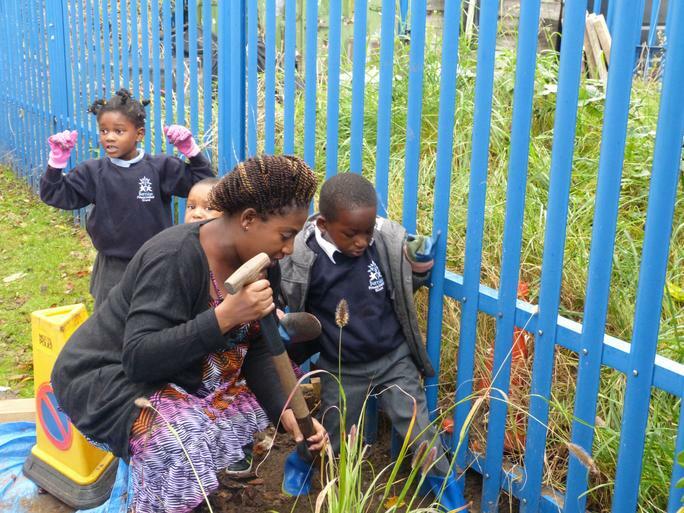 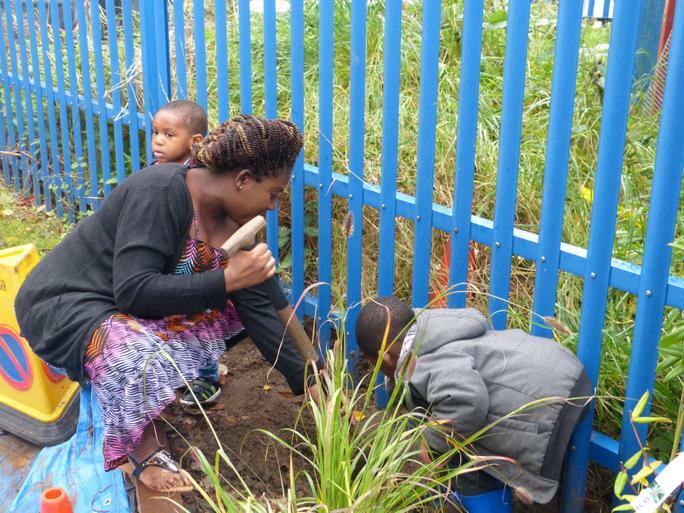 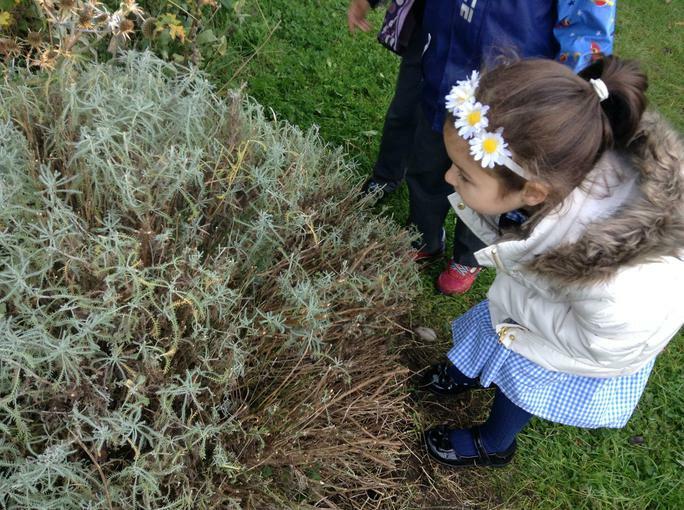 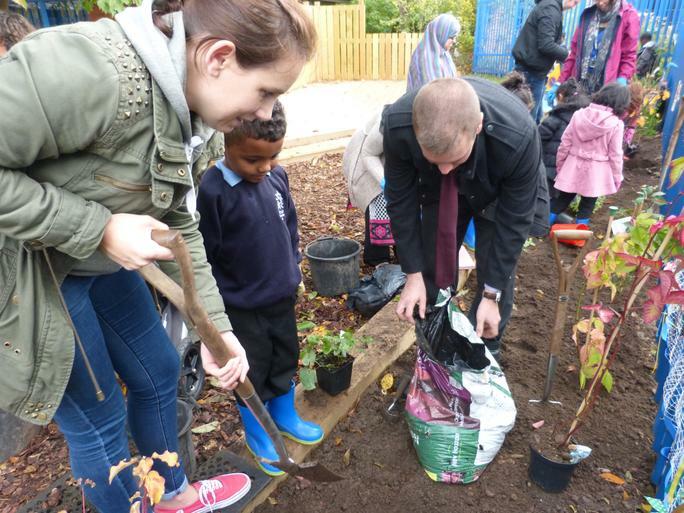 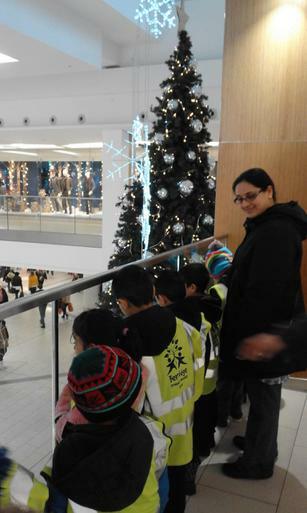 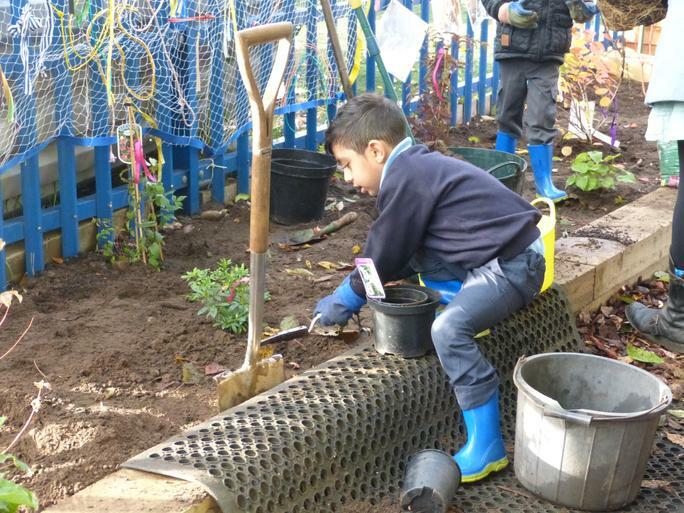 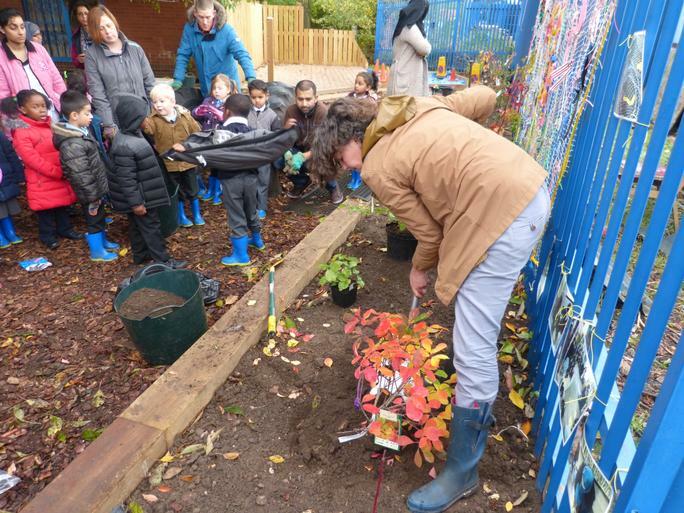 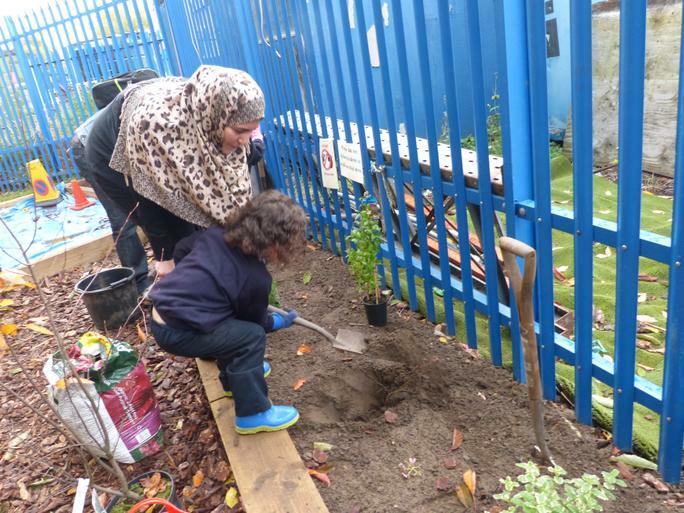 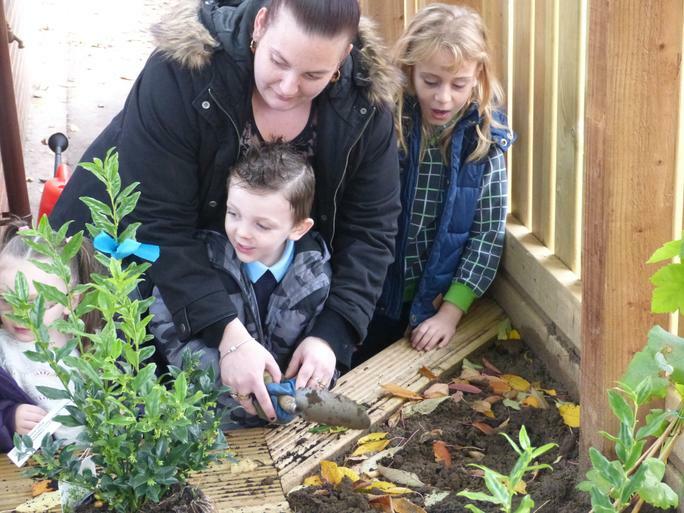 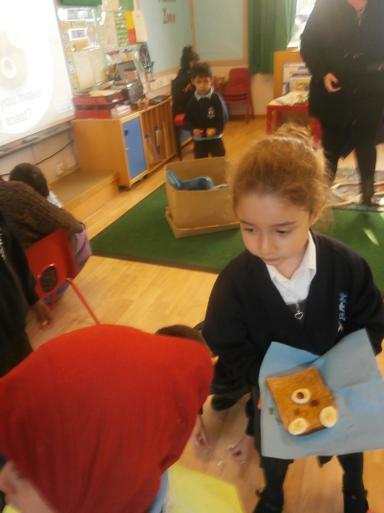 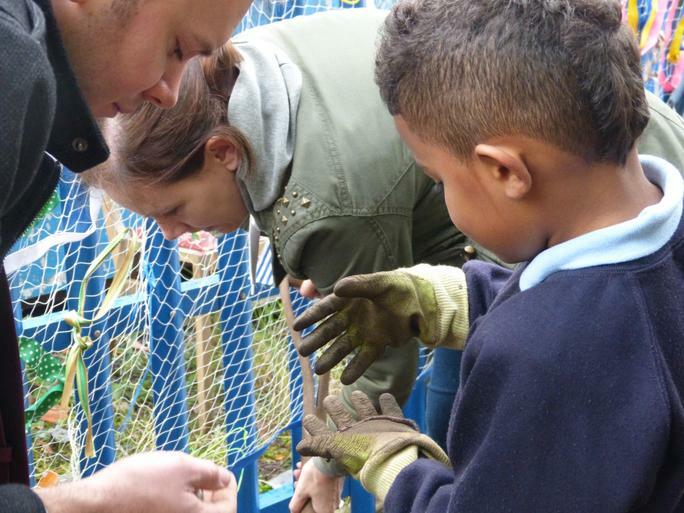 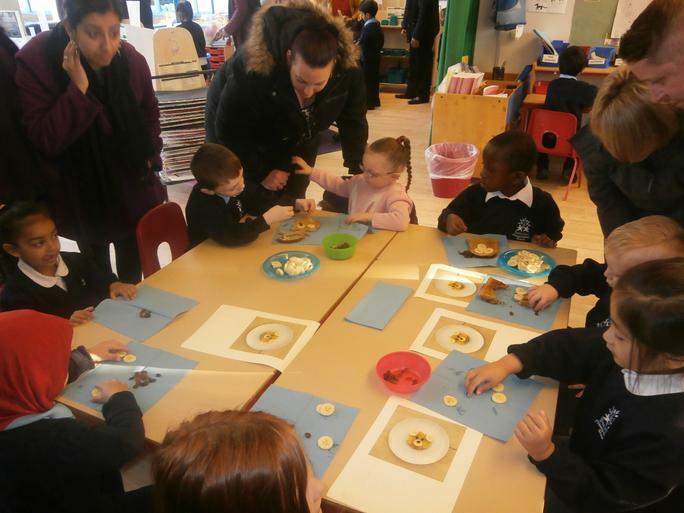 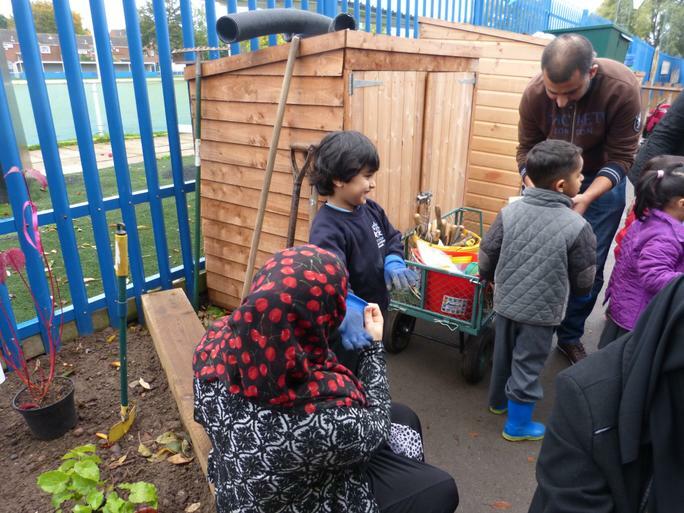 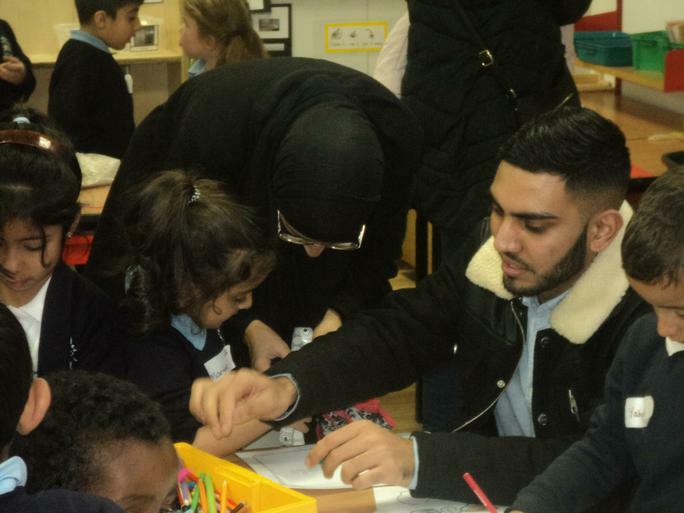 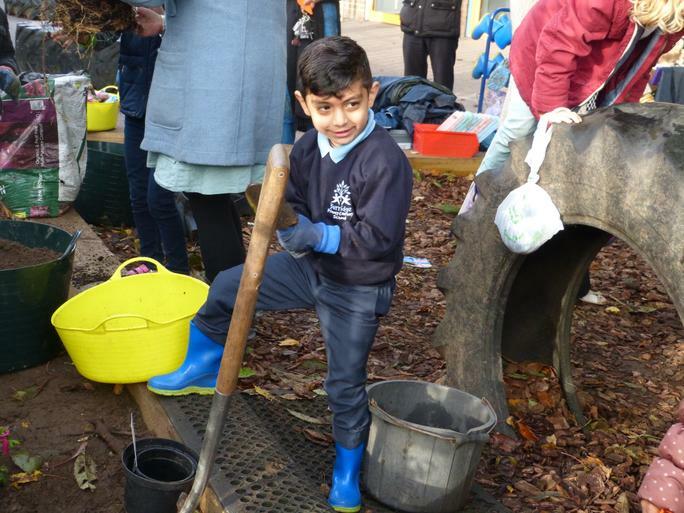 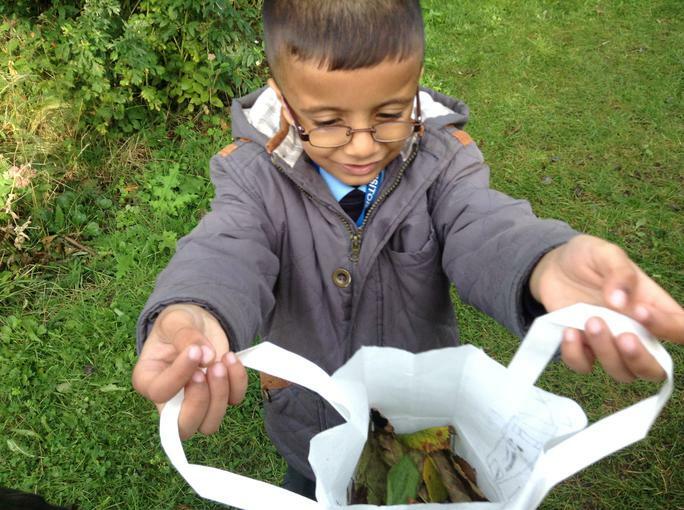 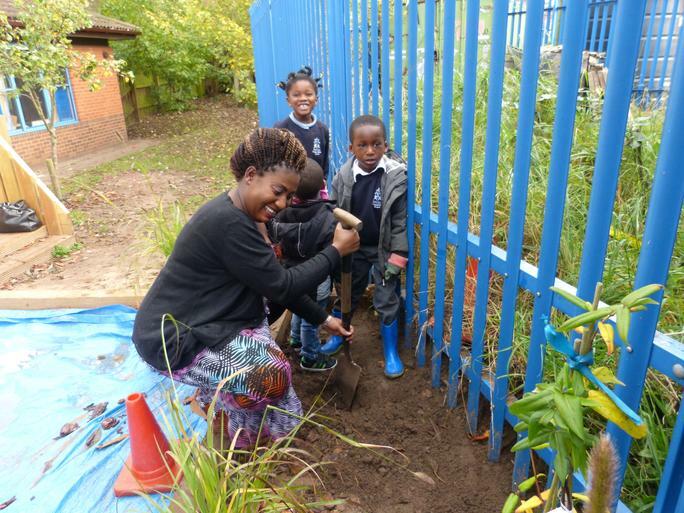 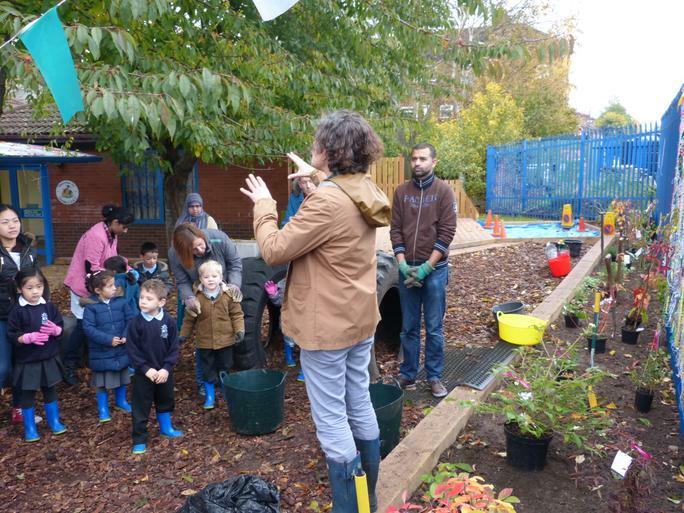 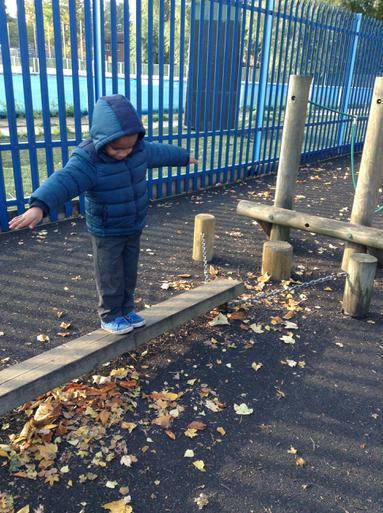 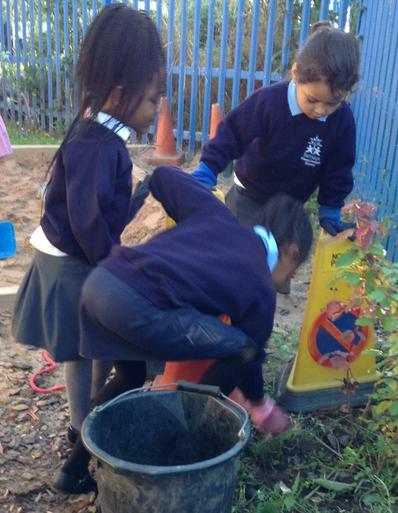 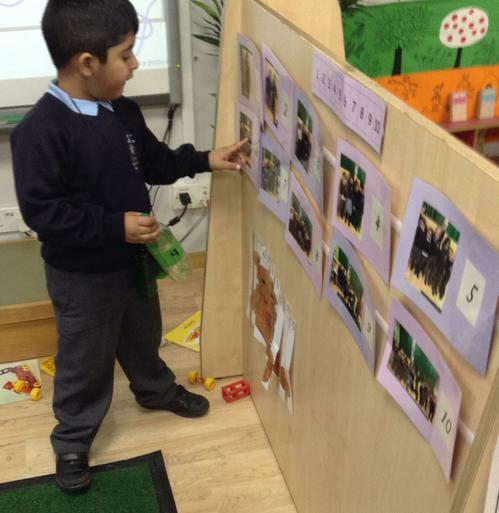 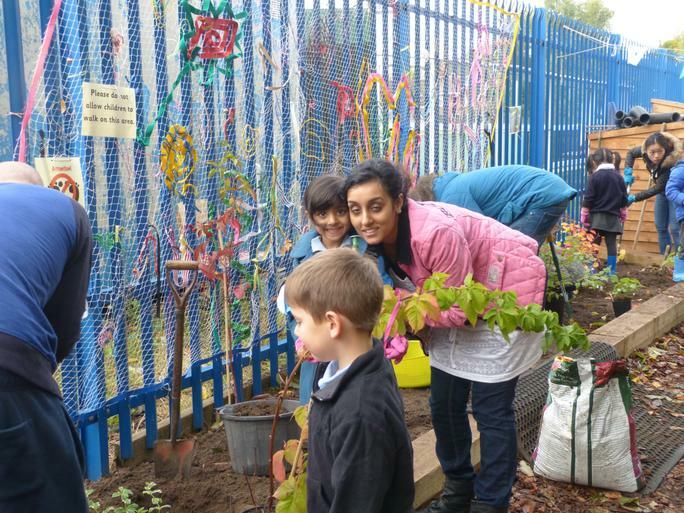 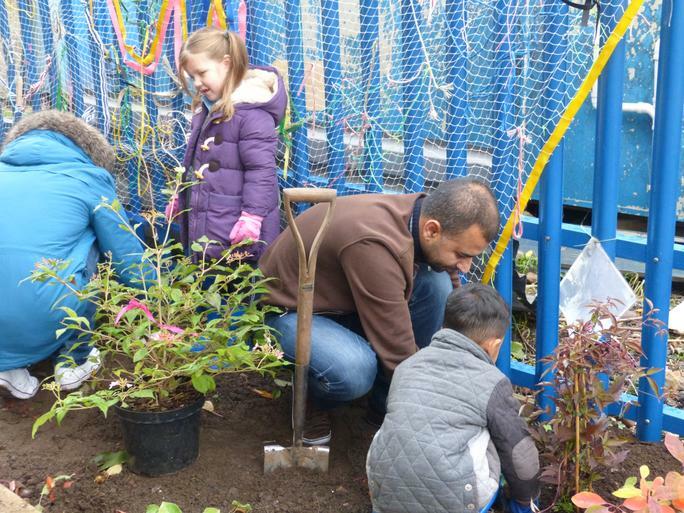 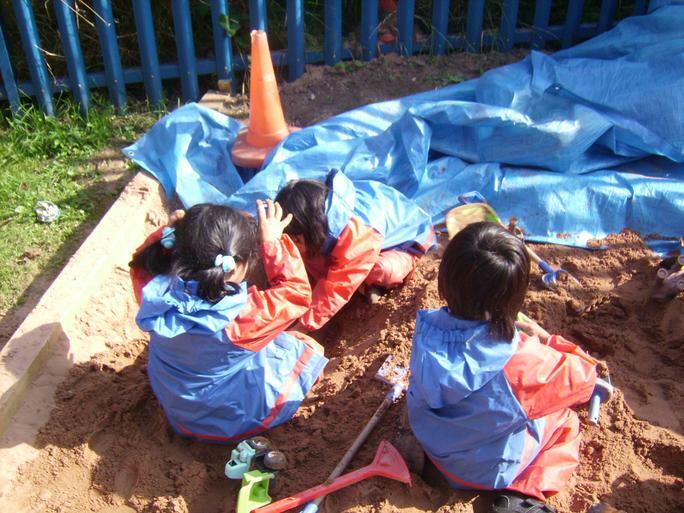 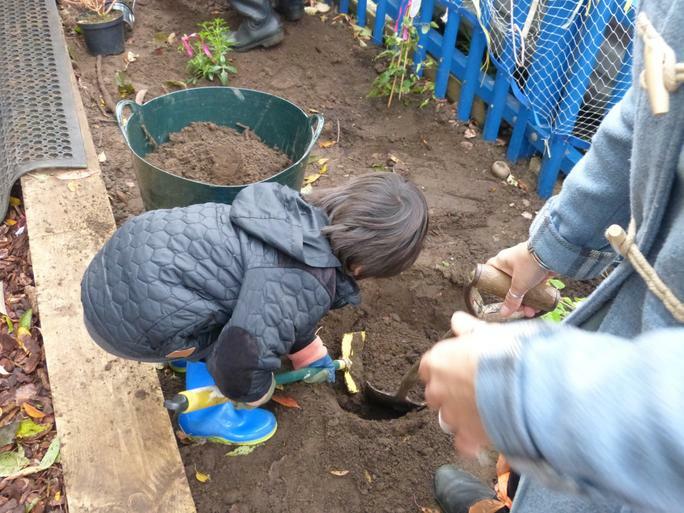 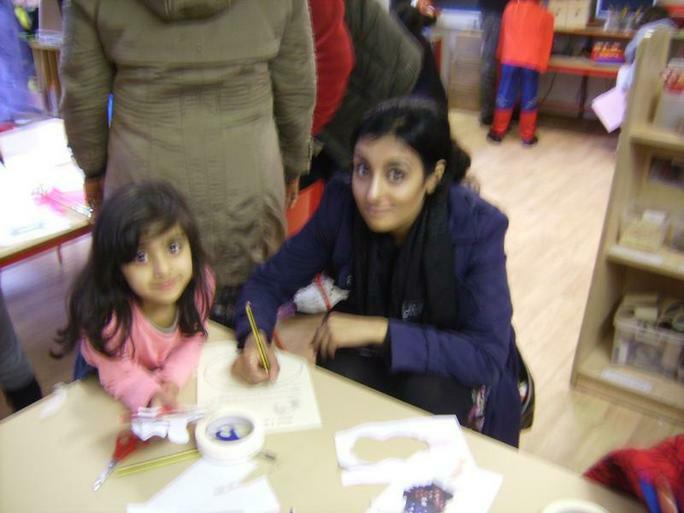 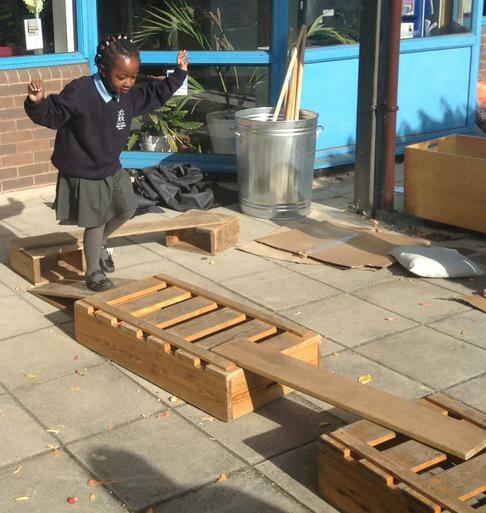 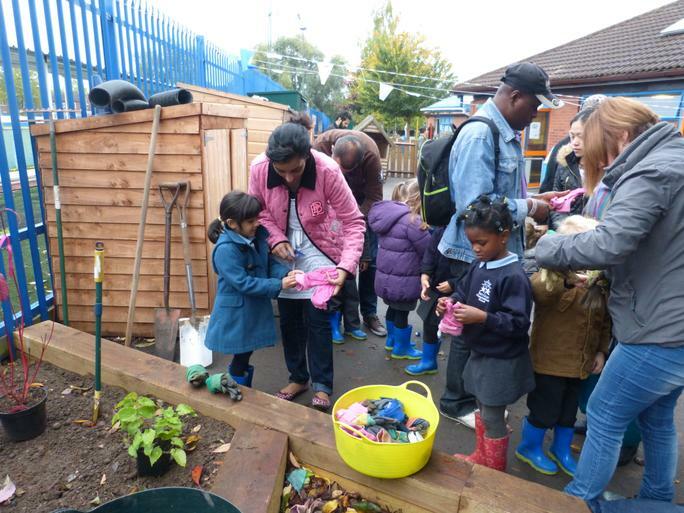 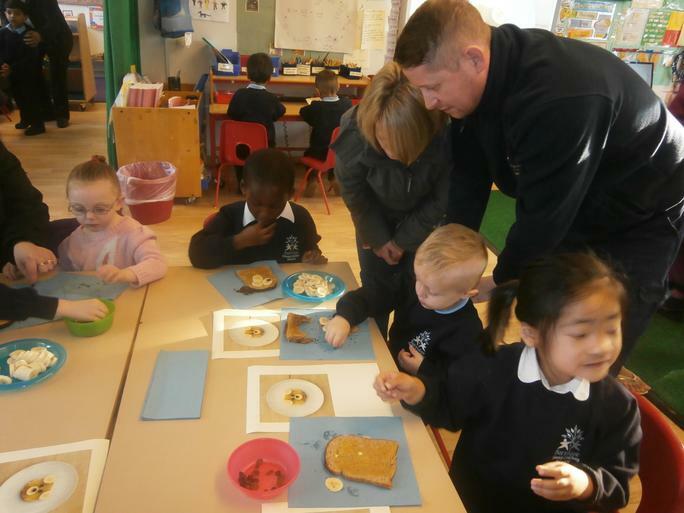 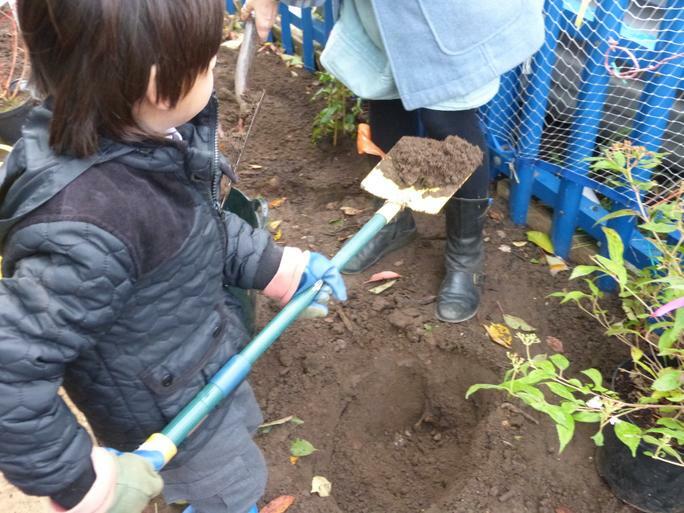 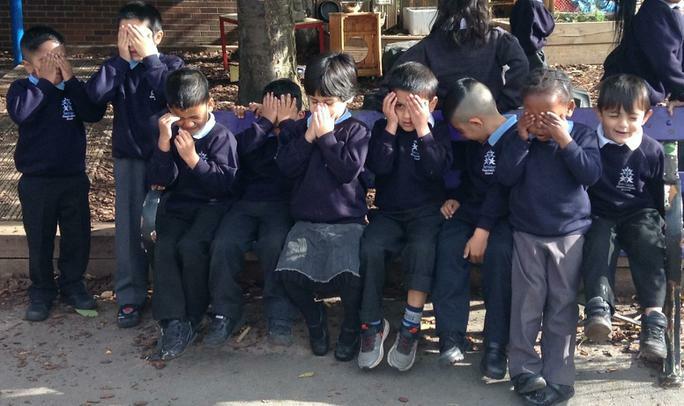 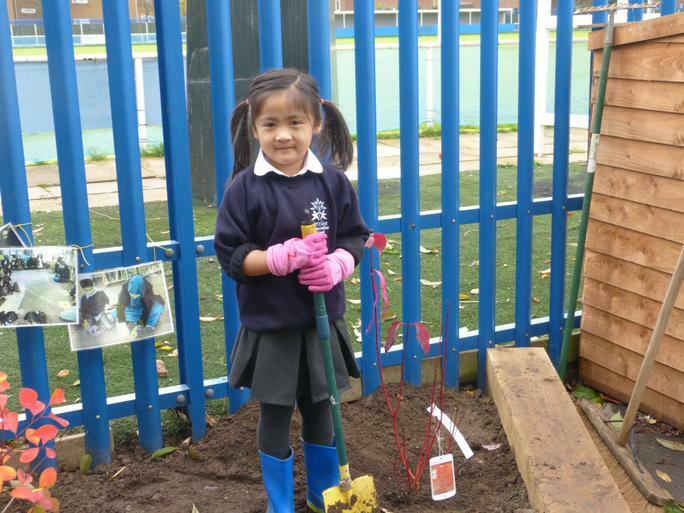 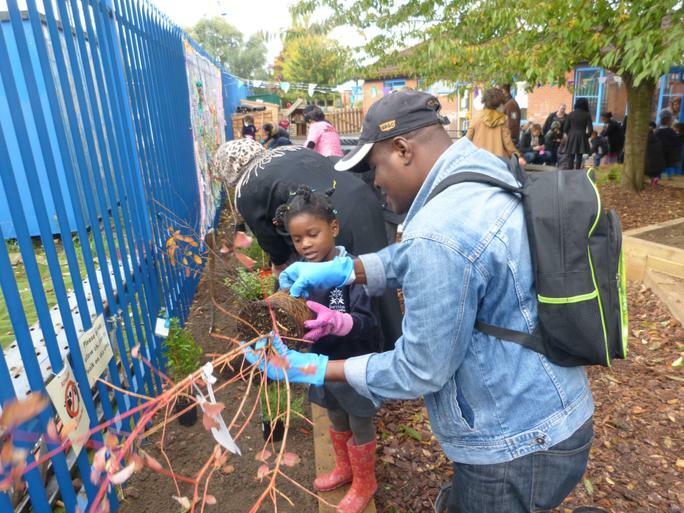 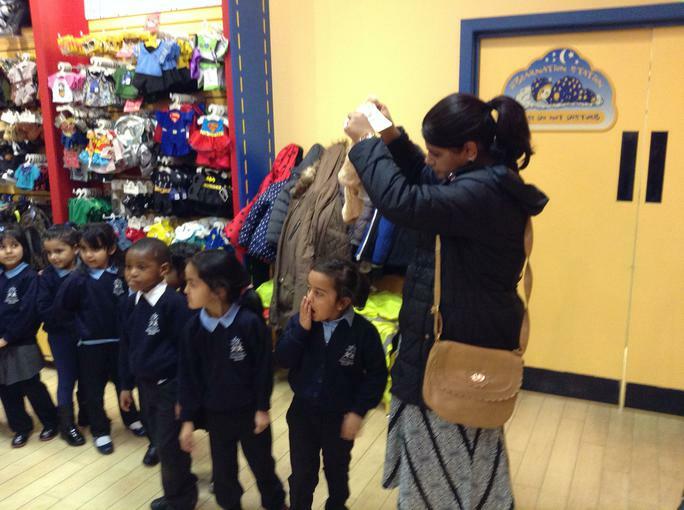 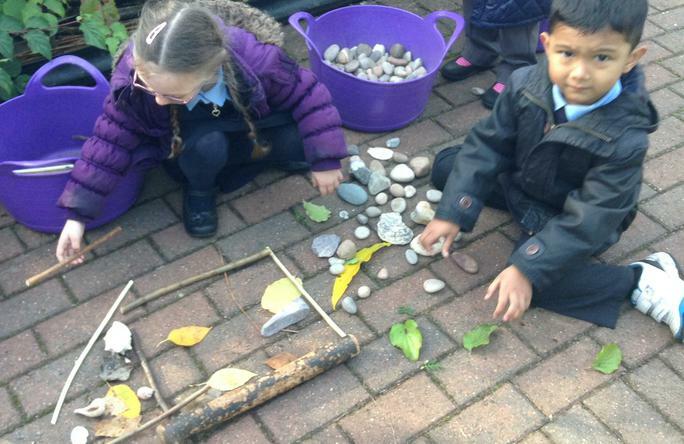 This was a great opportunity for them to see how their children learn and to be involved in the different activities the children experience. 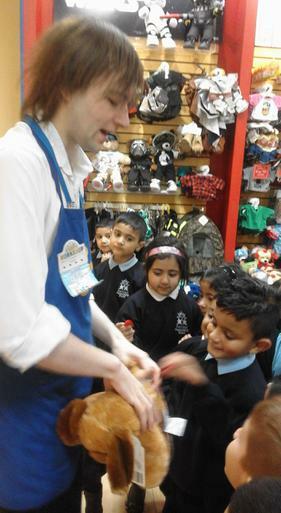 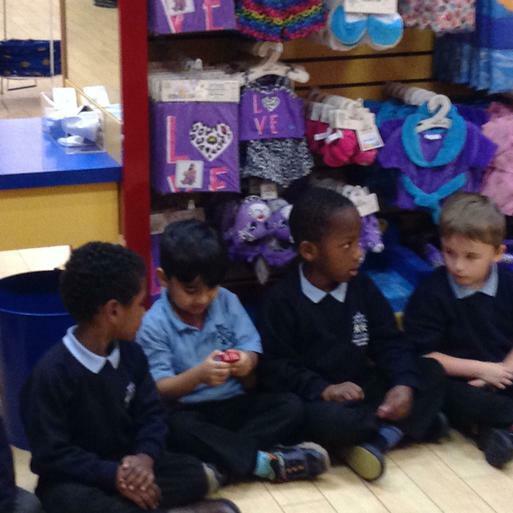 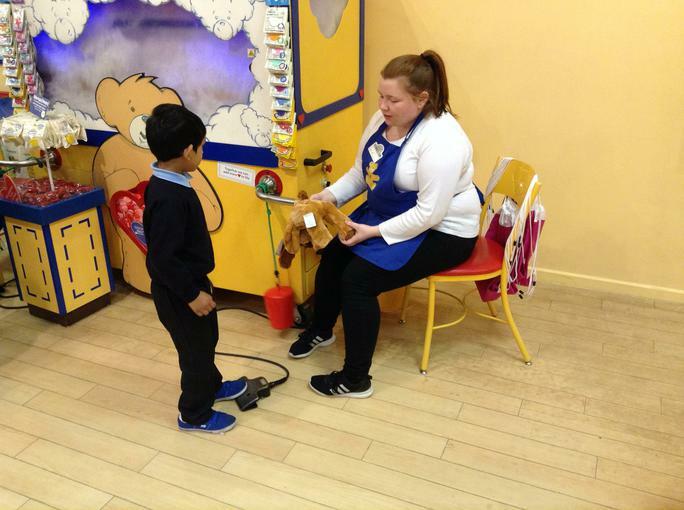 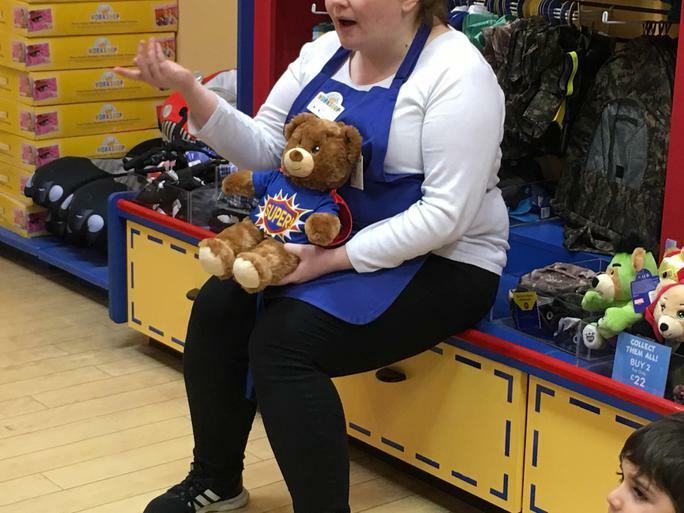 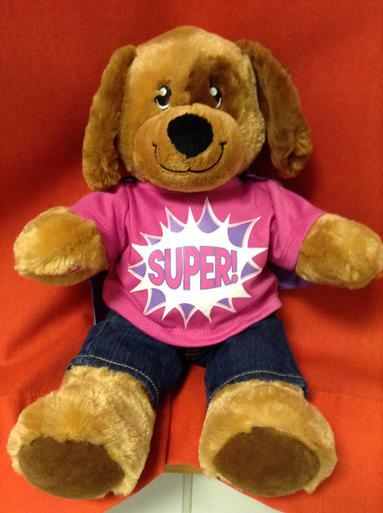 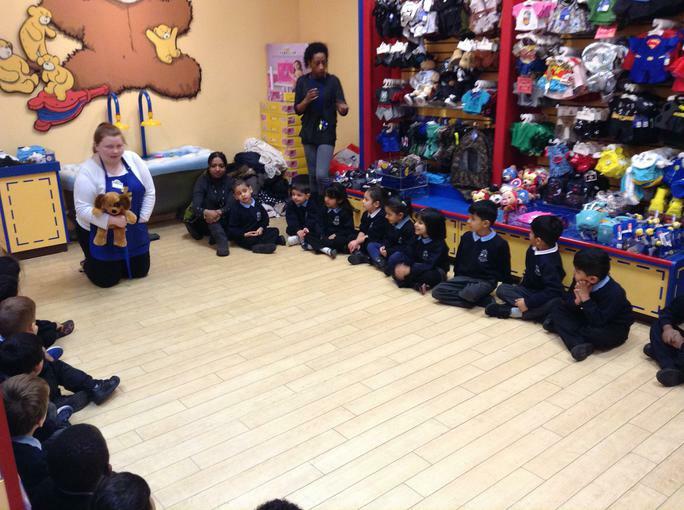 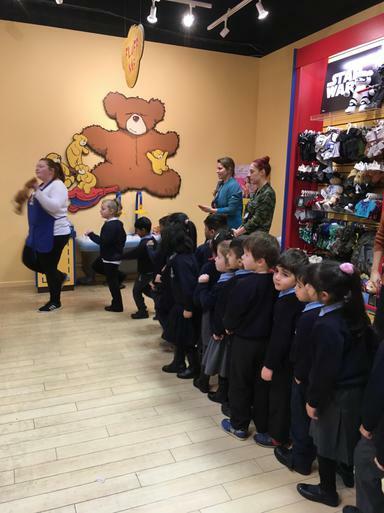 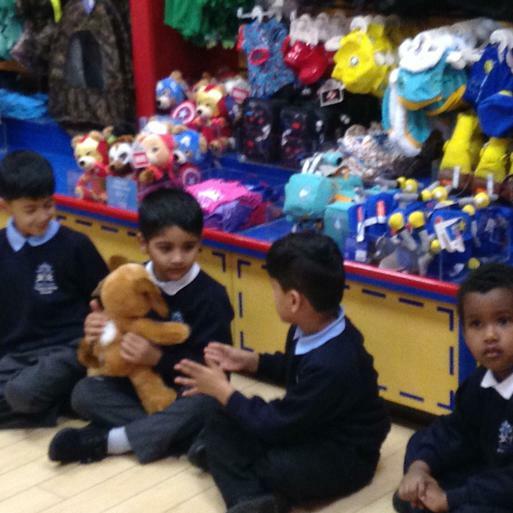 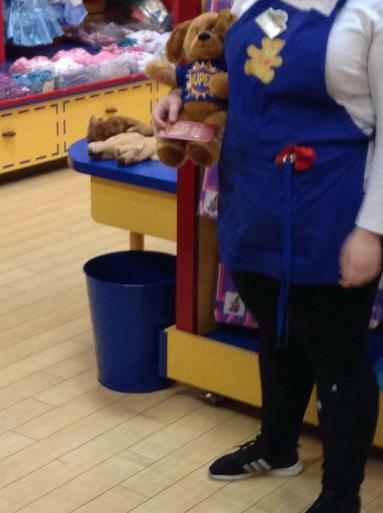 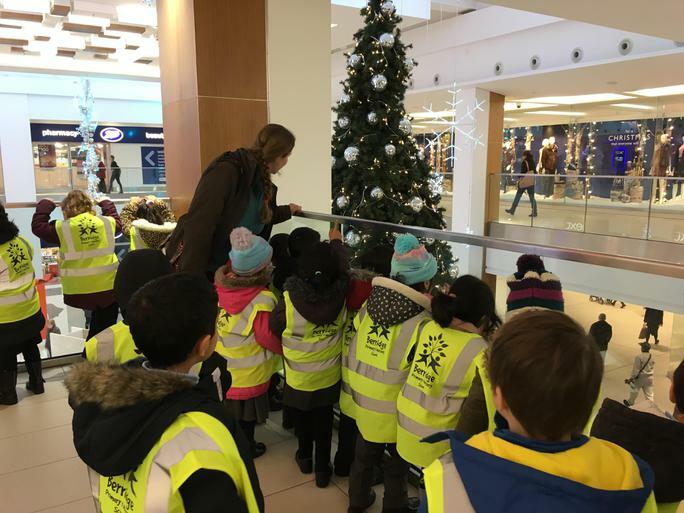 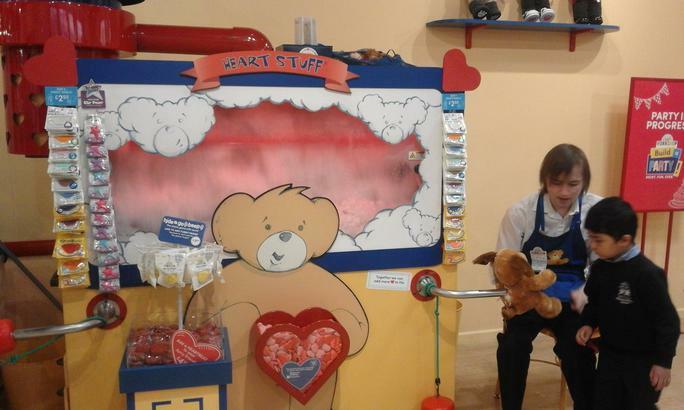 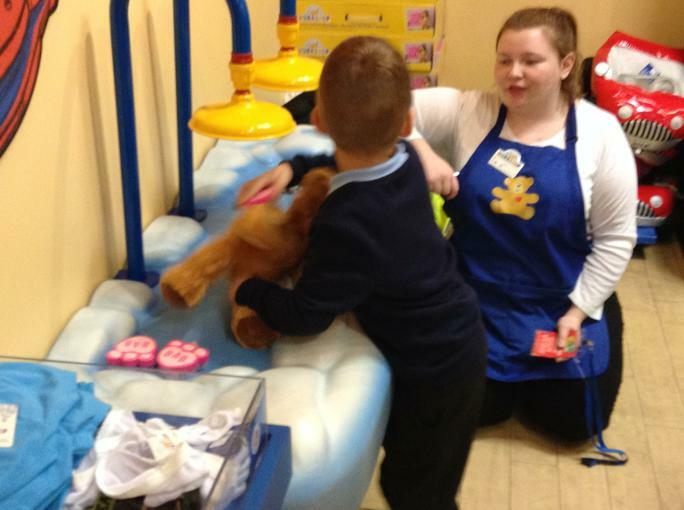 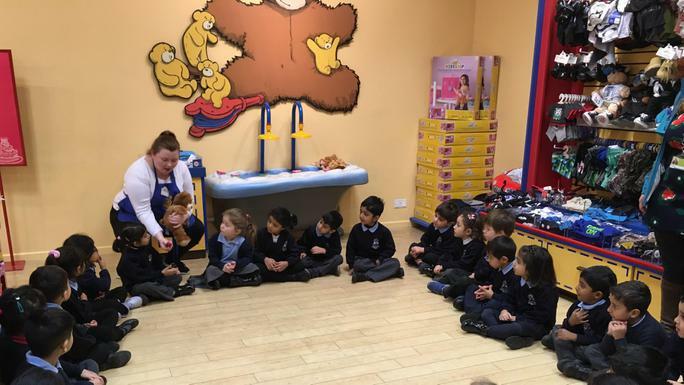 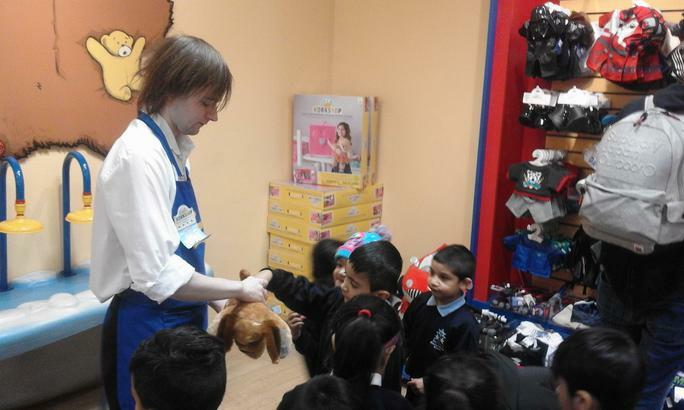 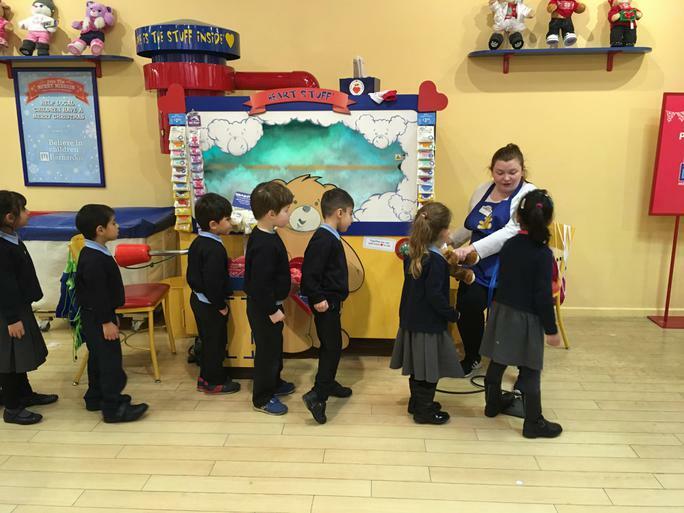 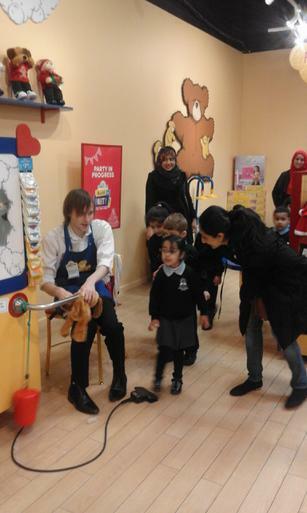 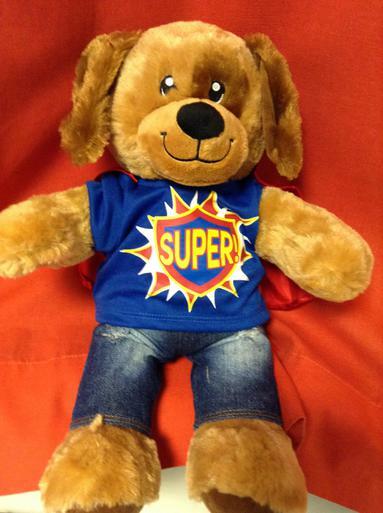 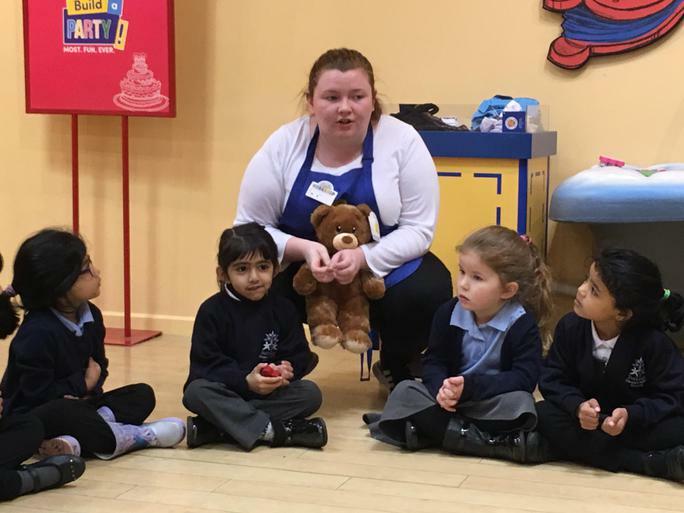 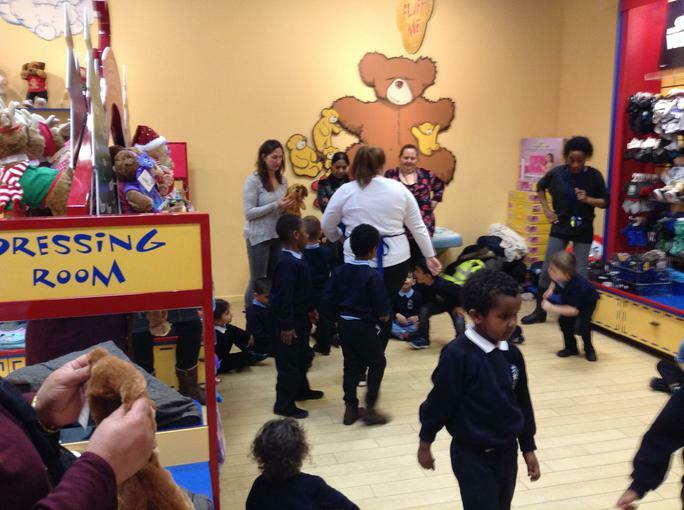 All the children had a fantastic time at Build a Bear Workshop, they were very well behaved and a credit to Berridge Primary and Nursery School. 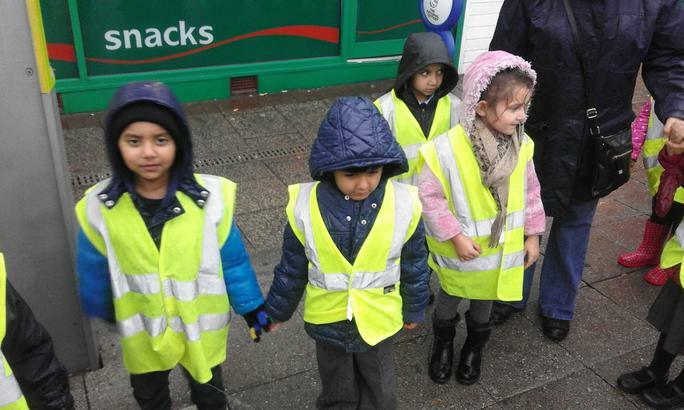 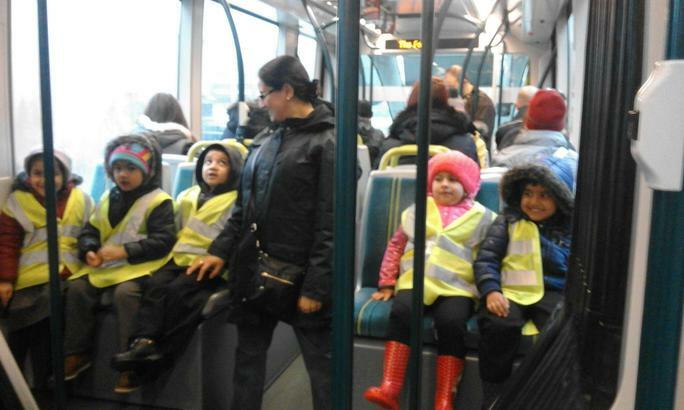 They were all very sensible travelling on the tram and walking through town. 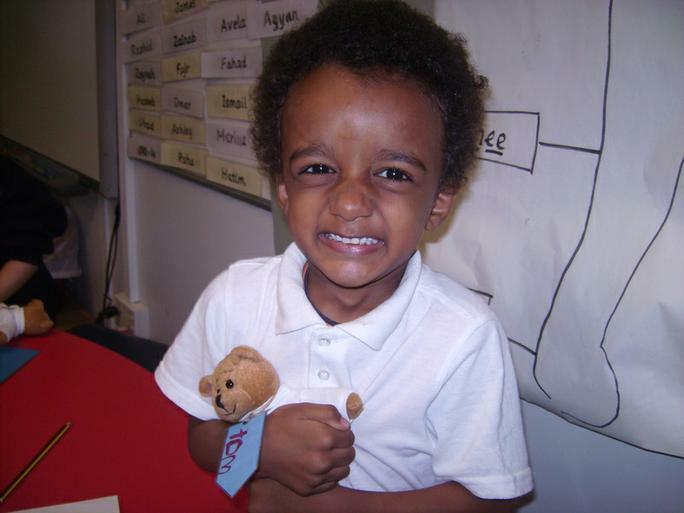 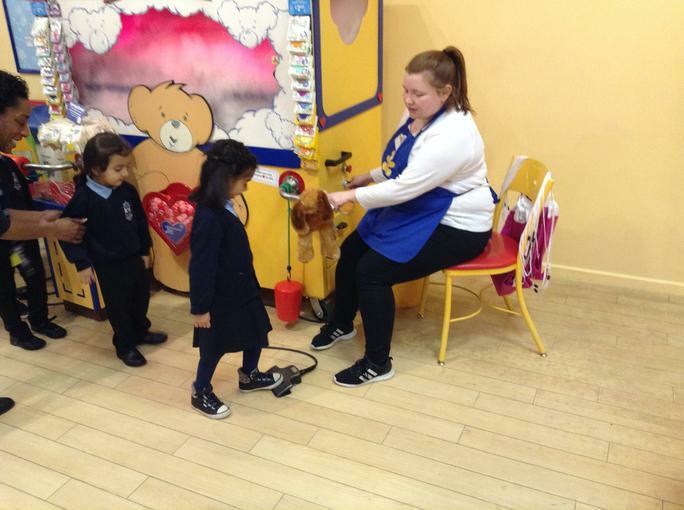 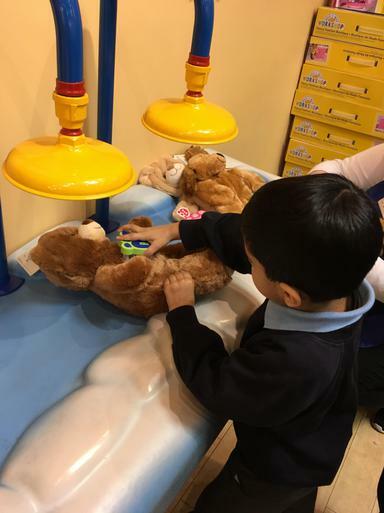 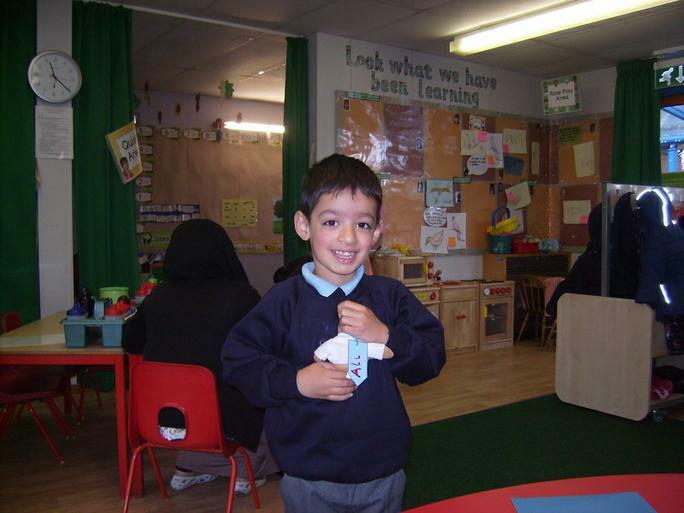 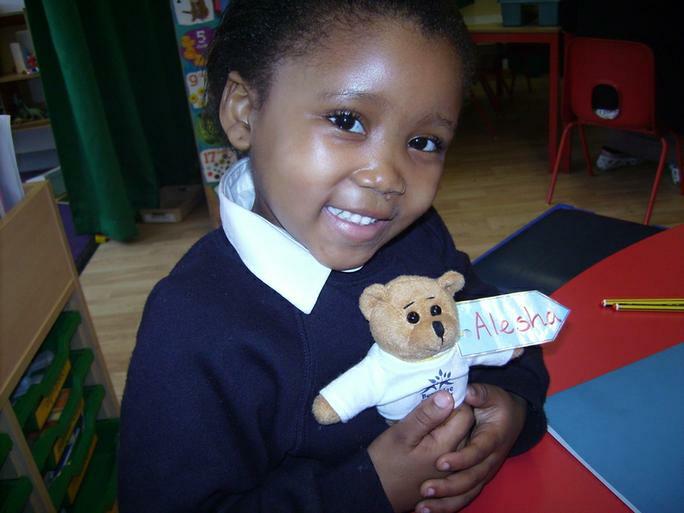 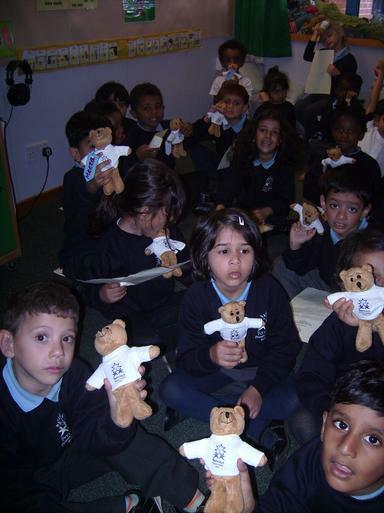 The children chose their class bear, had a go at stuffing the bear, made a wish with the heart before it was sewn into the bear, brushed the bear’s fur and then chose a T-shirt for their class bear. 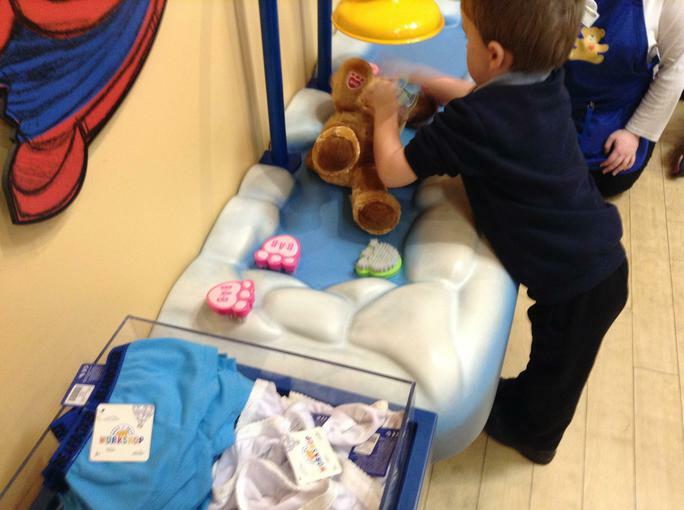 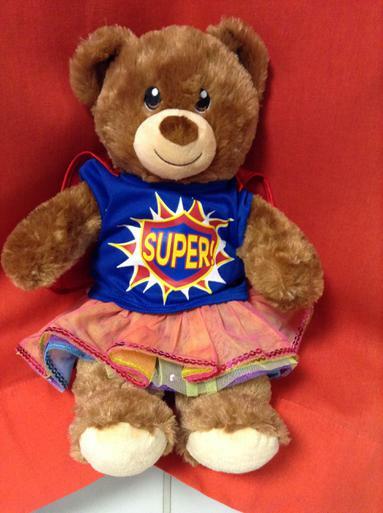 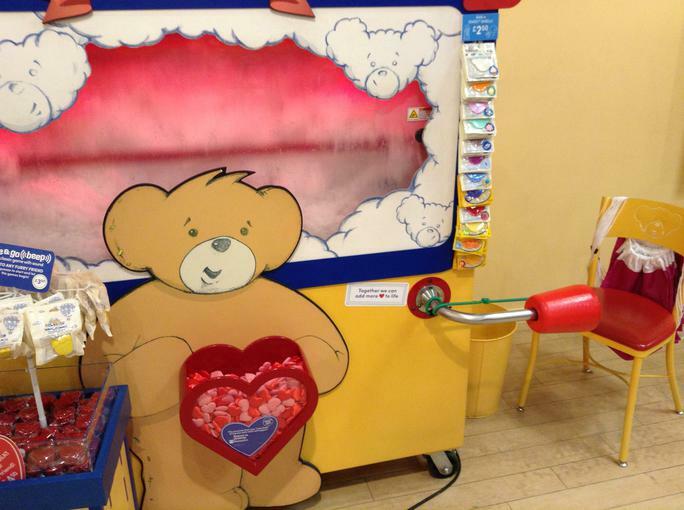 Pyjamas, long trousers and shorts or a skirt were bought for each bear. 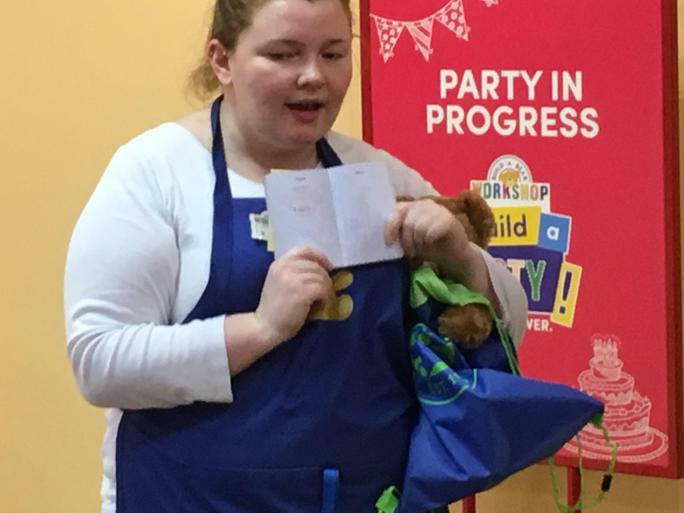 Also each bear came with a birth certificate, passport and carrying bag. 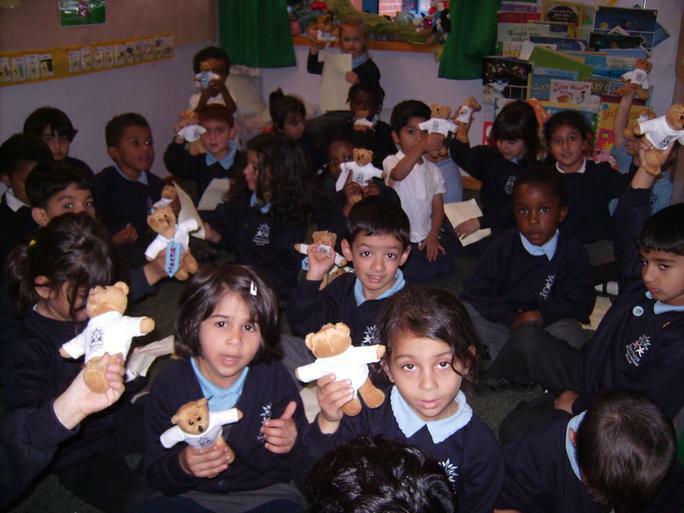 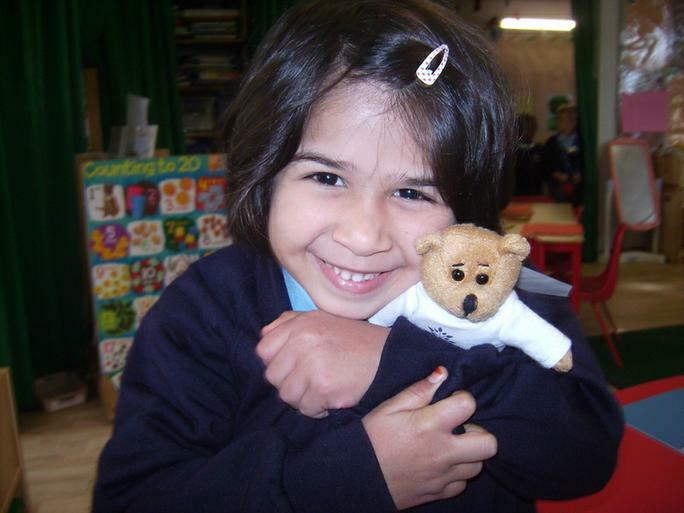 The class bear will be going home with each child to have new adventures. 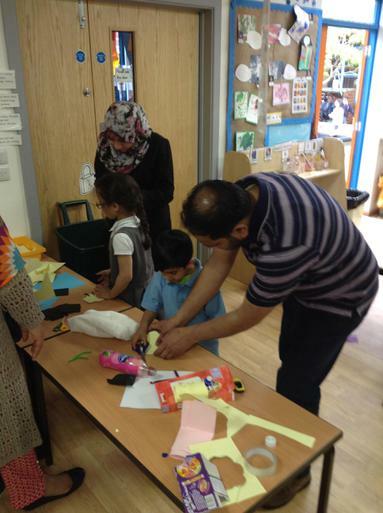 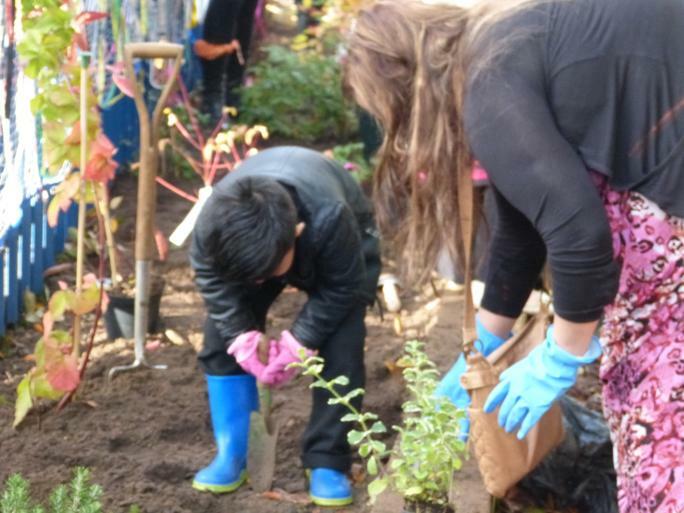 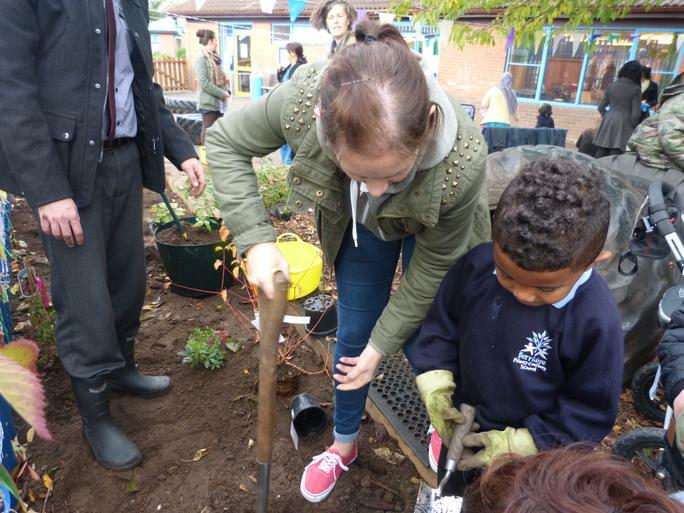 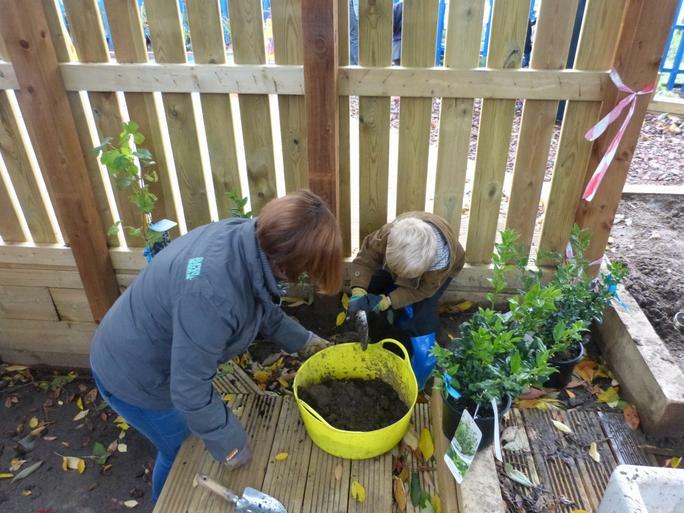 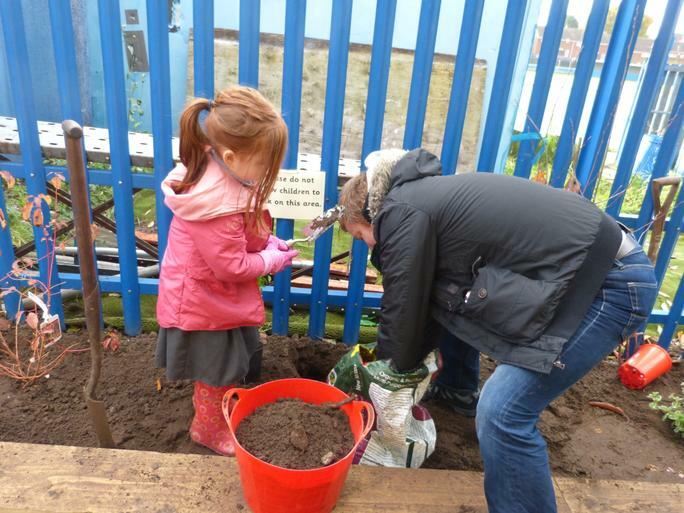 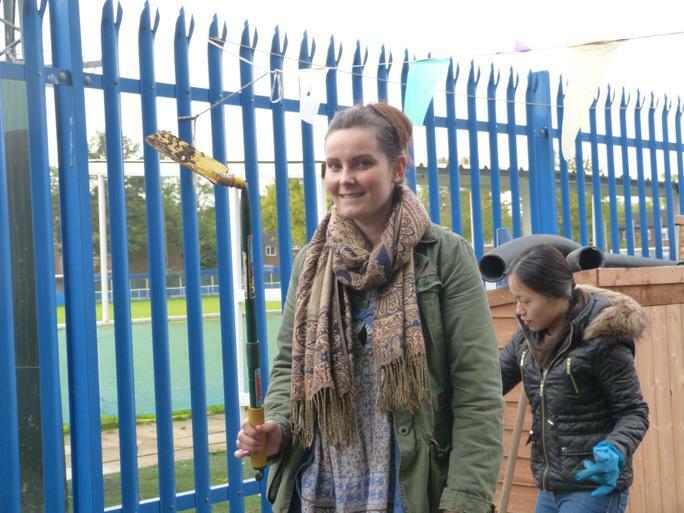 Thank you to all the parents that came with us, you were all very helpful! 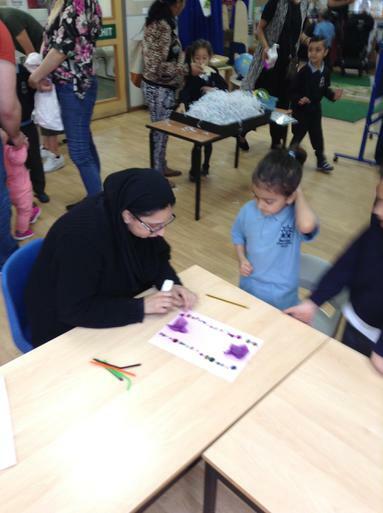 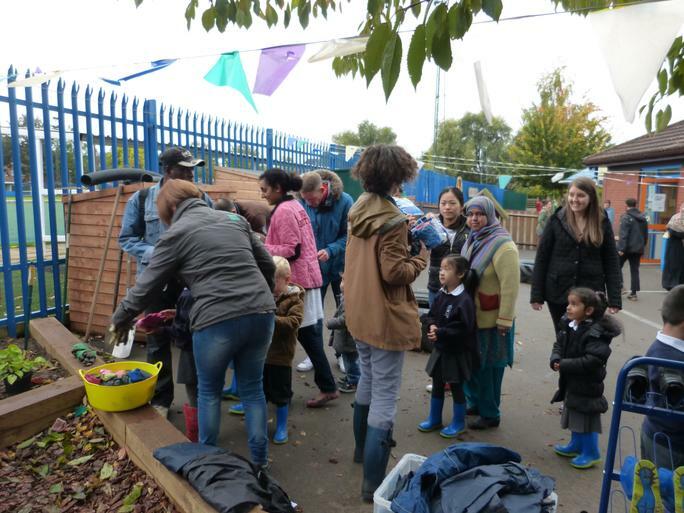 Thank you to all the parents who joined us at 'Stay and Play'. 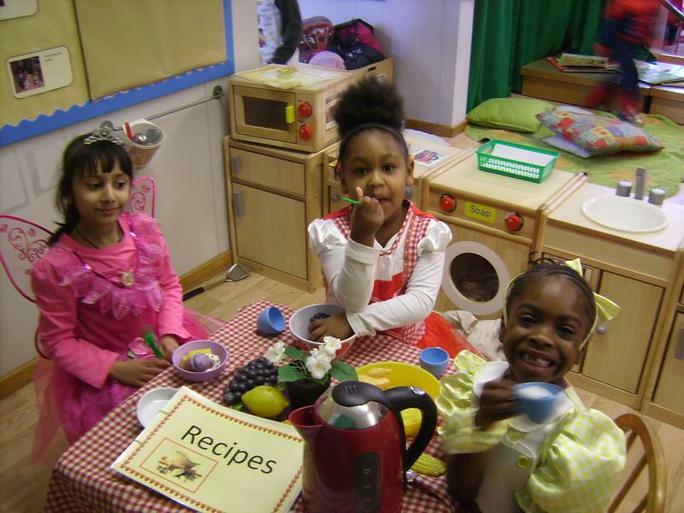 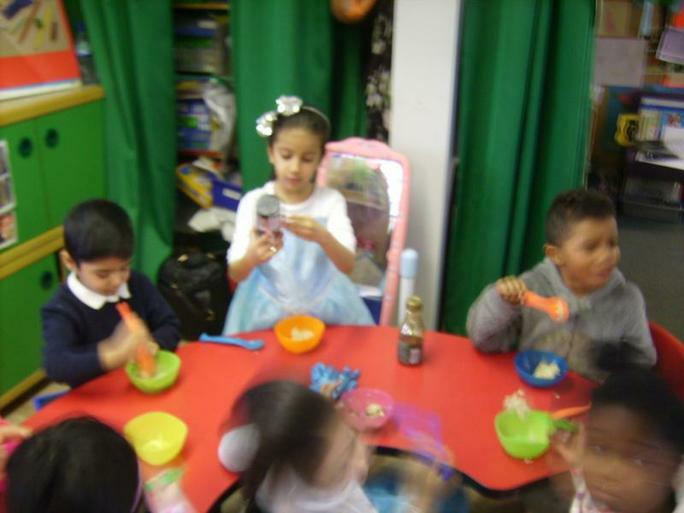 We hope you are enjoying the new book ‘Kitchen Disco’ which the children got to take home. 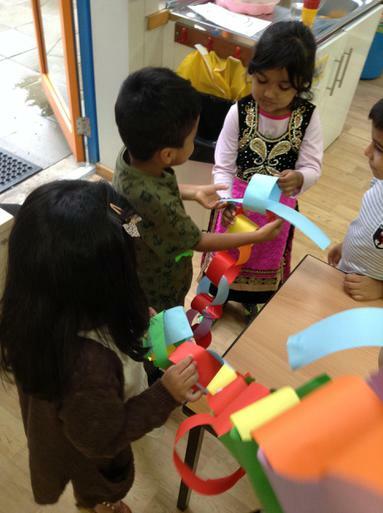 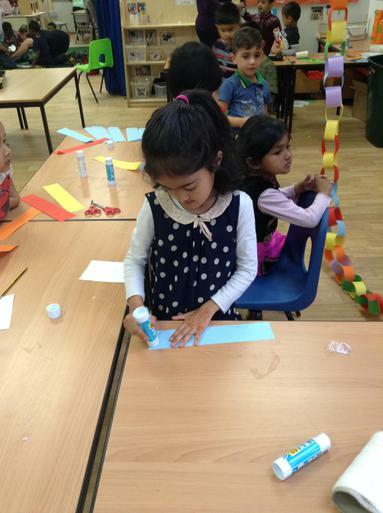 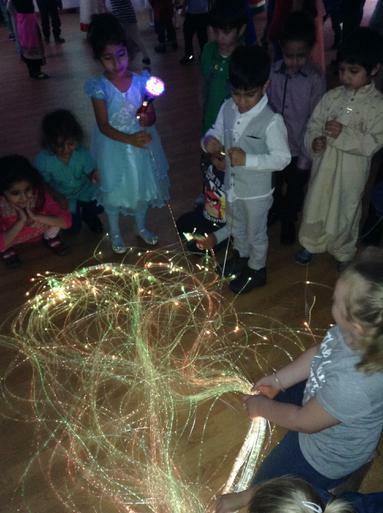 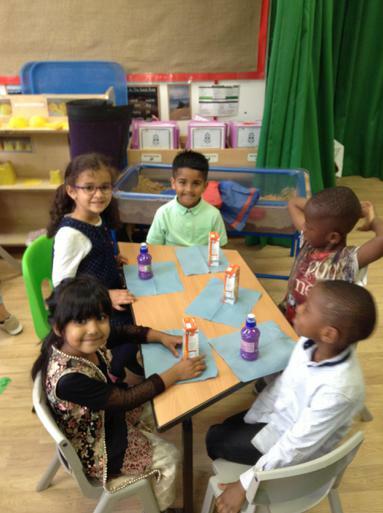 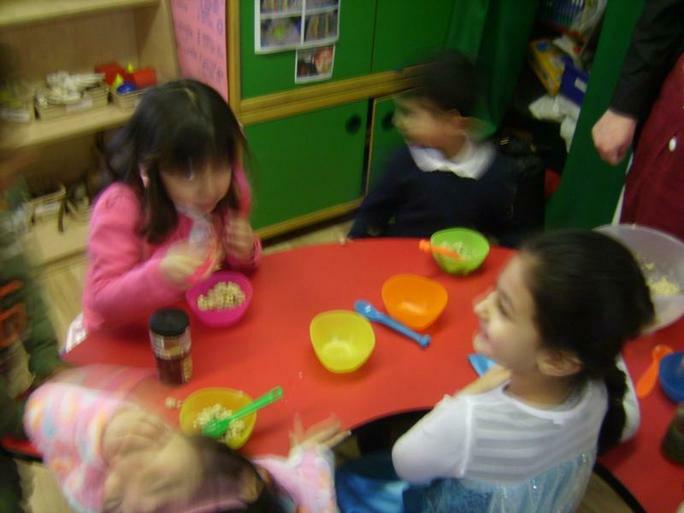 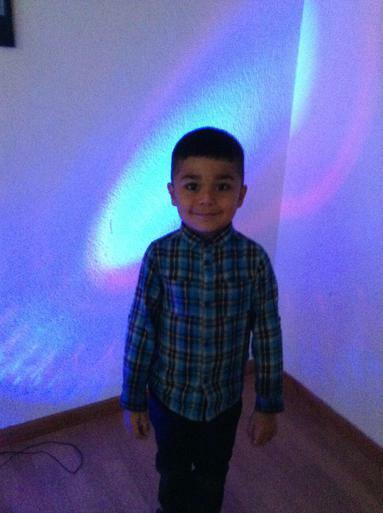 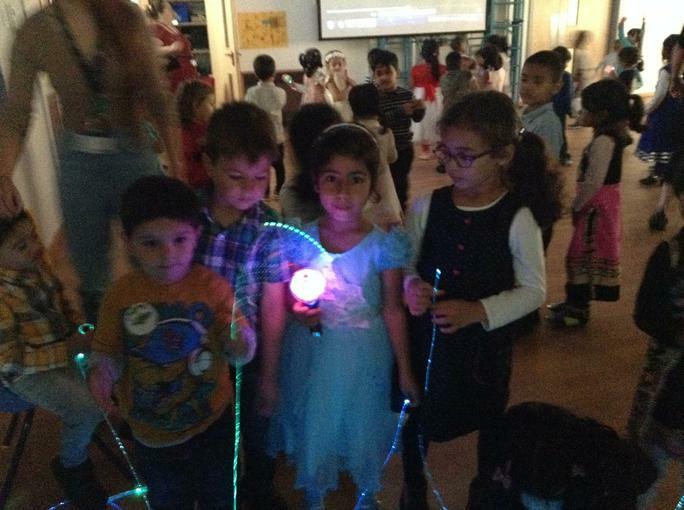 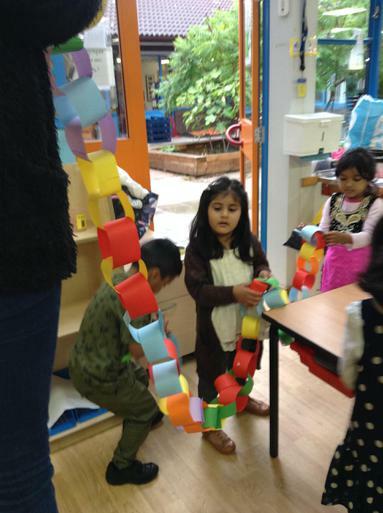 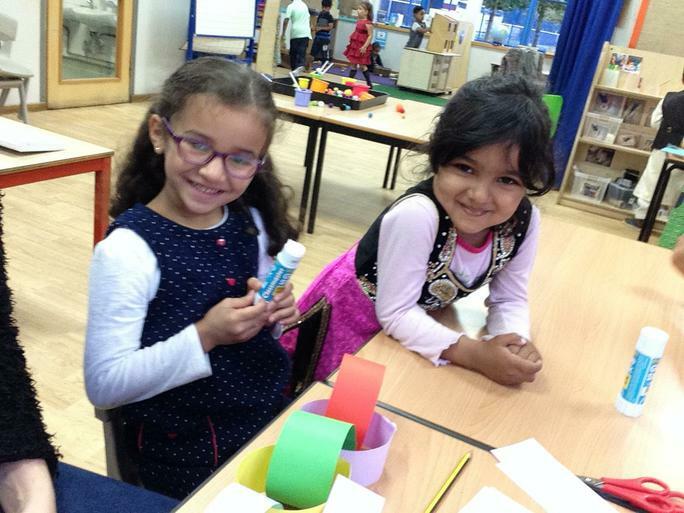 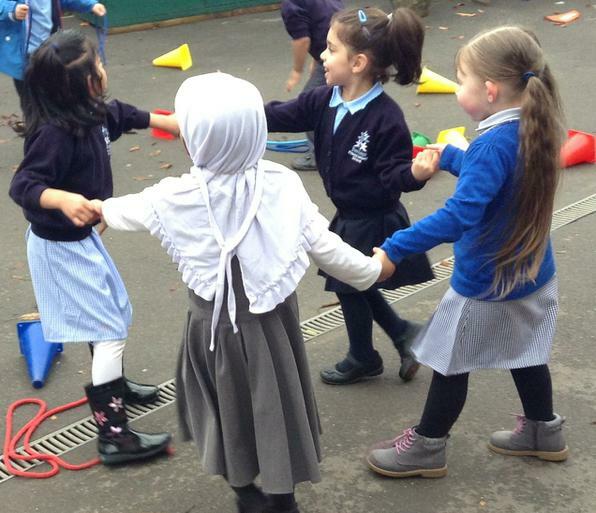 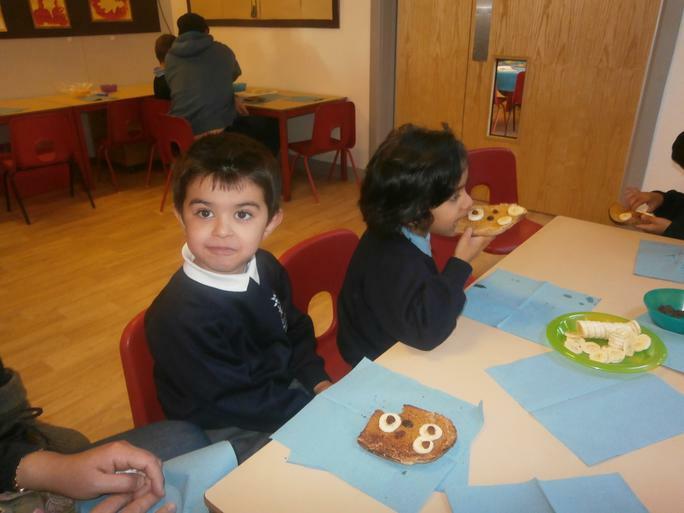 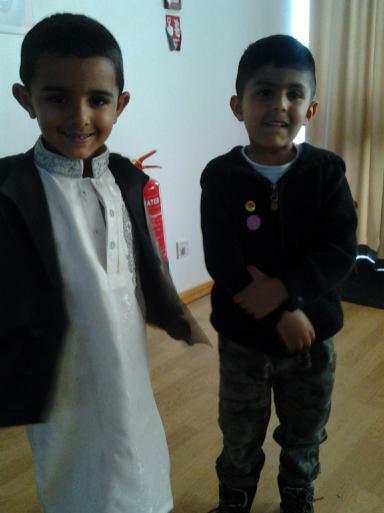 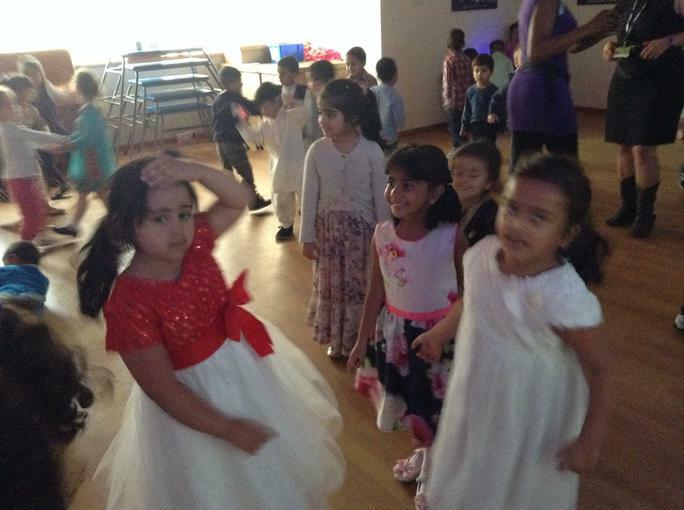 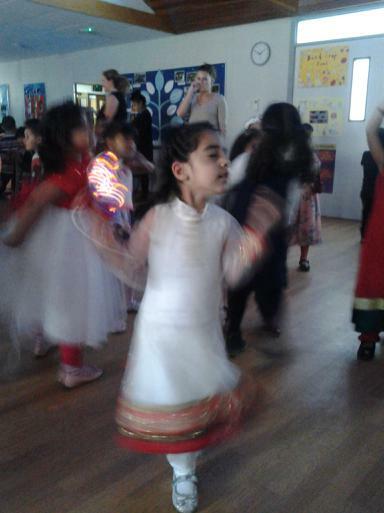 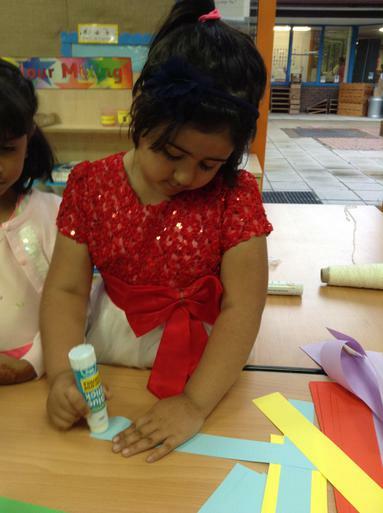 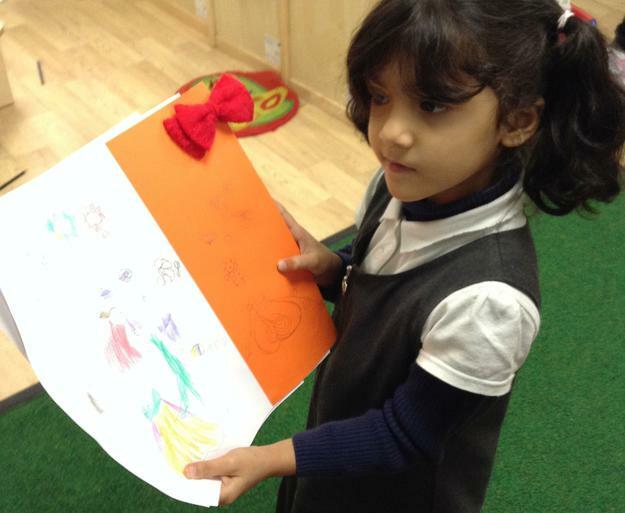 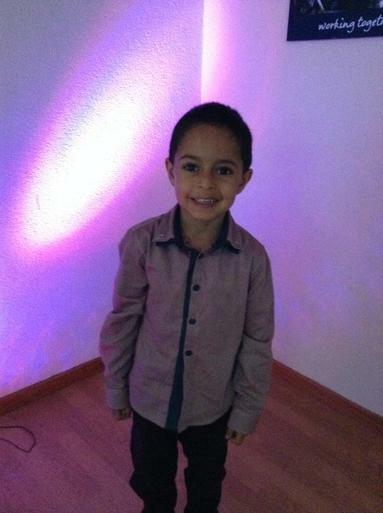 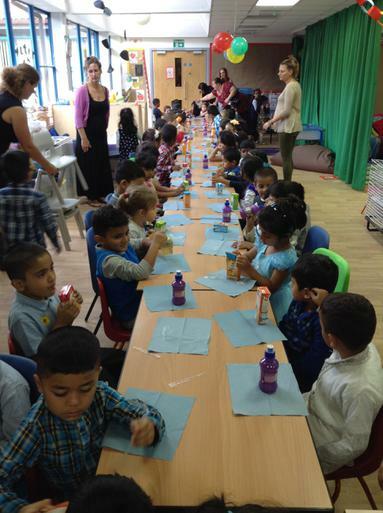 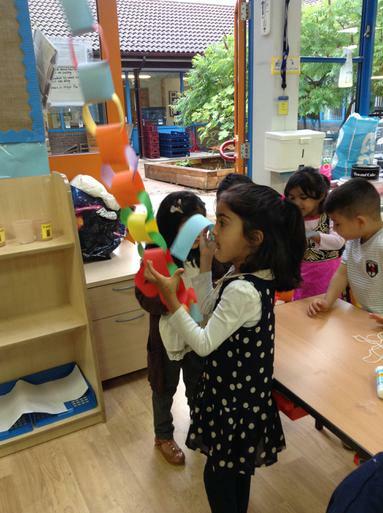 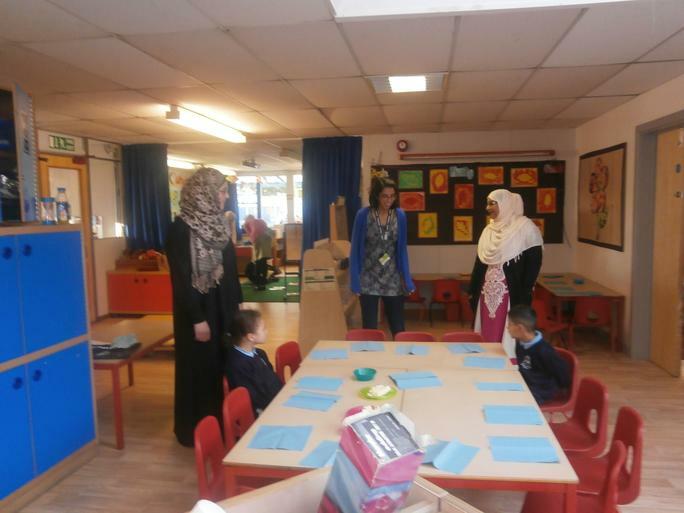 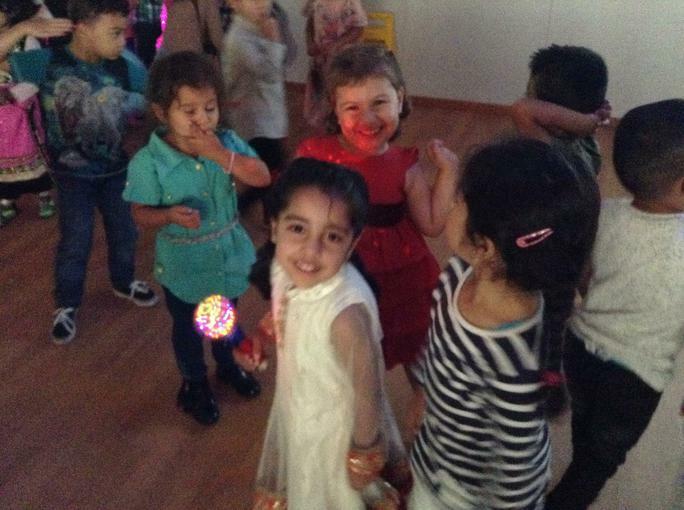 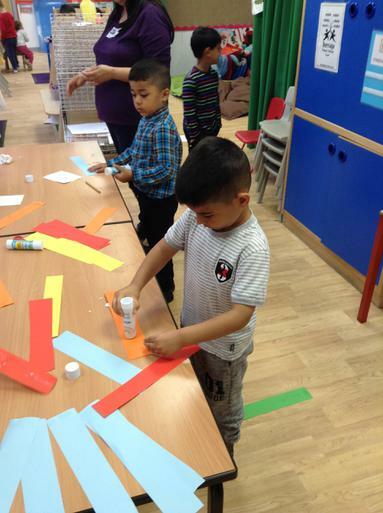 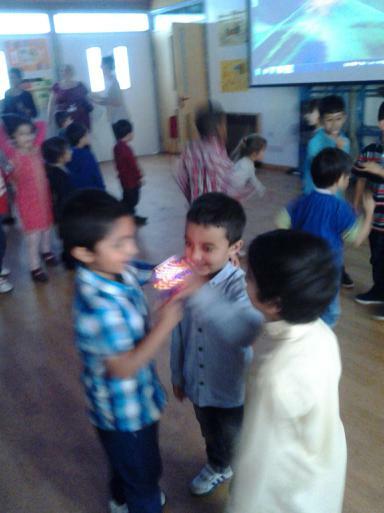 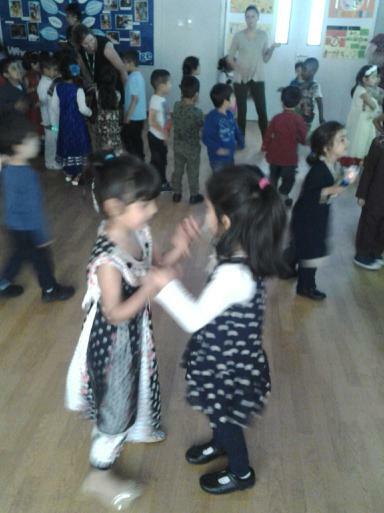 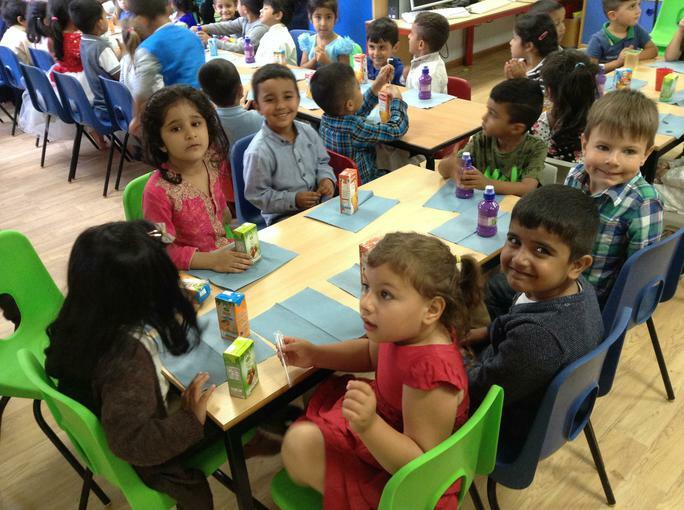 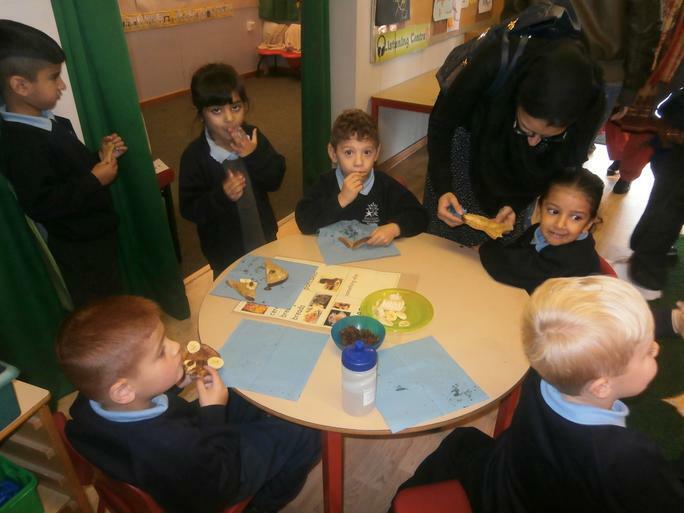 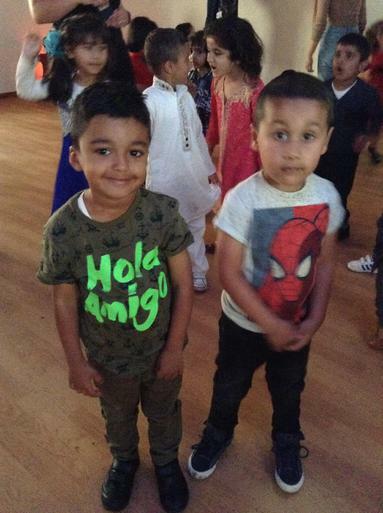 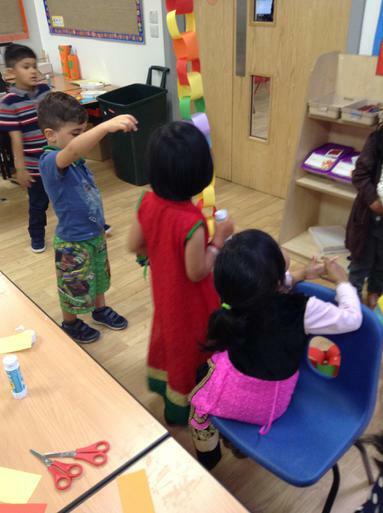 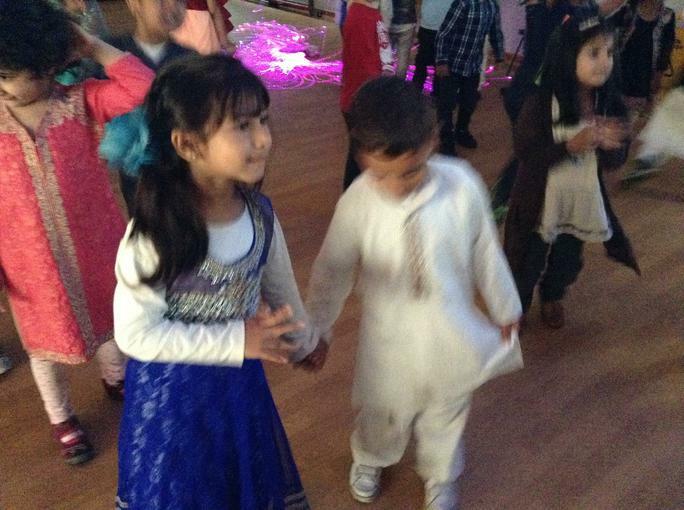 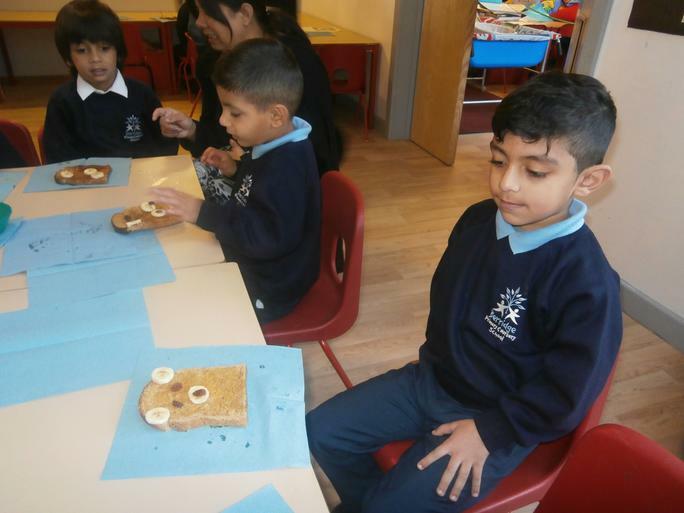 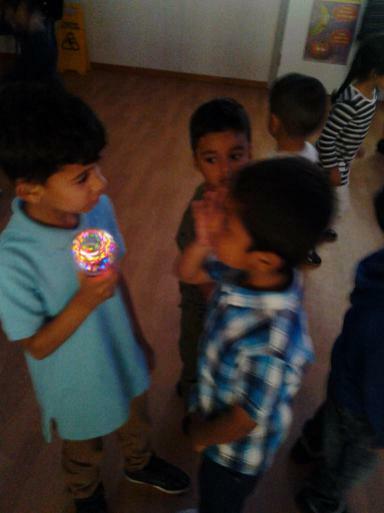 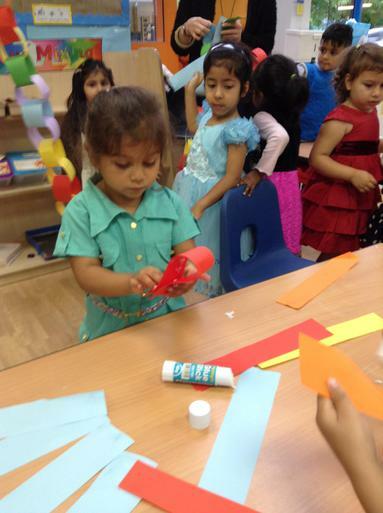 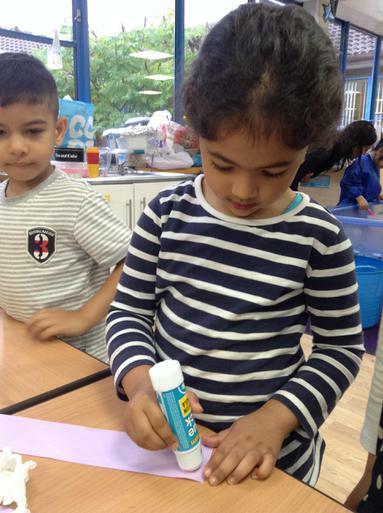 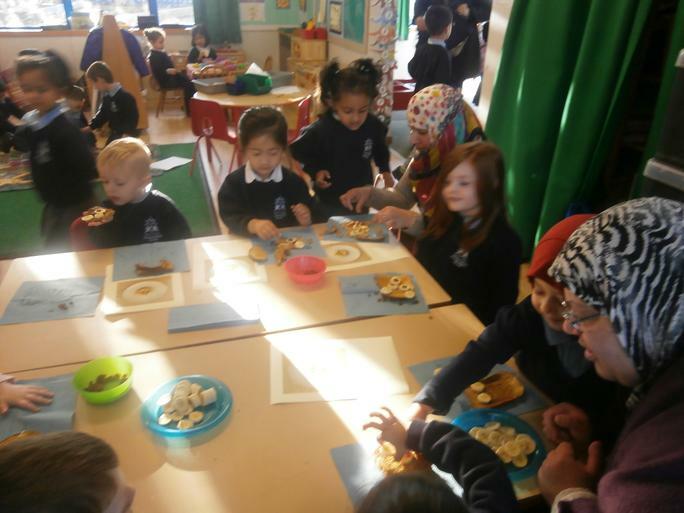 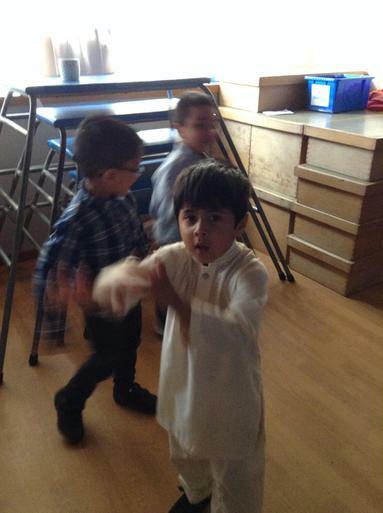 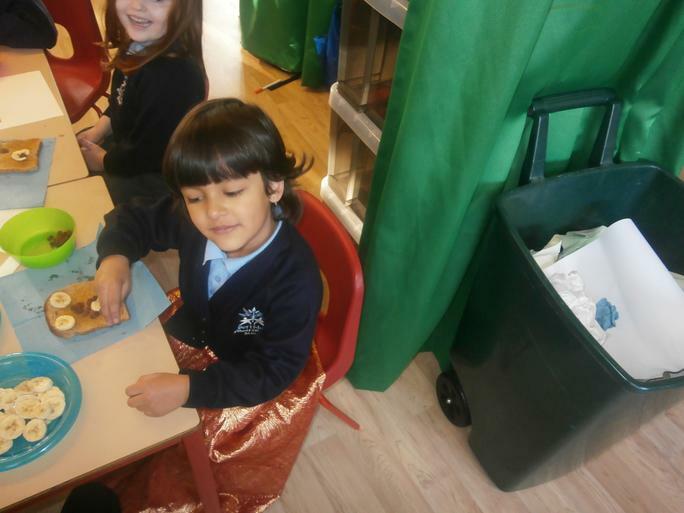 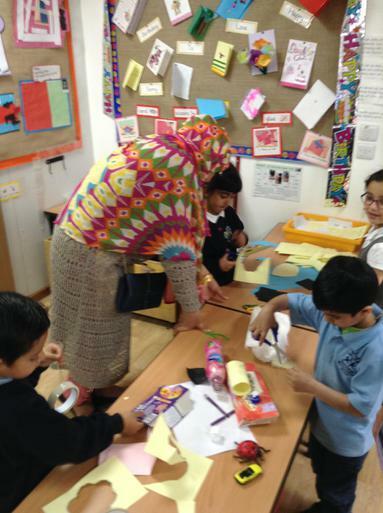 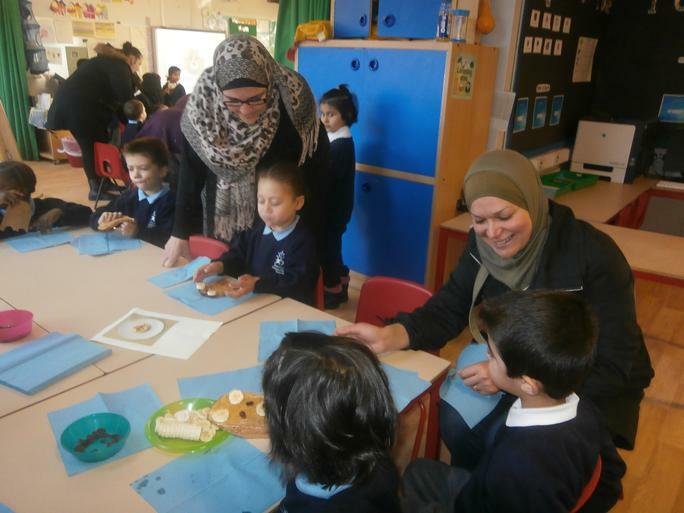 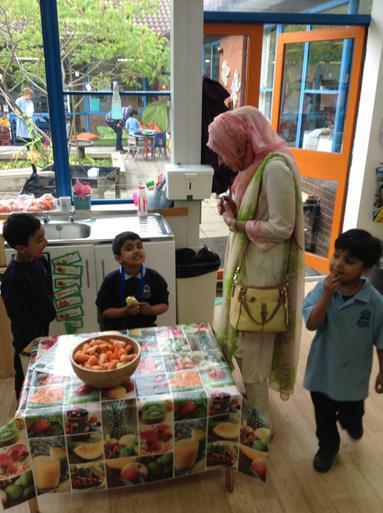 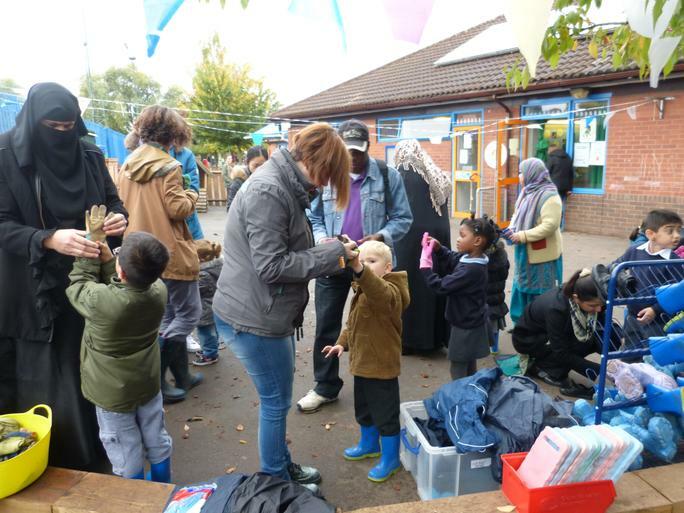 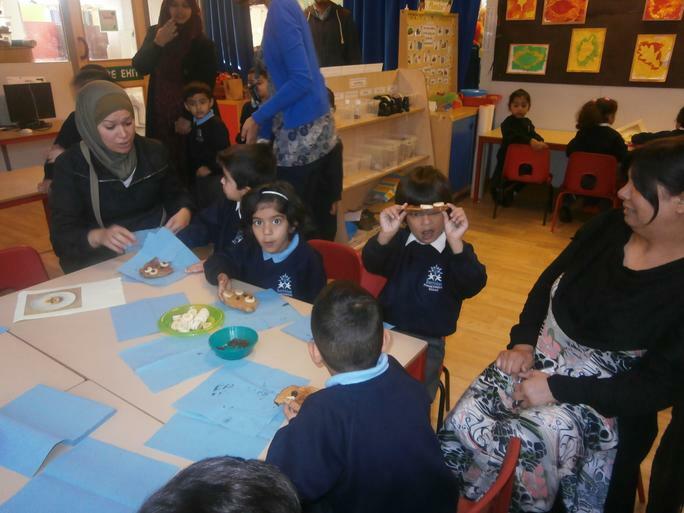 Eid Celebrations - we had a party on Friday September 16th to celebrate Eid, the children had lots of fun, dancing, eating and making decorations.